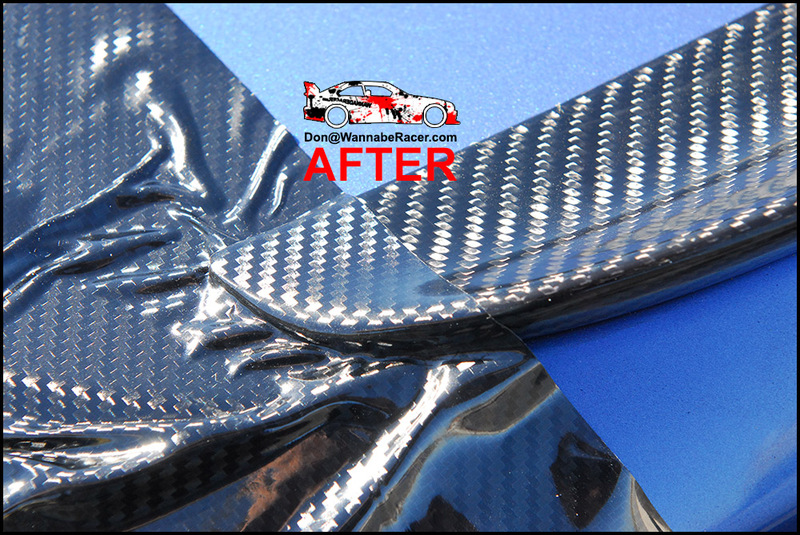 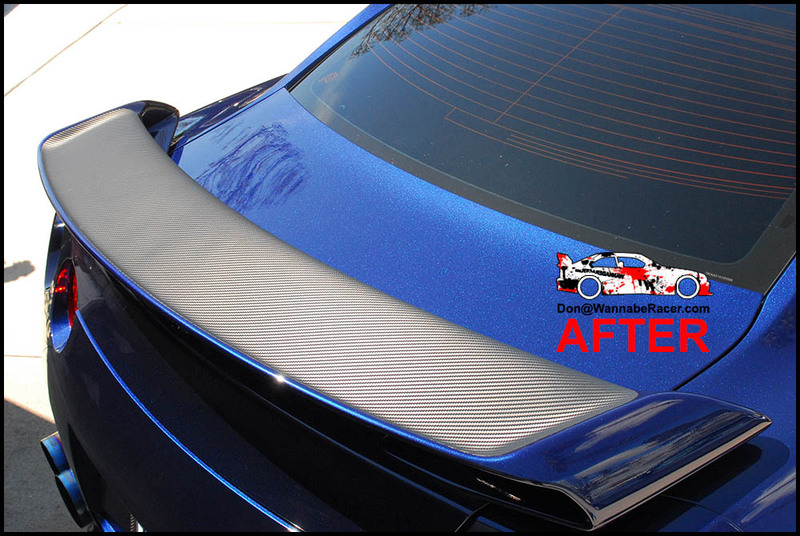 I do vinyl wraps that most other shops or craigslist wrappers would not want to try or would try unsuccessfully. 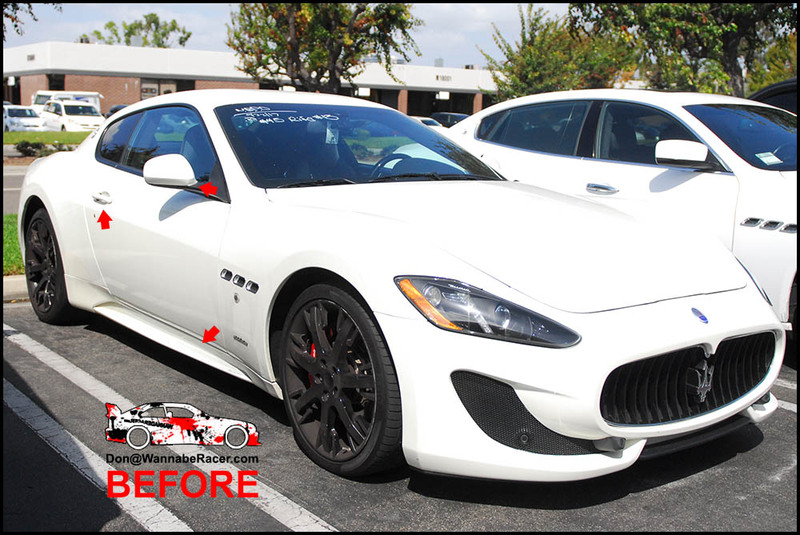 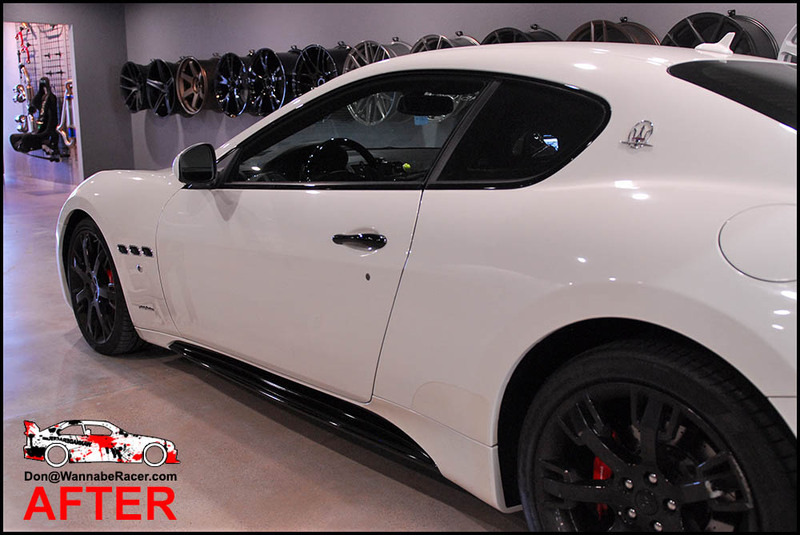 I had previously blacked out all of the other chrome pieces and roof for this Maserati Quattroporte. 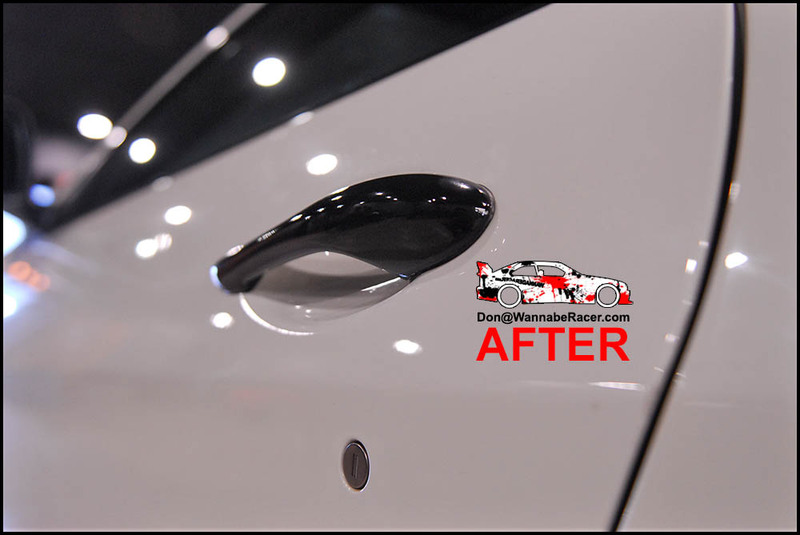 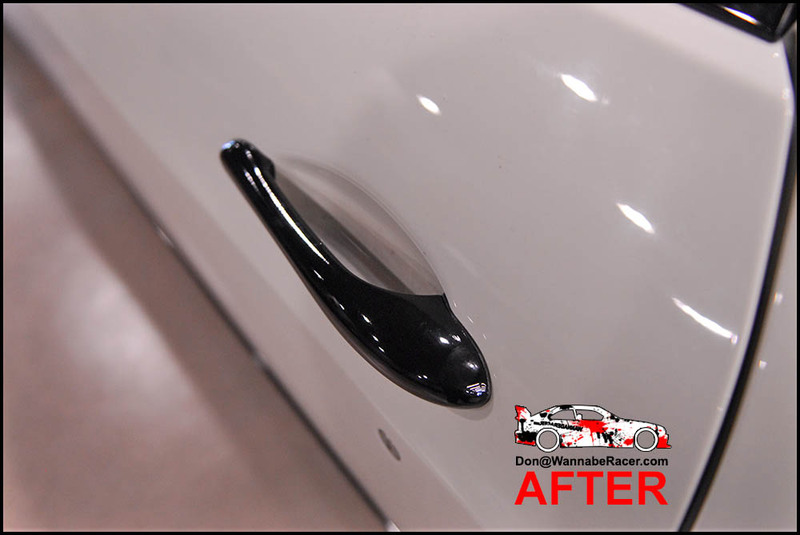 However, the owner finally decided that the final remaining chrome door handles had to go as well. 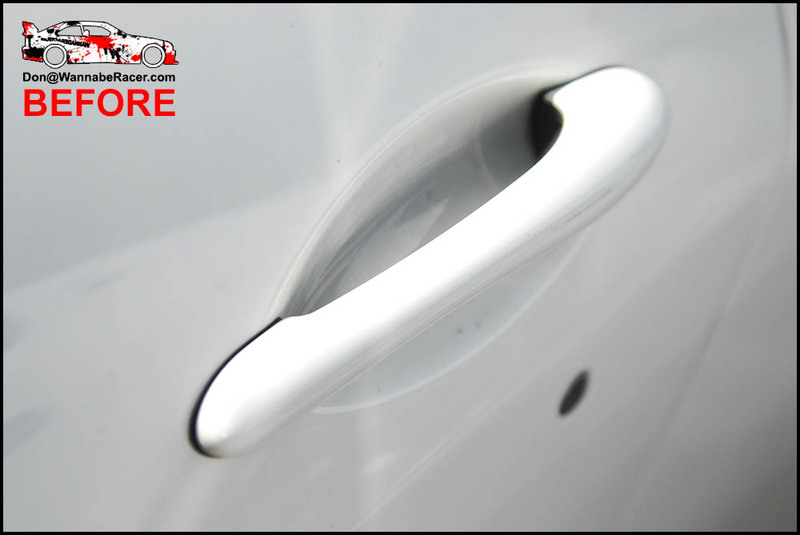 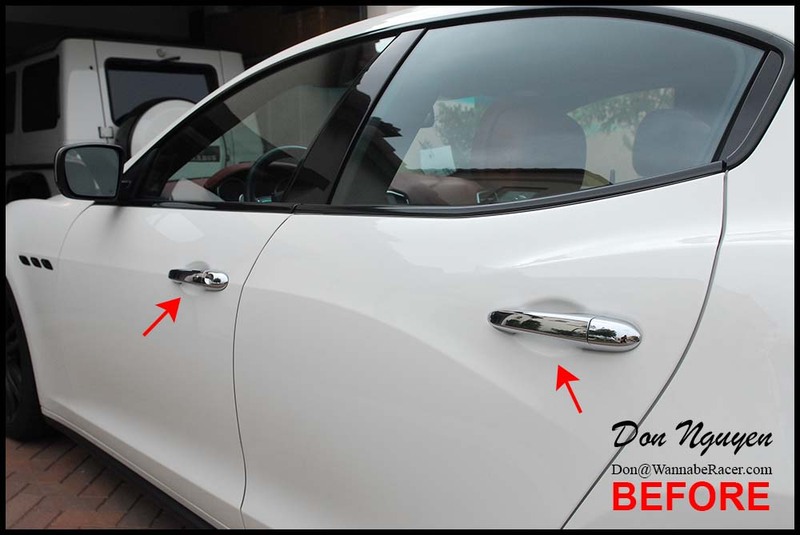 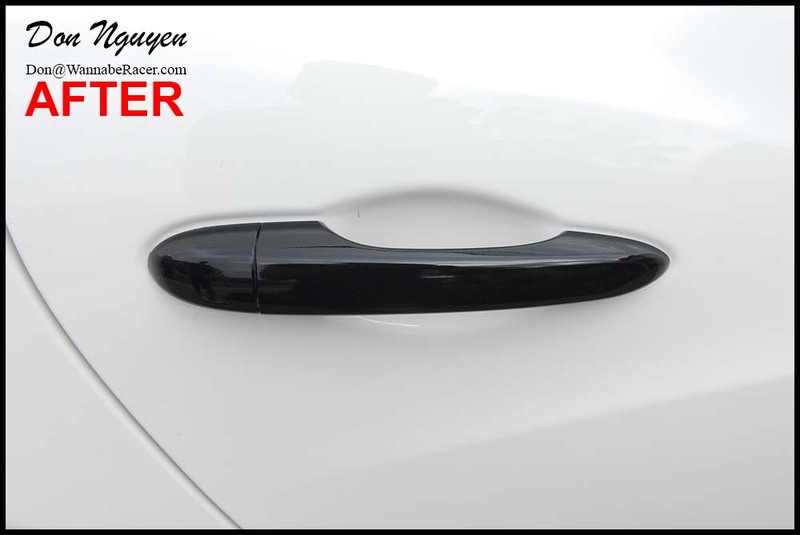 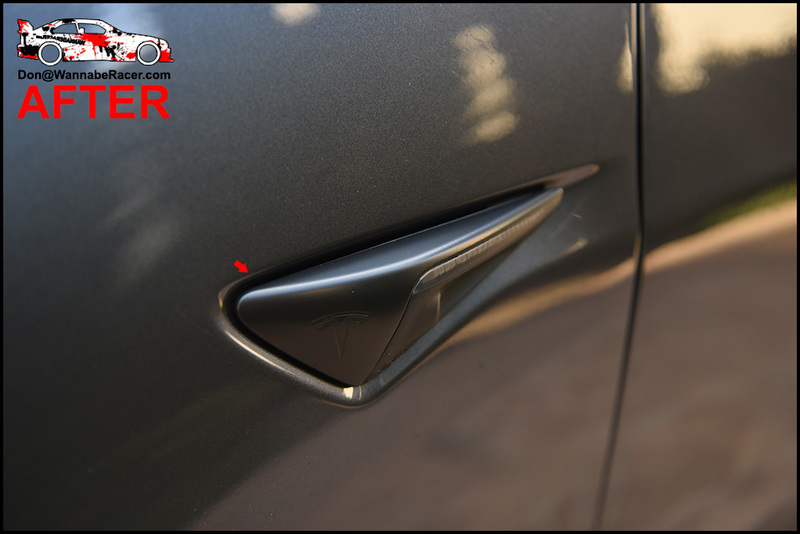 I don’t know why manufacturers still offer so much chrome on their cars, especially on an entire door handle like this, but that’s what I am here for. 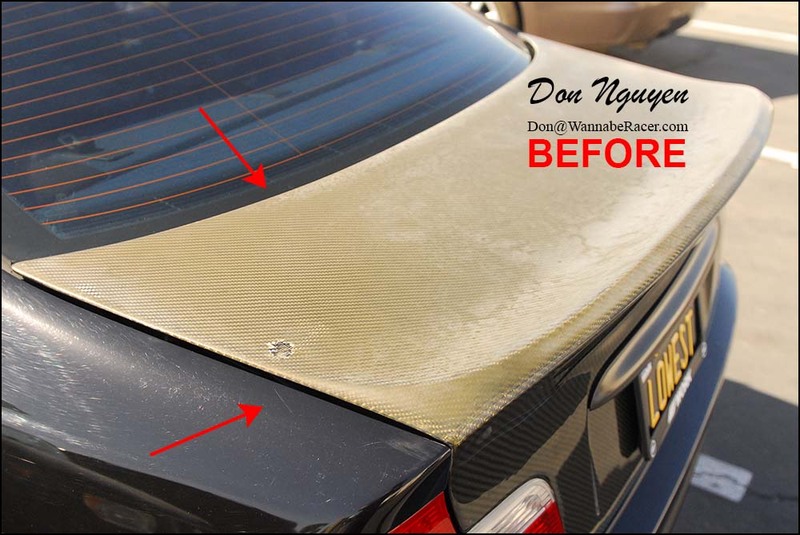 The owner of this car was in Irvine / Orange County, and I came out to him to do the work on his car. 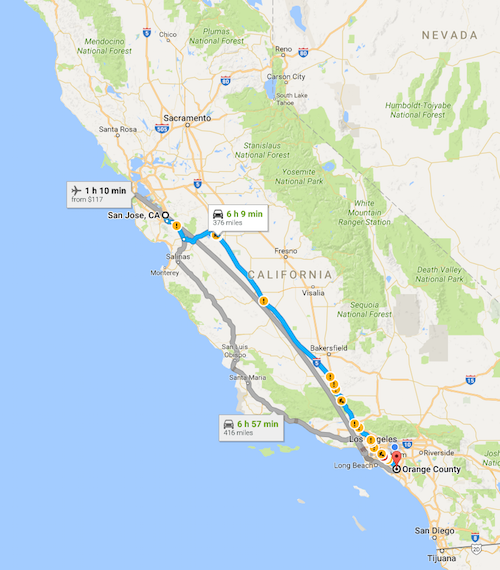 It's that time again. 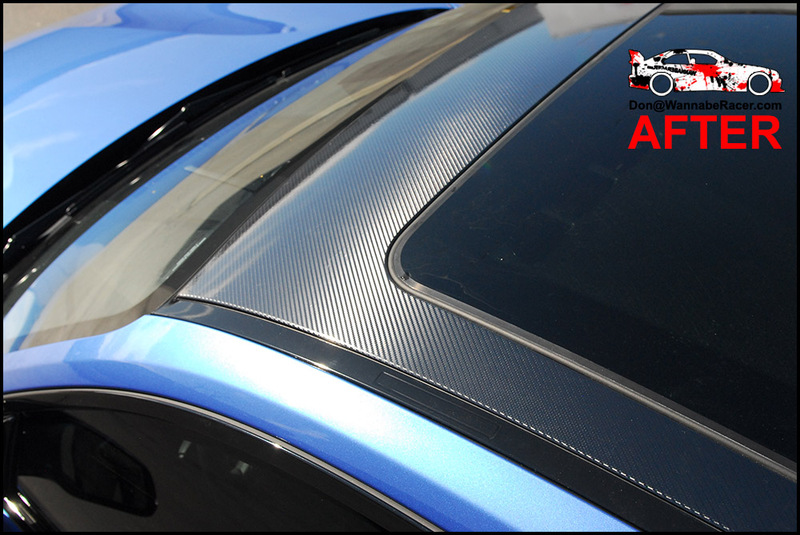 I am making tentative plans on making a trip up to San Francisco/San Jose/Bay Area to do vinyl wraps again. 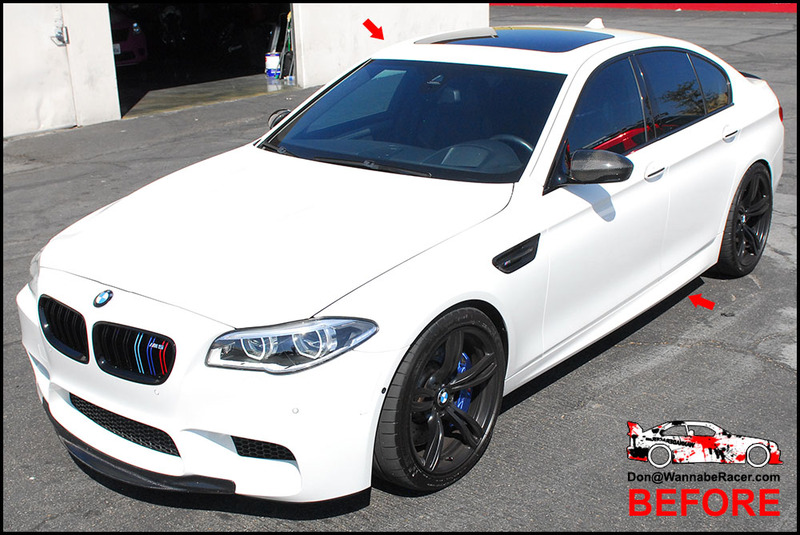 Looking at possibly being up there possibly between January 1 - January 8th. 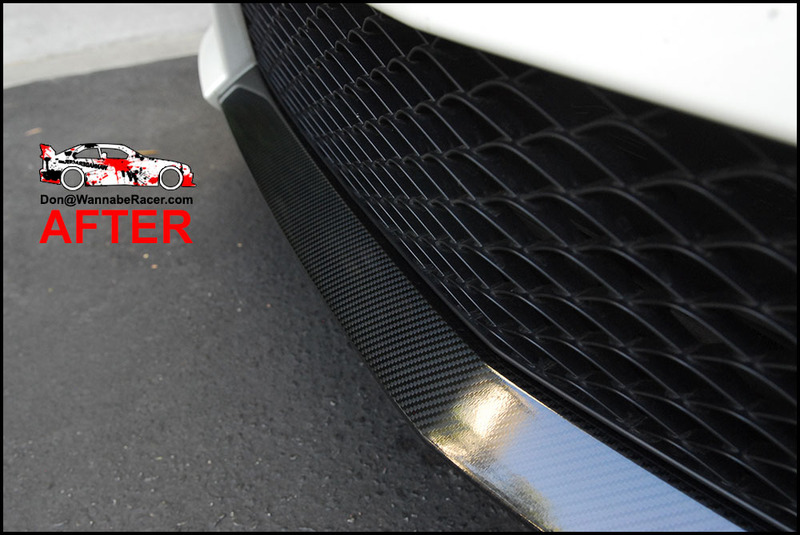 I will make an official thread once the details are finalized. 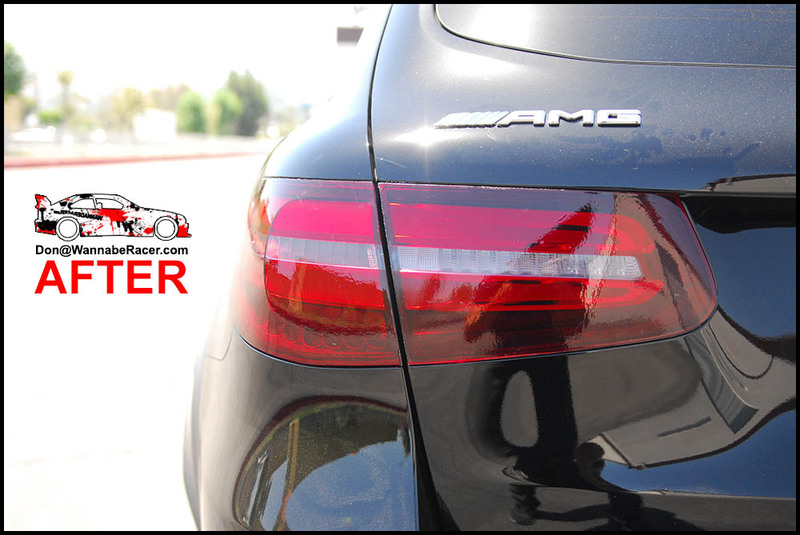 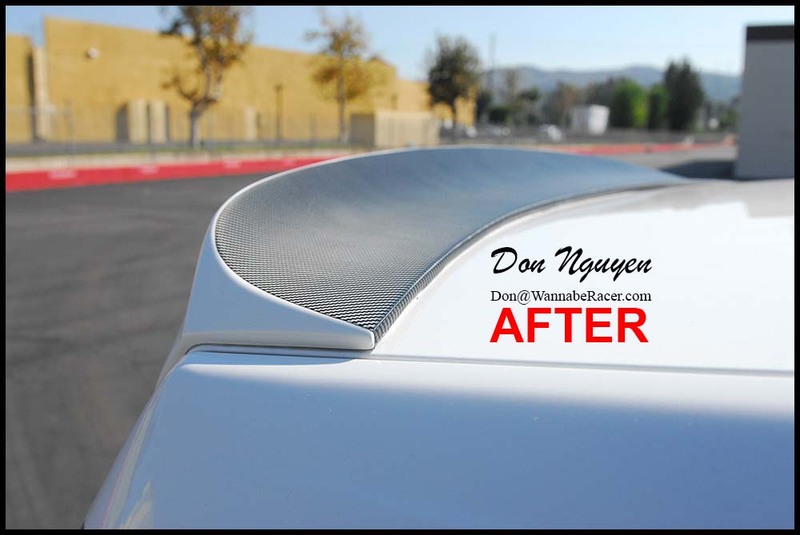 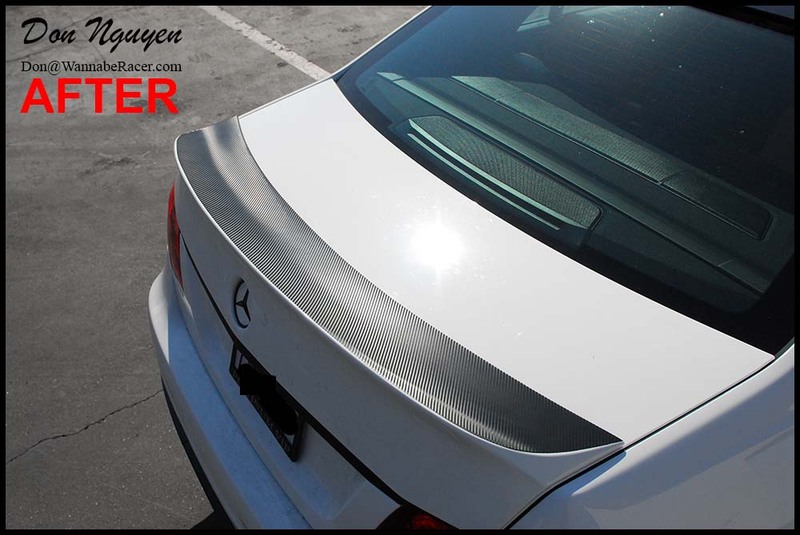 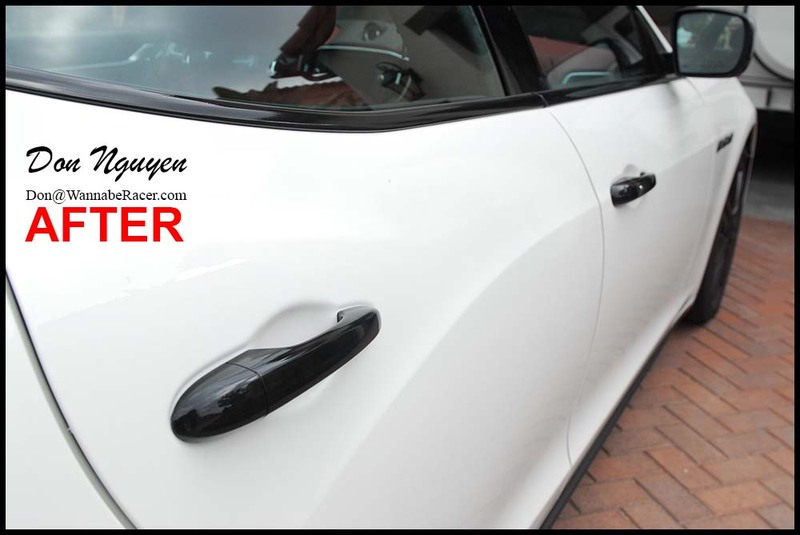 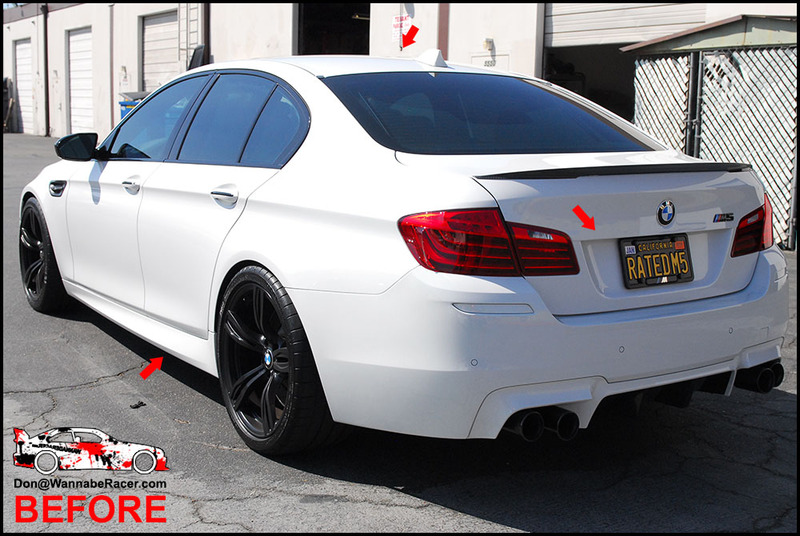 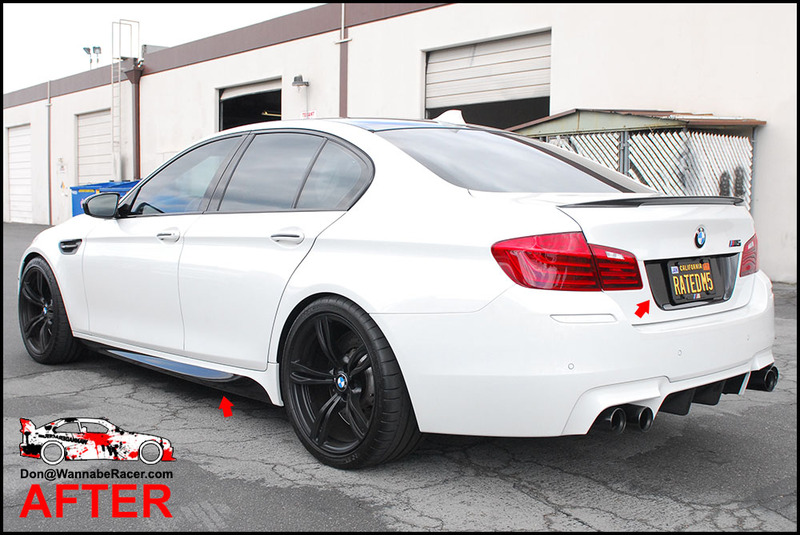 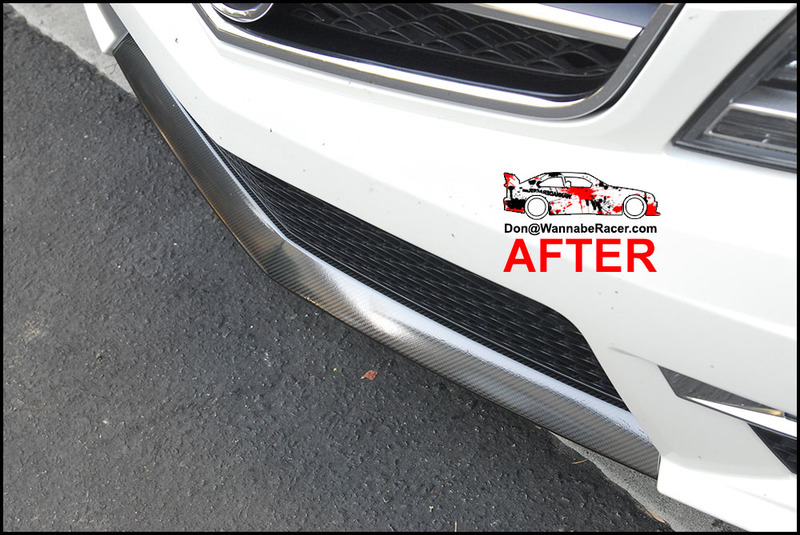 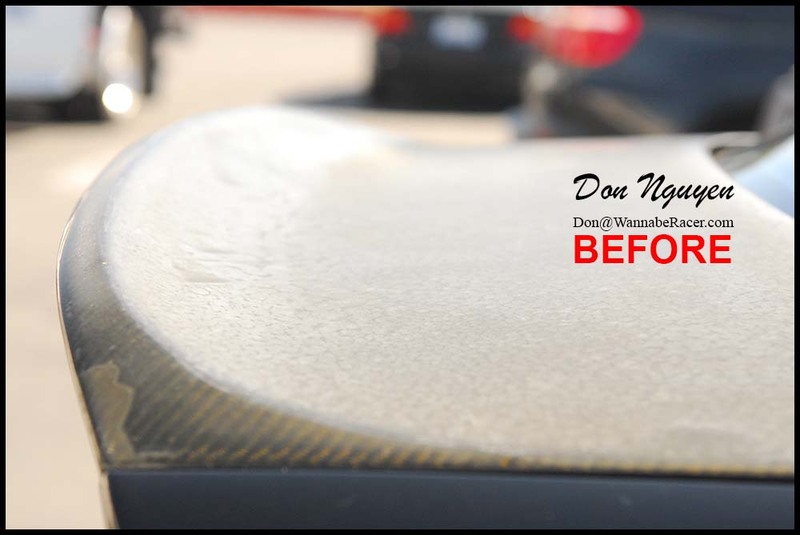 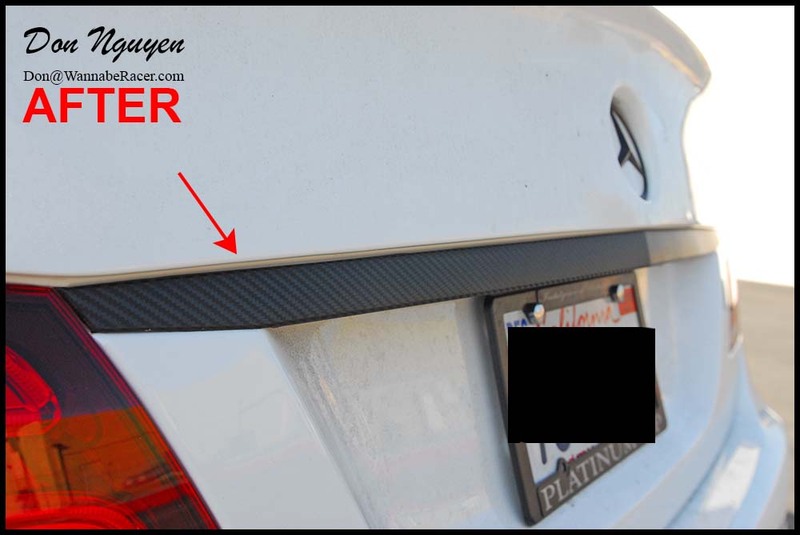 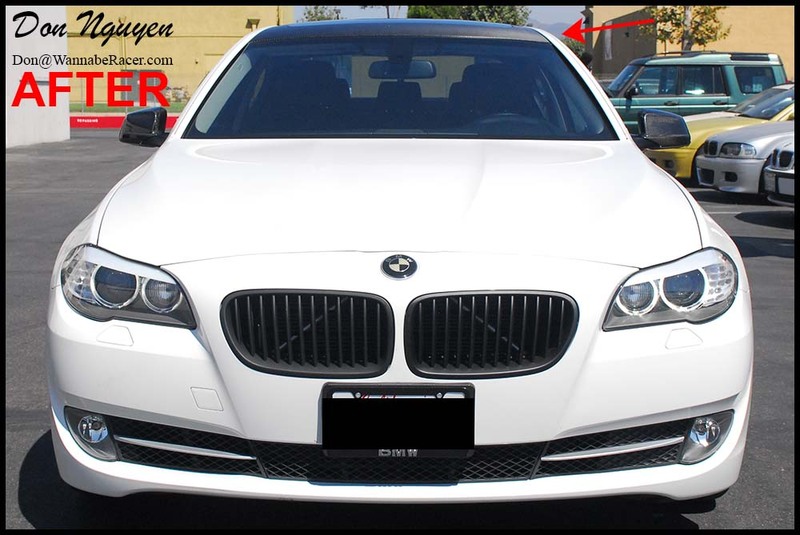 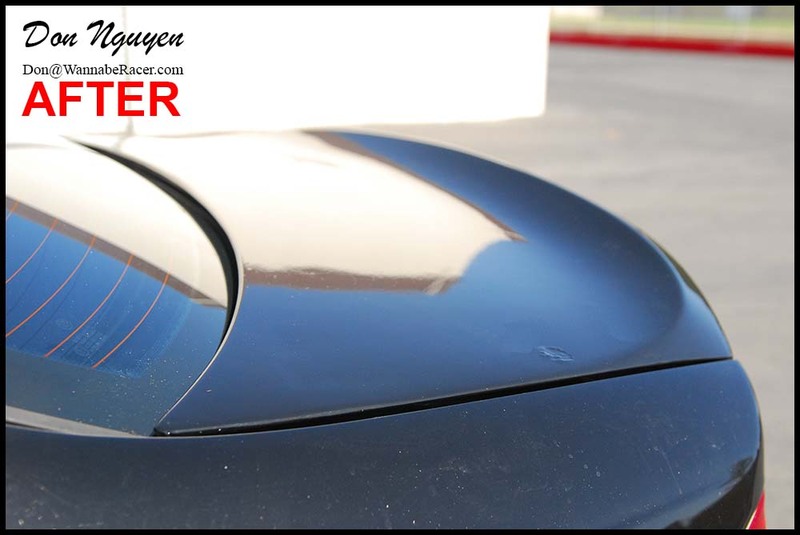 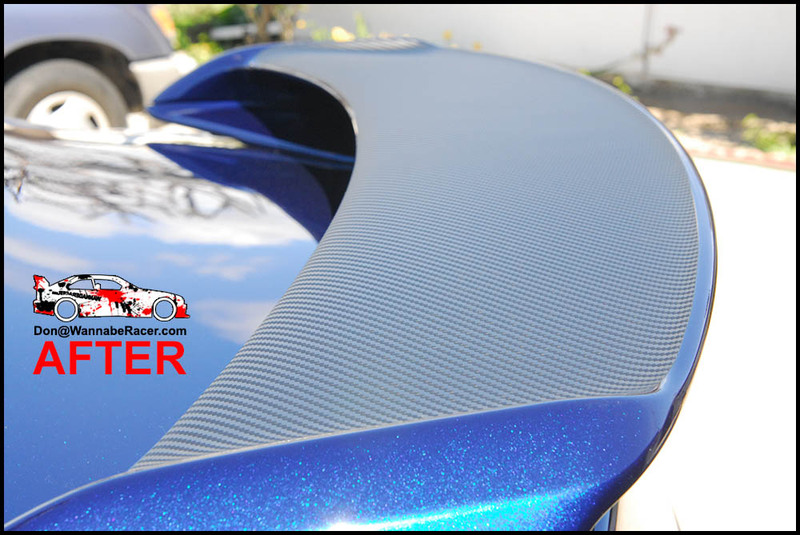 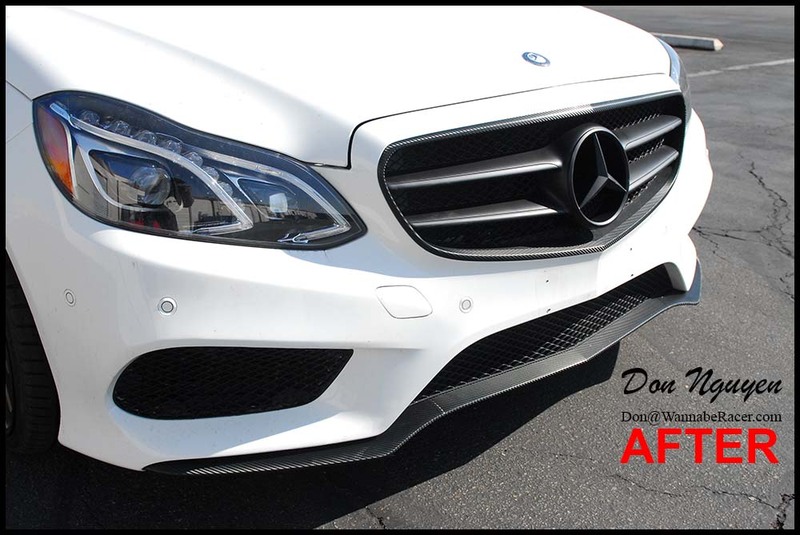 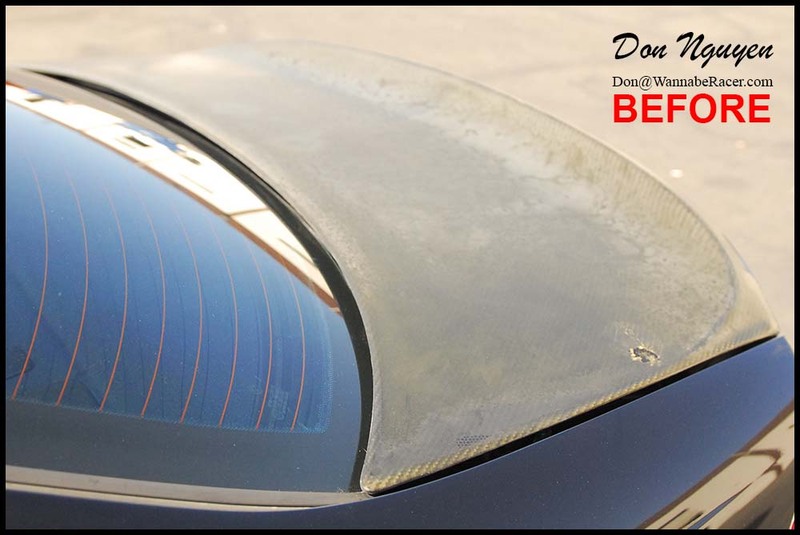 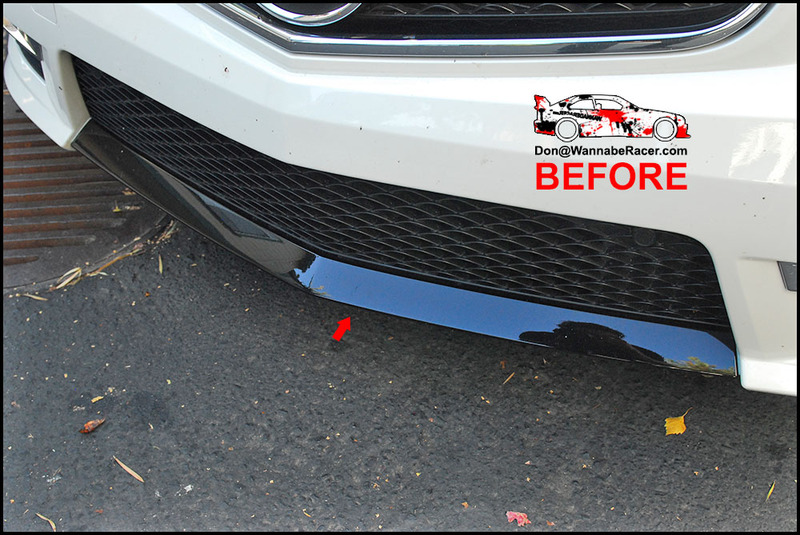 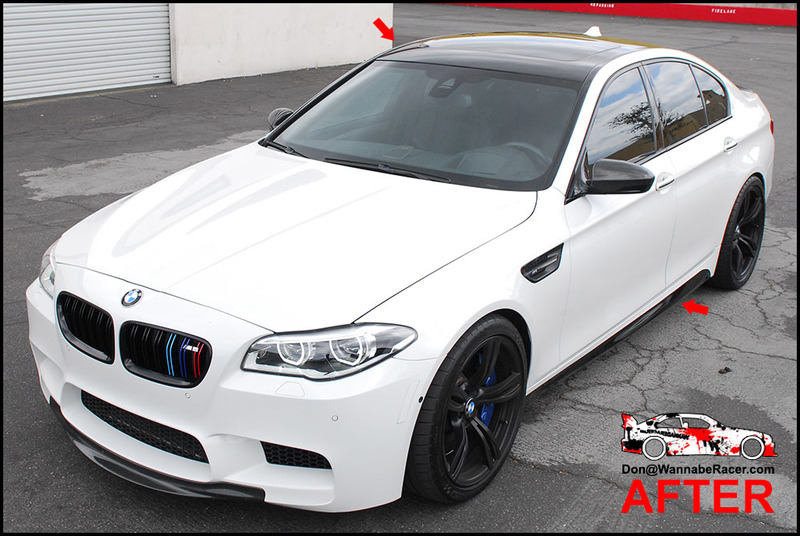 Send me an e-mail at [email protected] to get a quote for some vinyl work or plasti dip work! 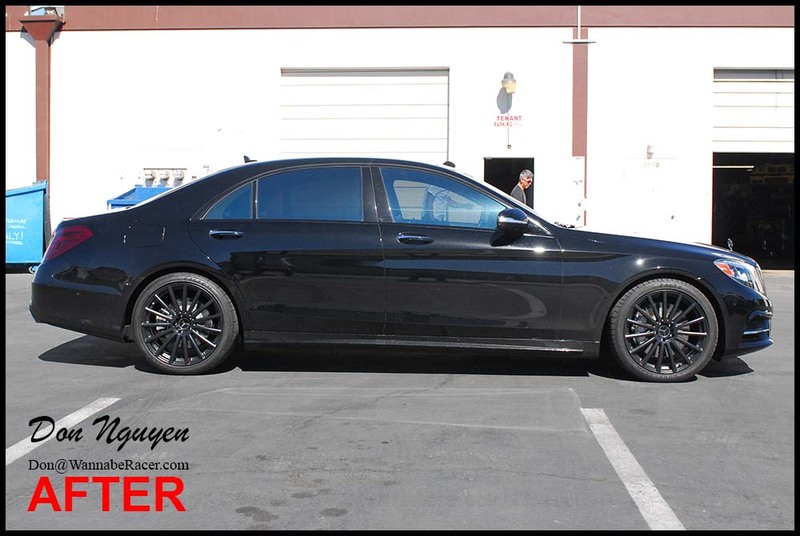 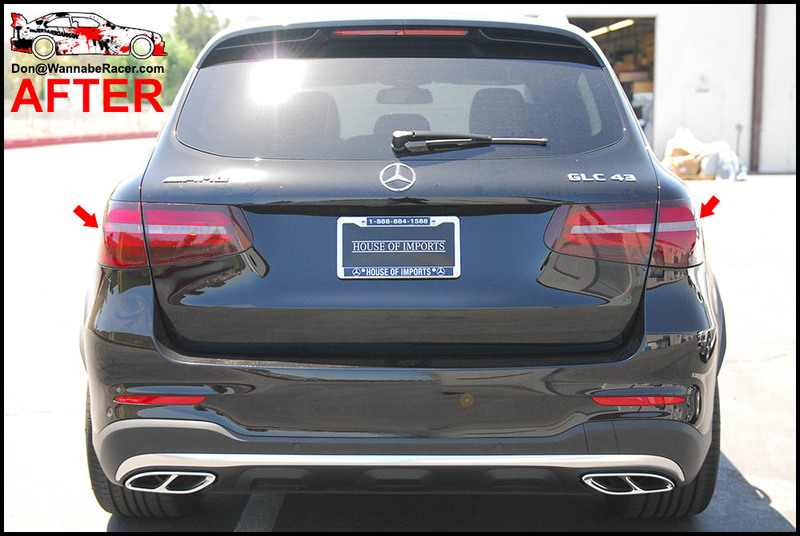 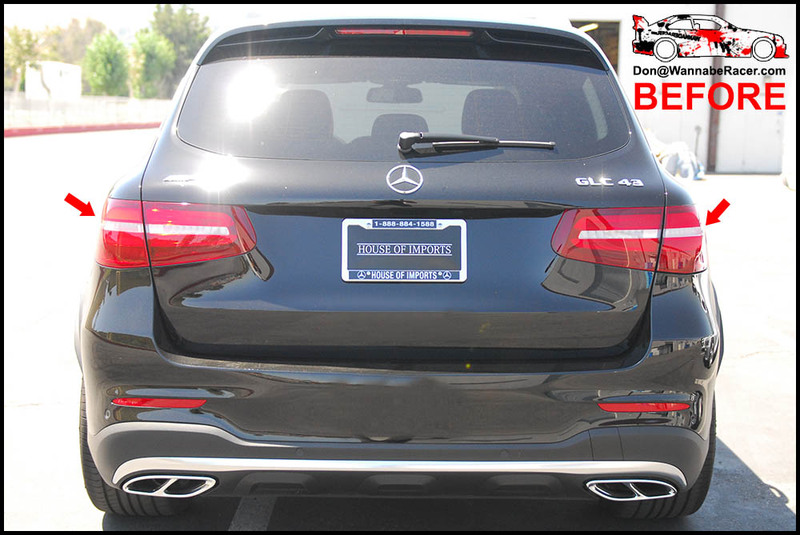 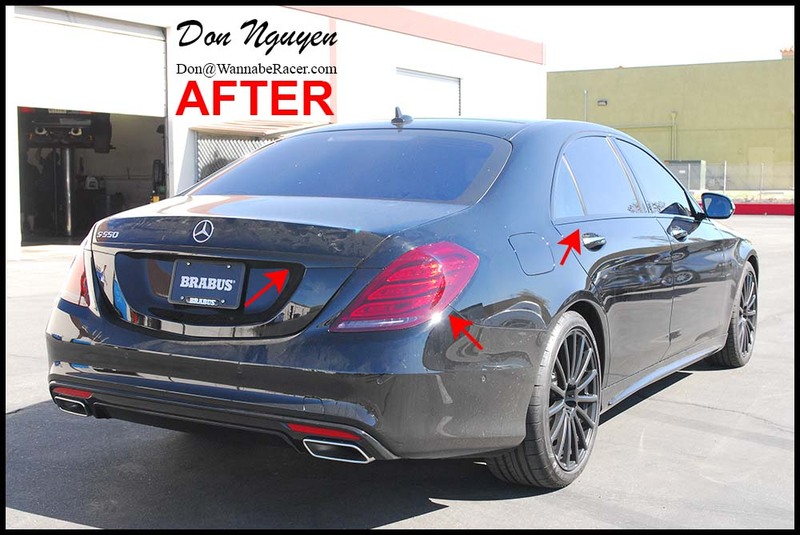 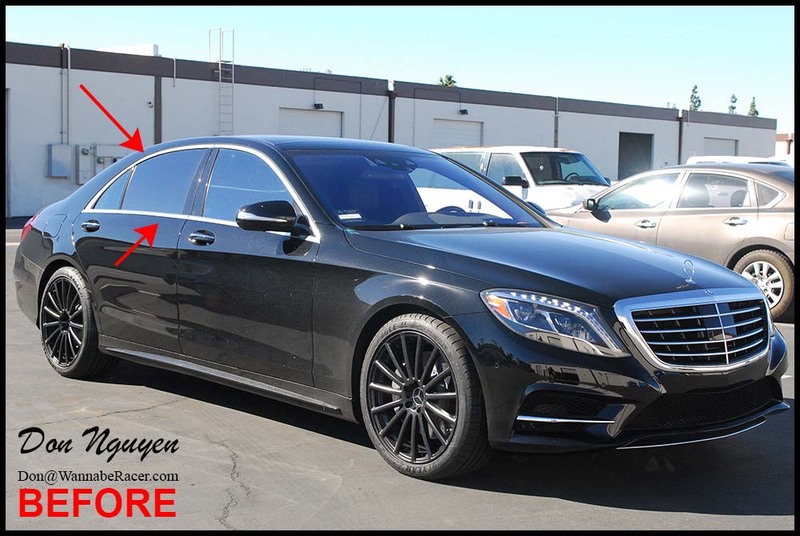 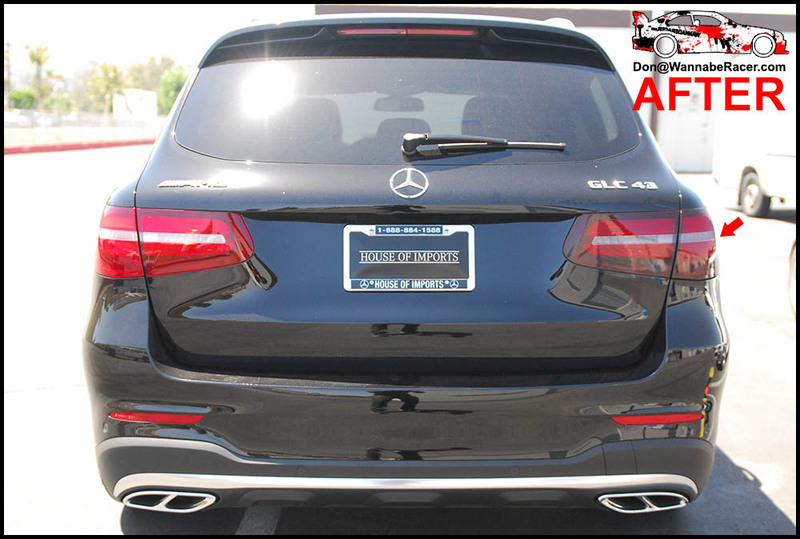 For this black Mercedes Benz S550, I blacked out the chrome window trim, rear trunk bar, and also lightly tinted the rear tail lights. 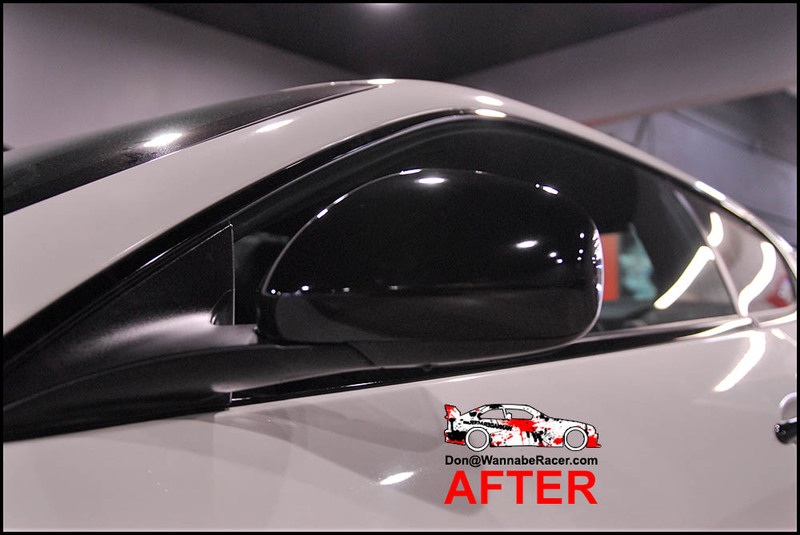 The changes to the car cleaned up the lines of the car greatly and really worked well with the tinted windows and black wheels. 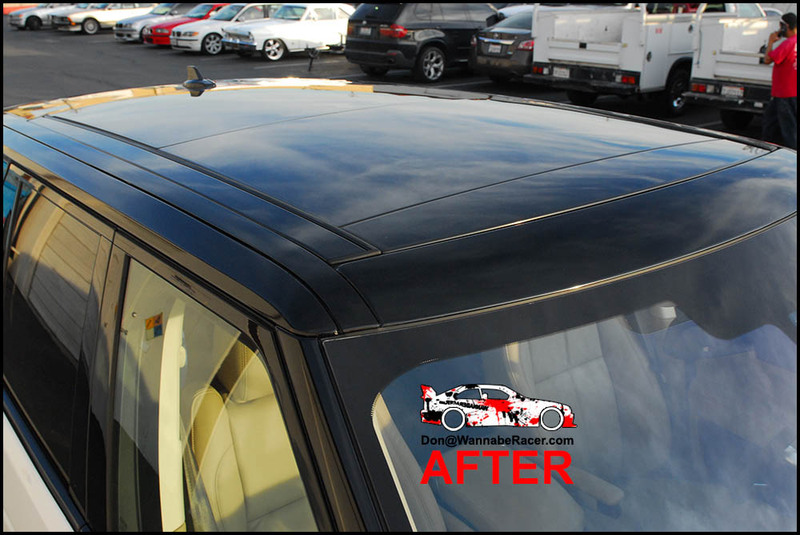 It was almost a must needed to do thing for this car. 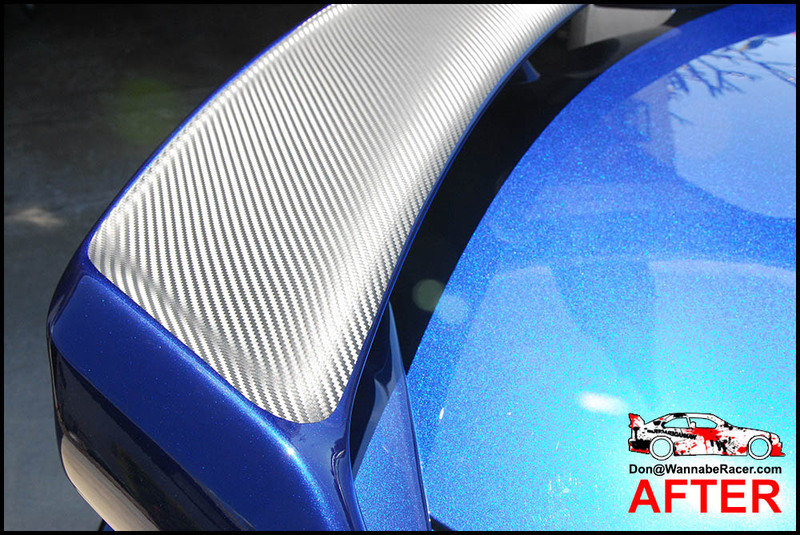 The car still maintained some of the factory chrome pieces, so that it still provided a good balance and contrast to the car. 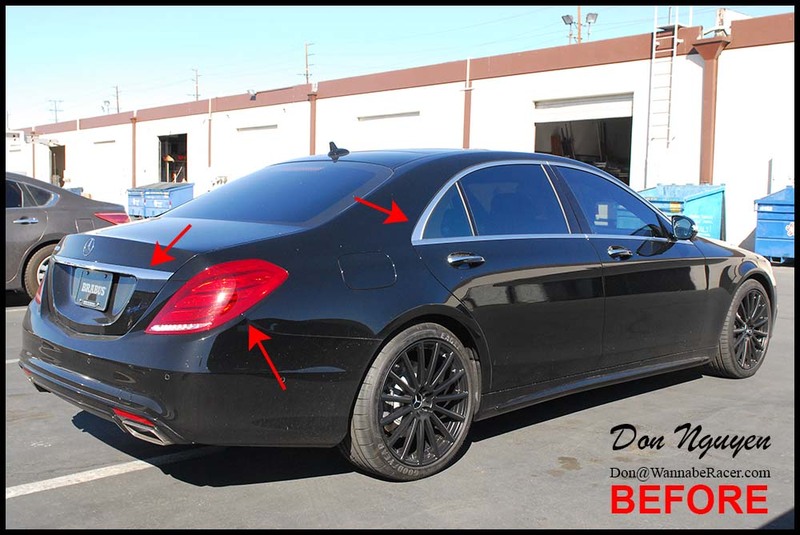 The owner of this car was from Los Angeles / Beverly Hills and came out to me in Anaheim Hills / Orange County to have the vinyl work done. 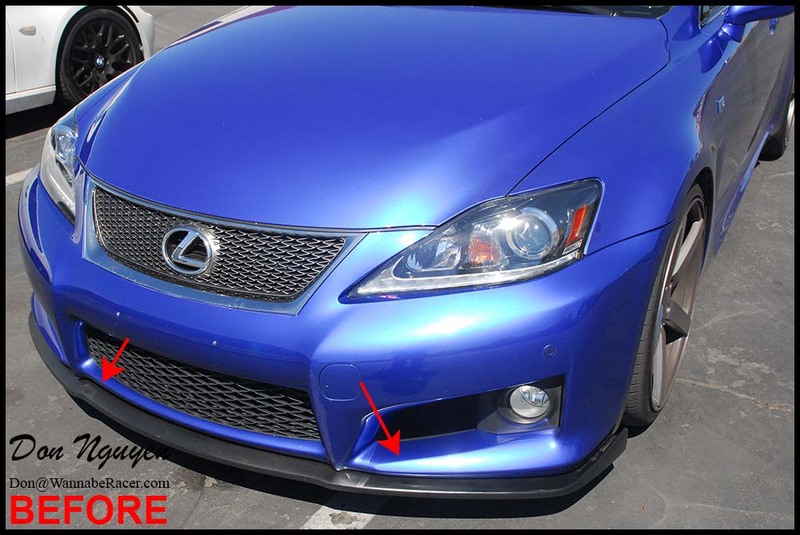 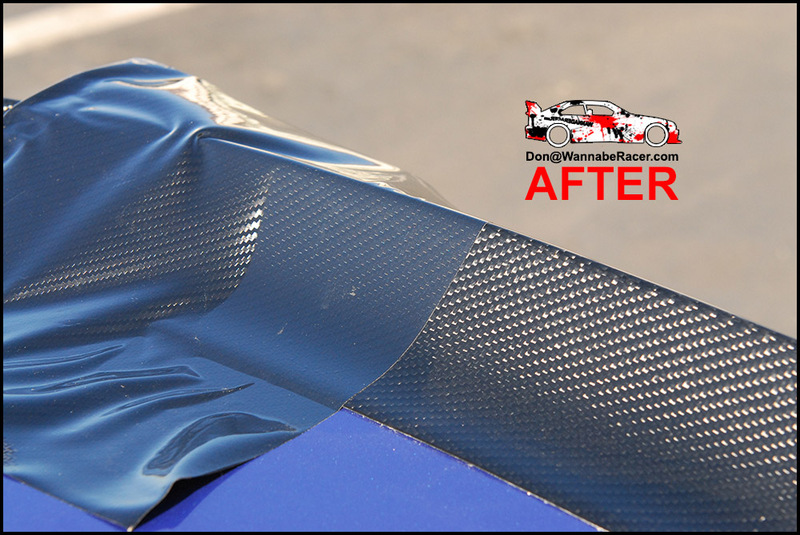 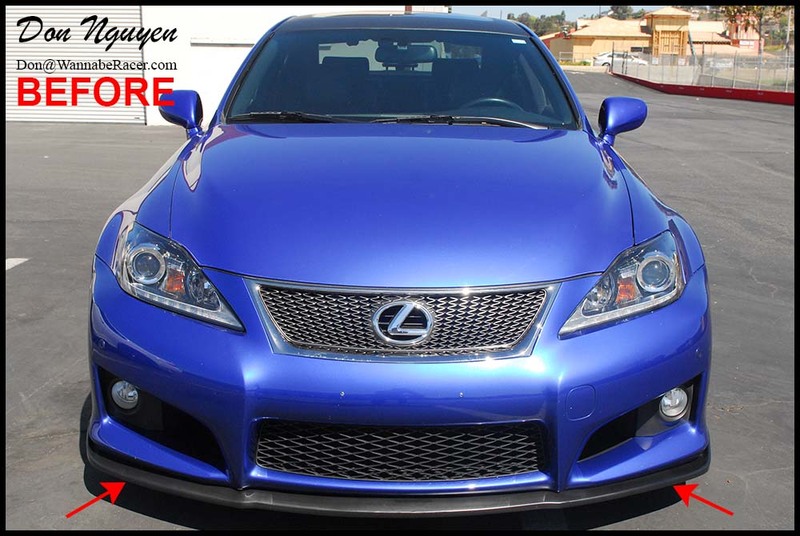 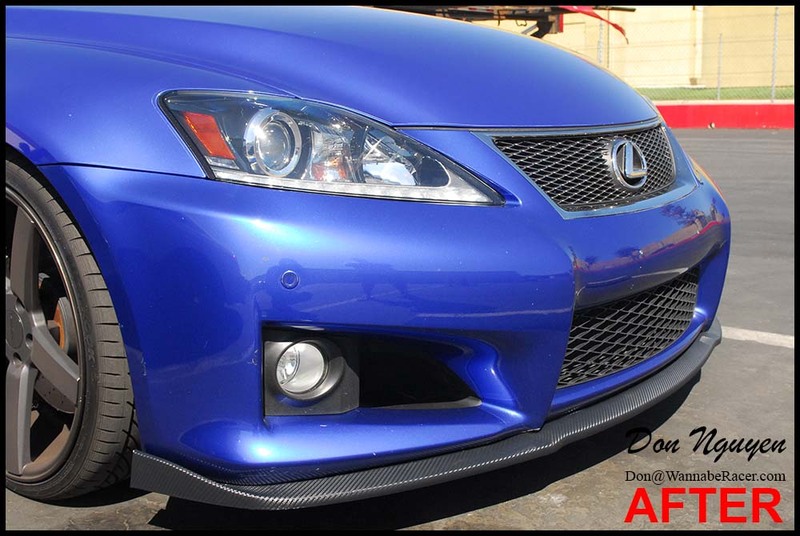 For this blue Lexus IS, I vinyl wrapped the front lower bumper lip in the 3M di-noc matte carbon fiber finish. 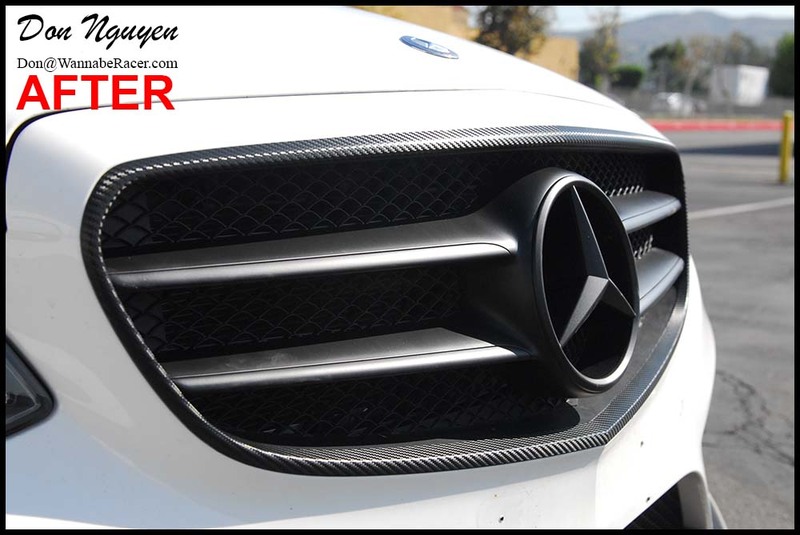 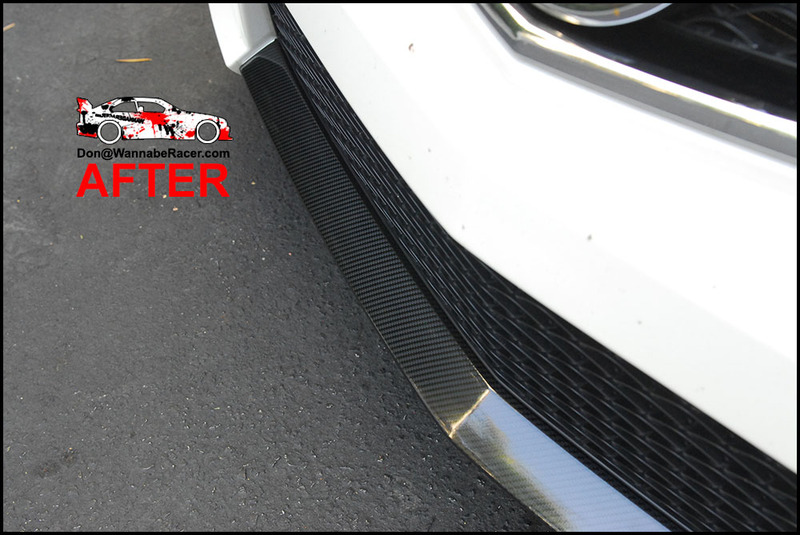 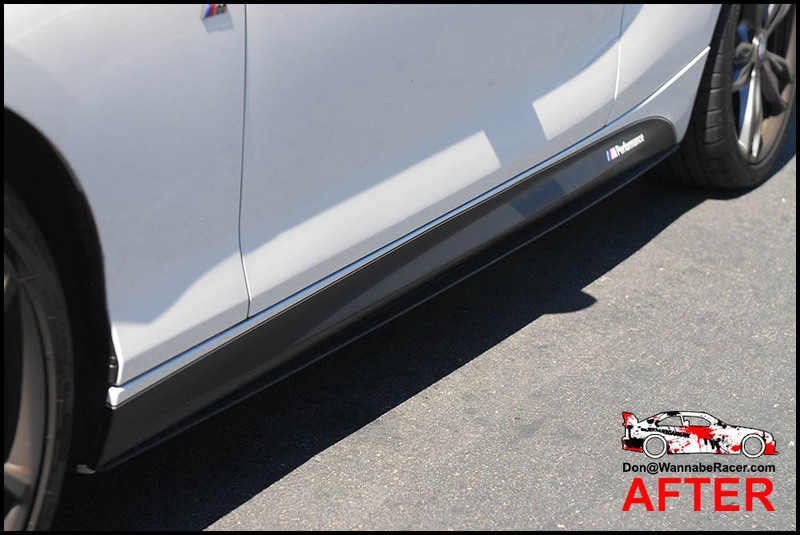 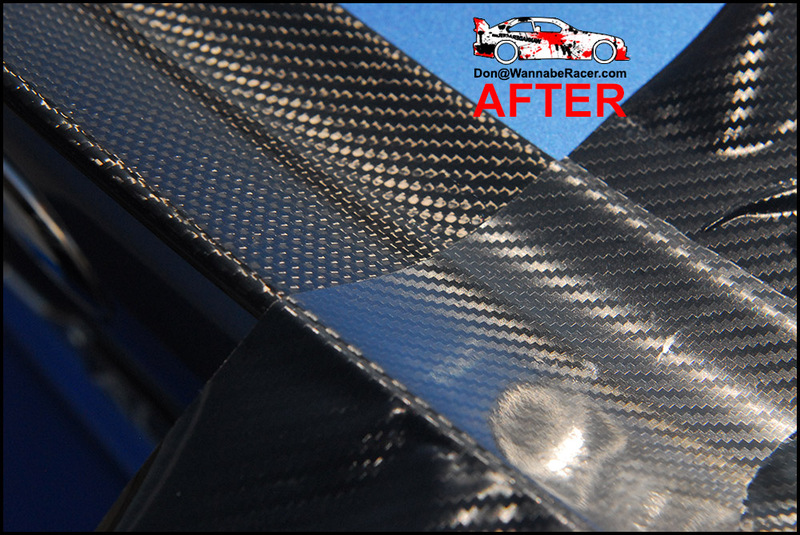 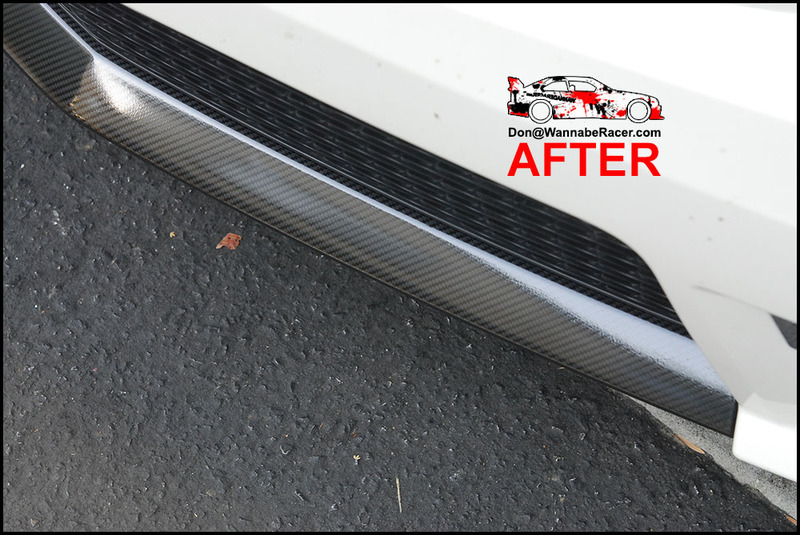 The carbon fiber finish gives the lip a nice finished look, versus the black plasticky finish that the lip originally came as. 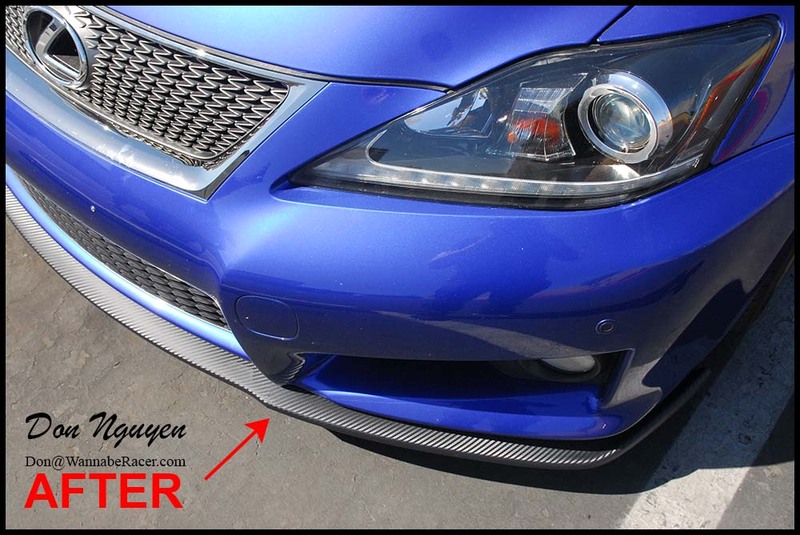 It also adds a nice more aggressive look/finish to the lip and car overall. 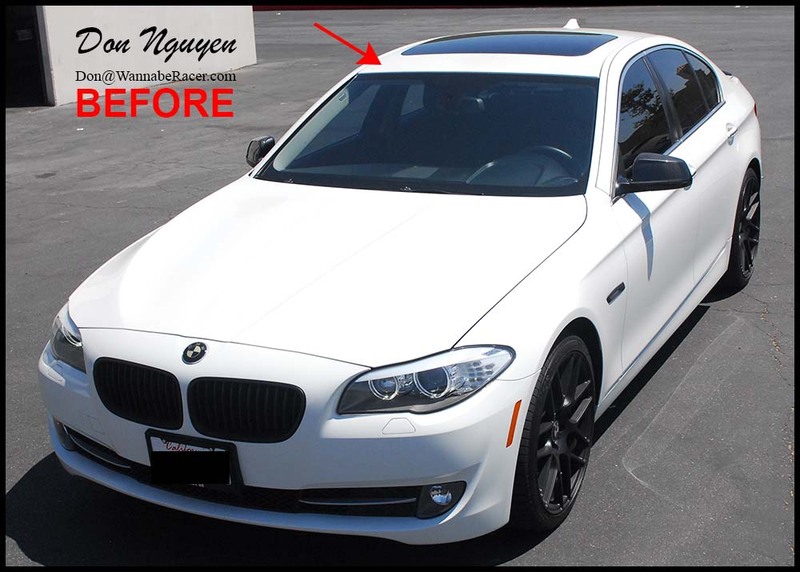 The owner of this car came out to me in Anaheim Hills / Orange County to get the vinyl work done. 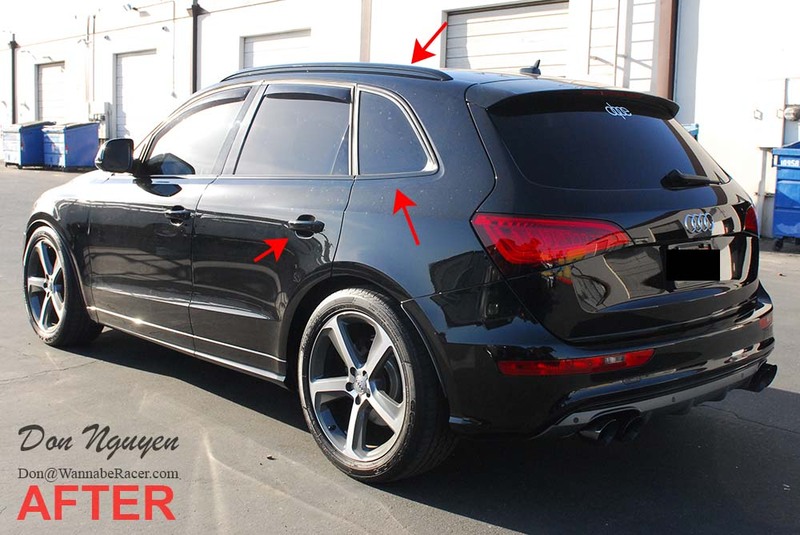 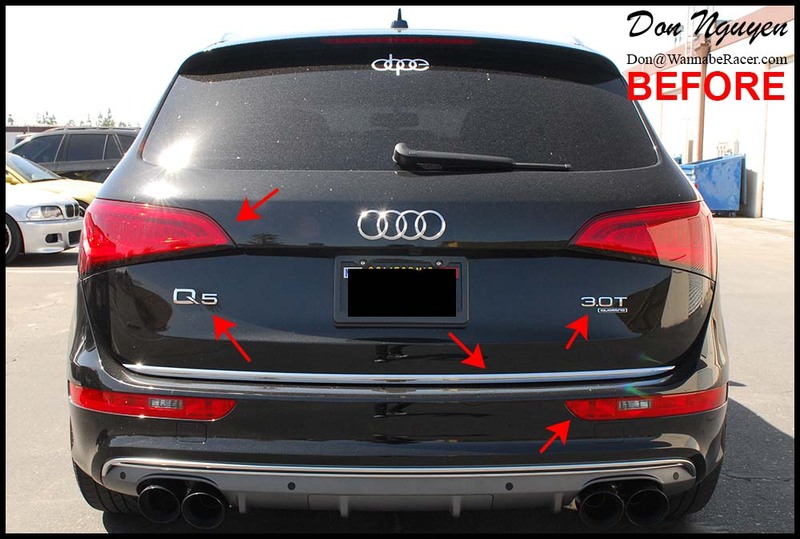 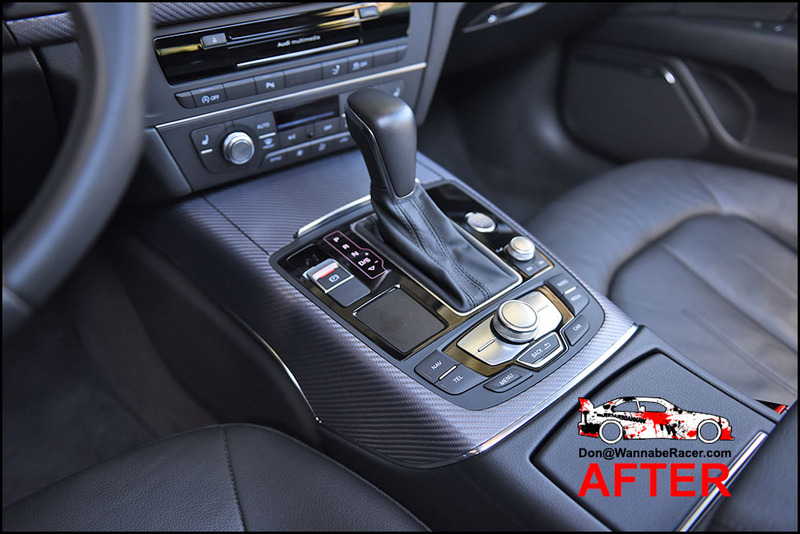 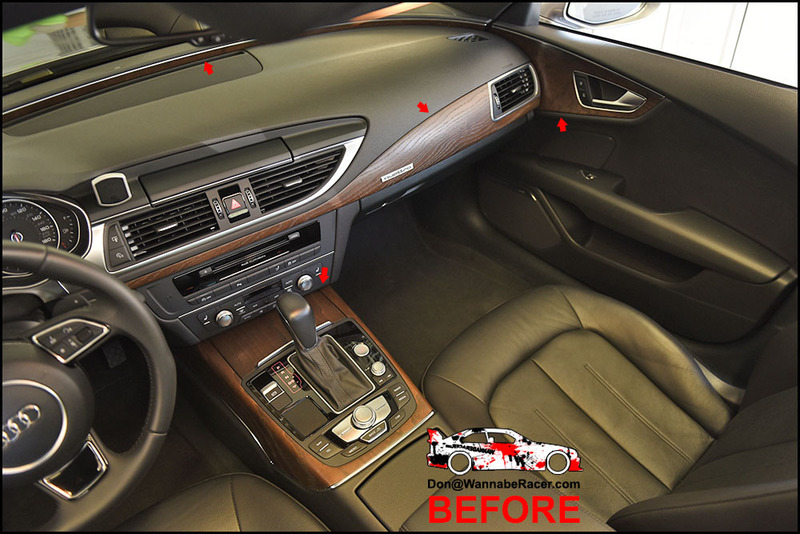 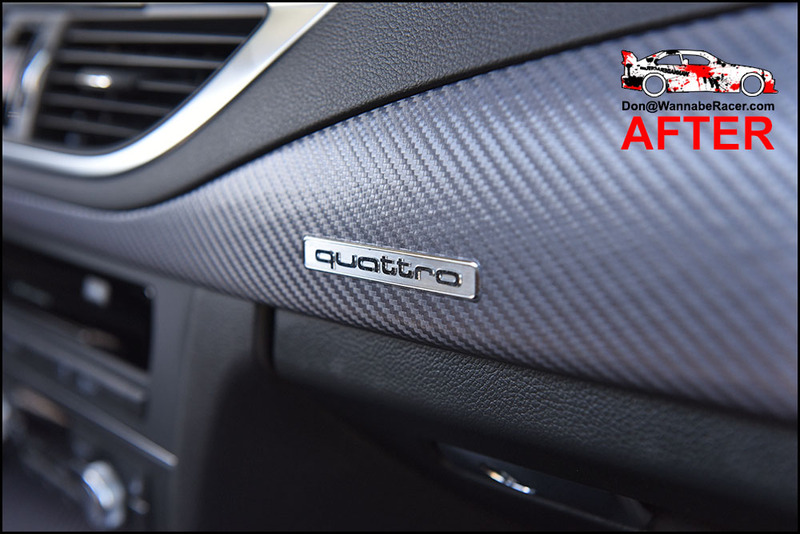 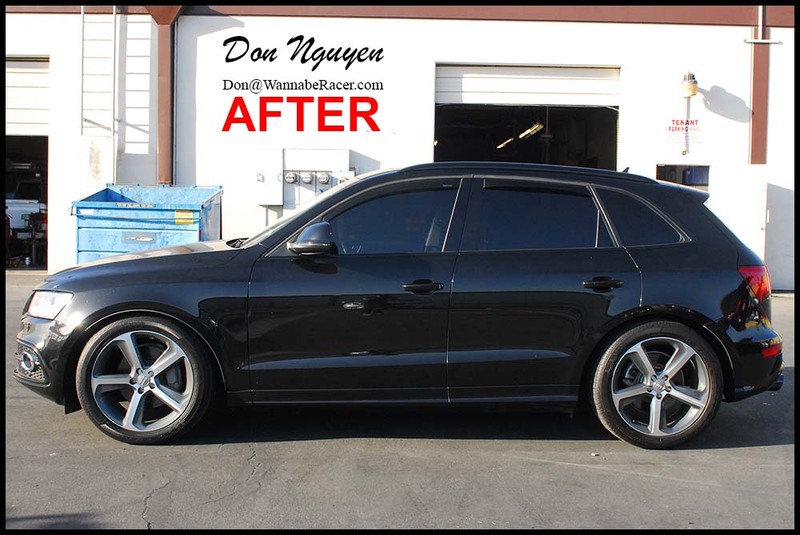 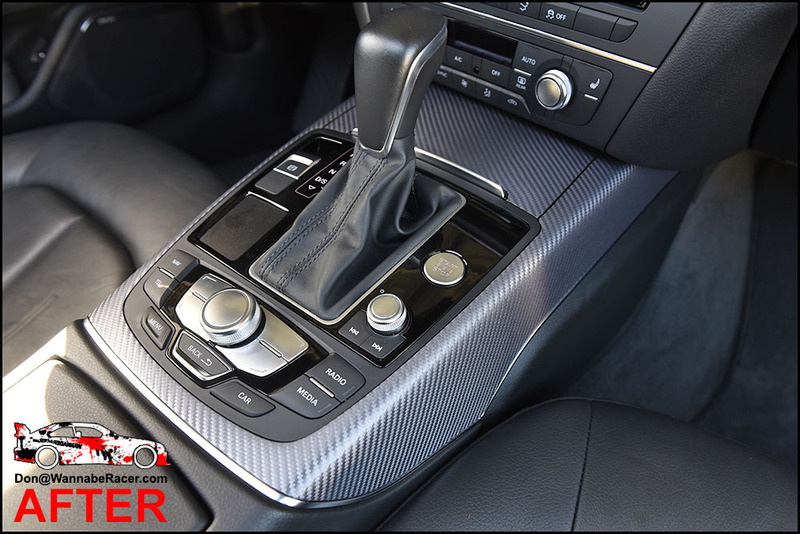 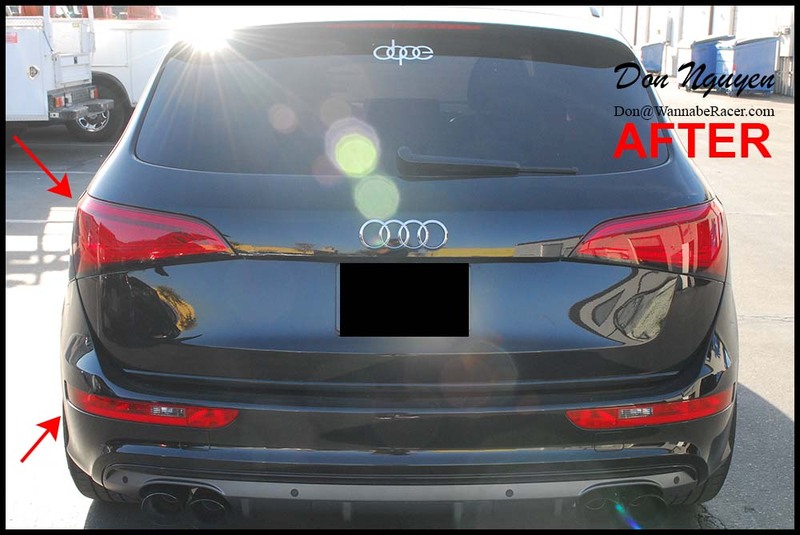 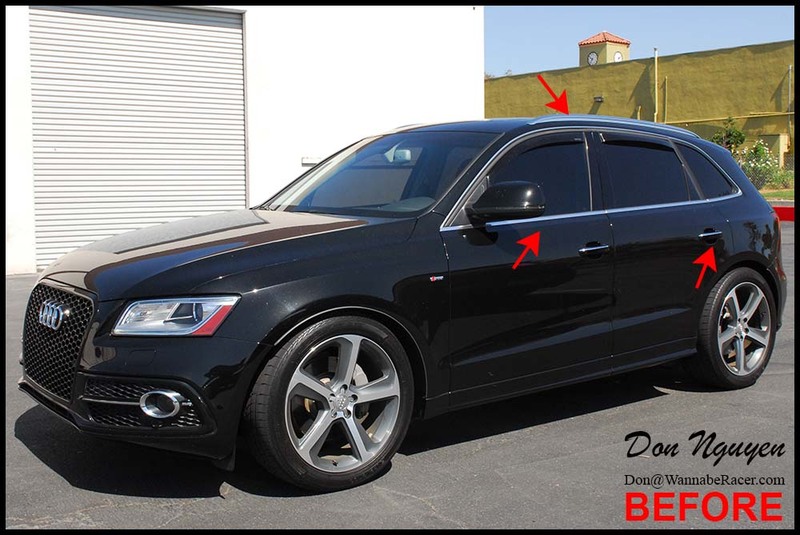 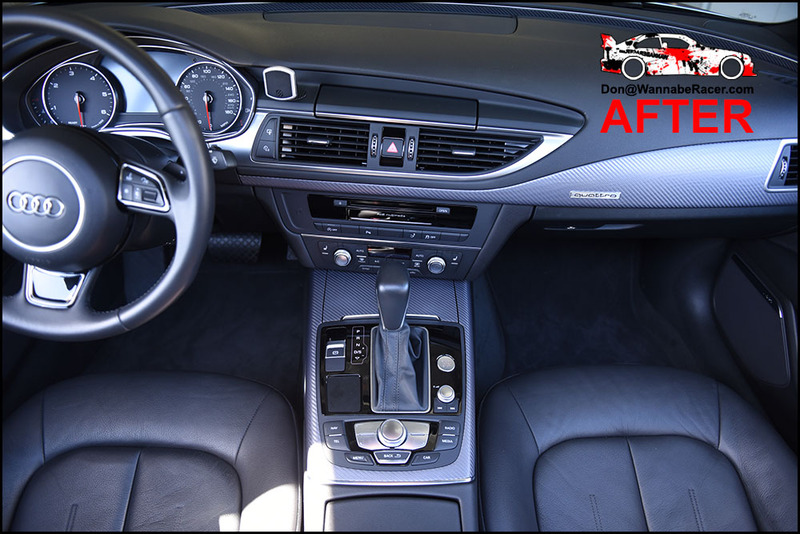 Quite a bit of work was done on this black Audi Q5 SUV. 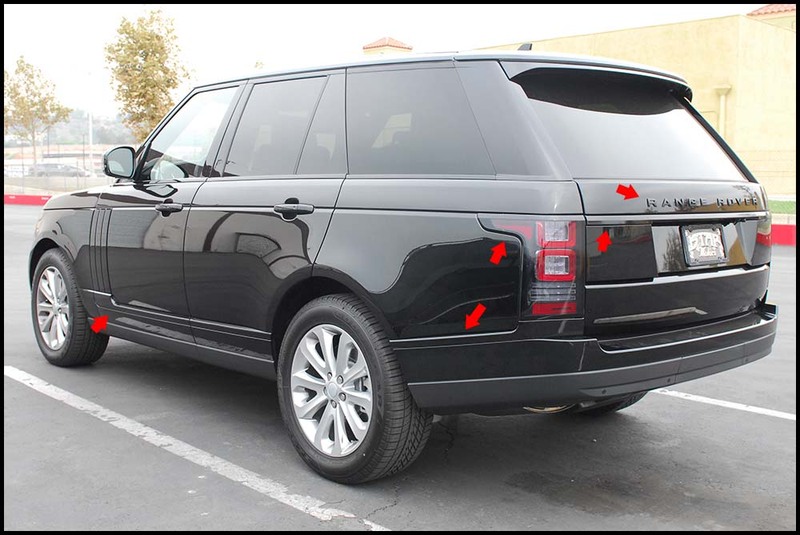 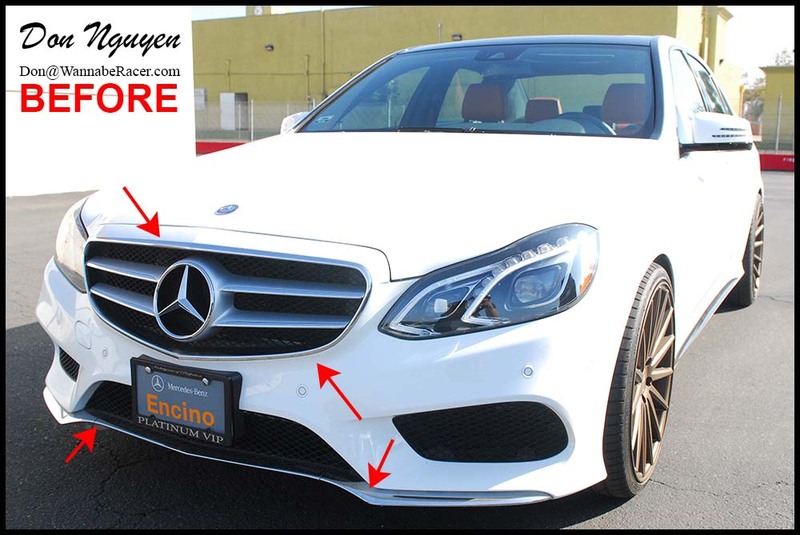 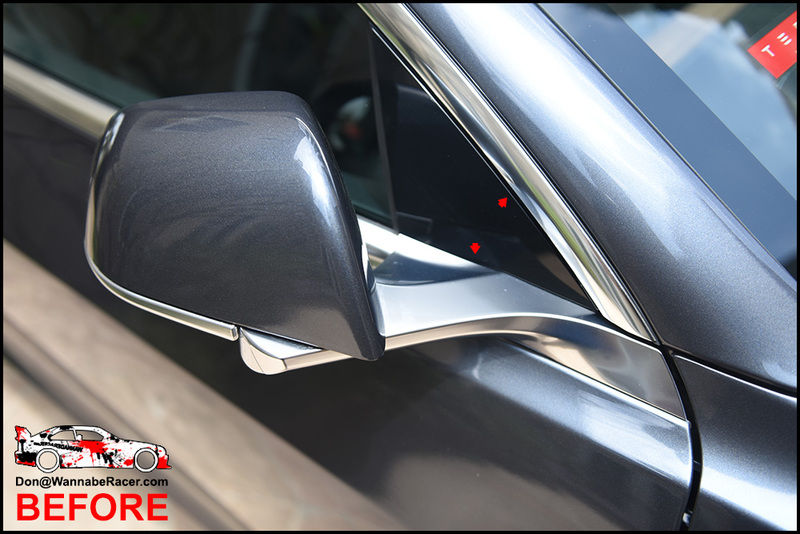 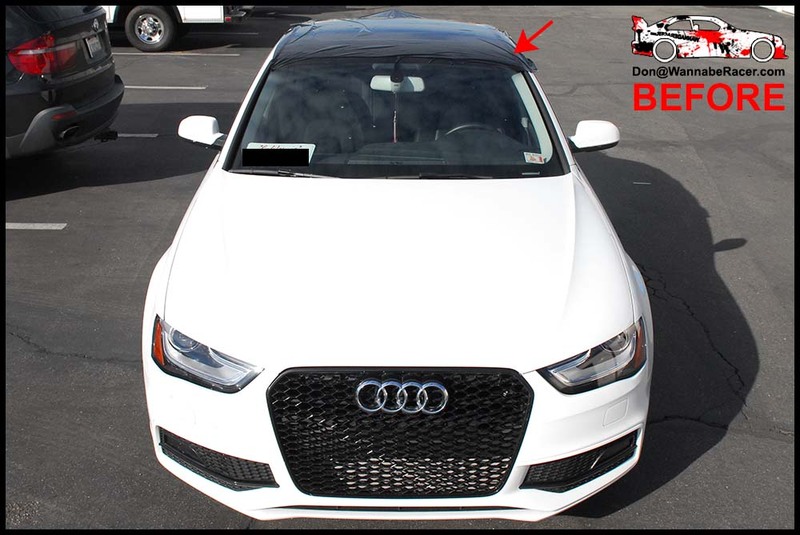 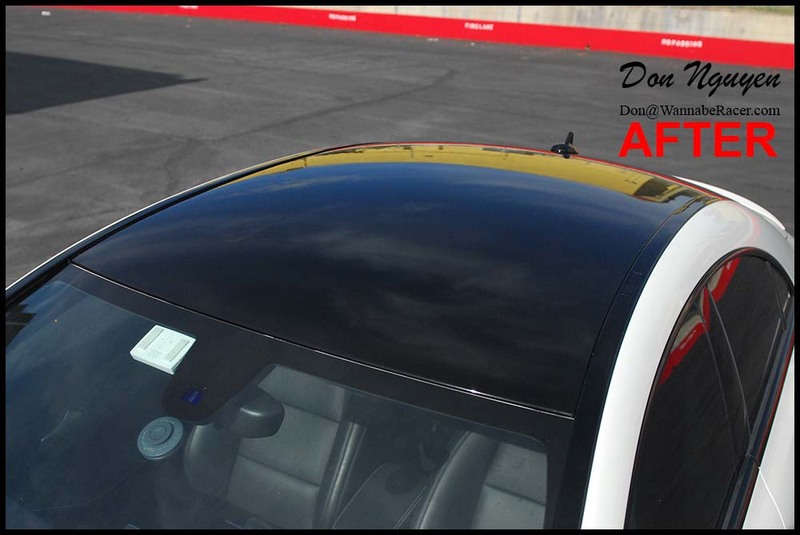 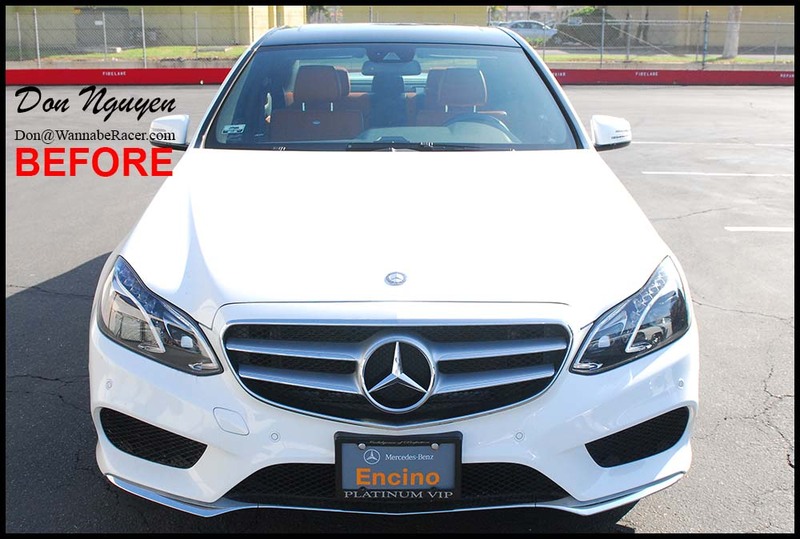 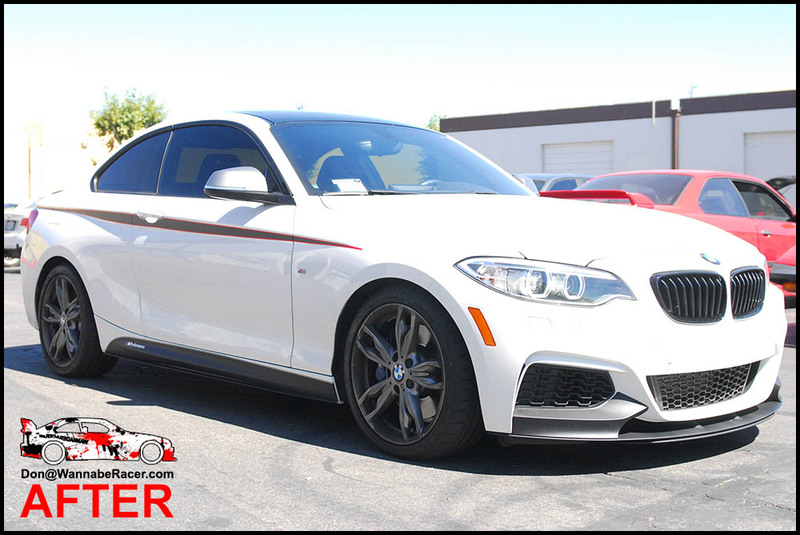 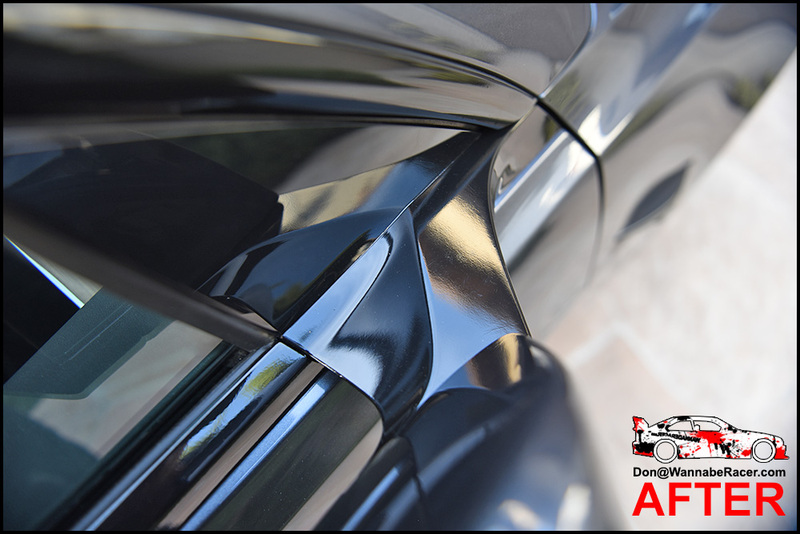 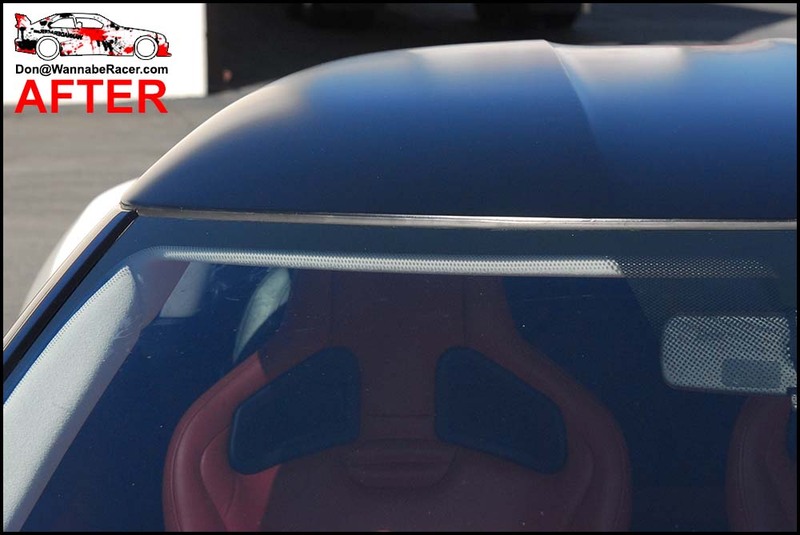 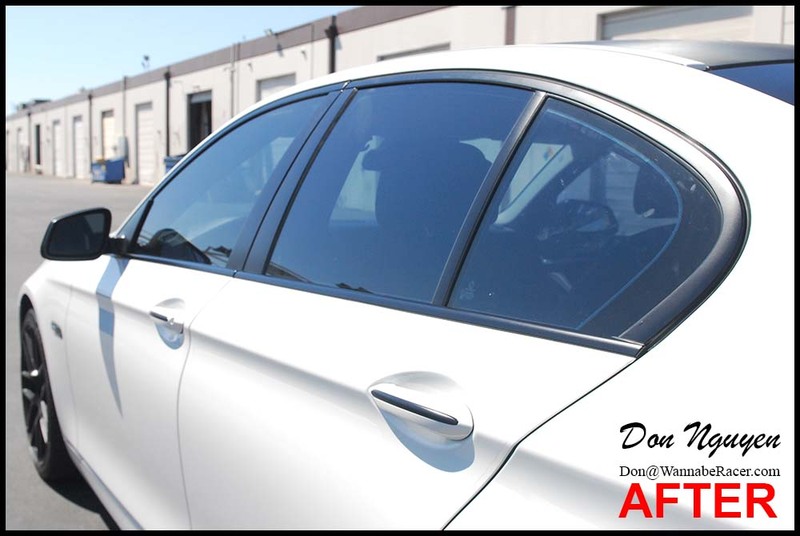 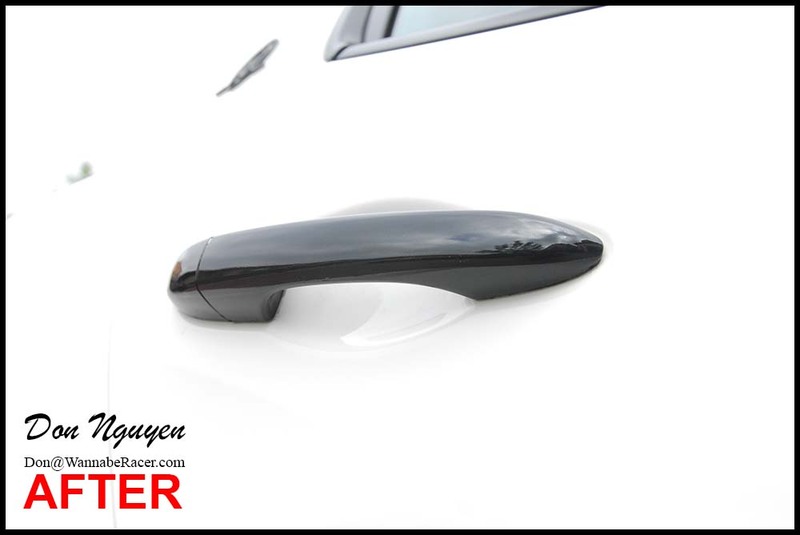 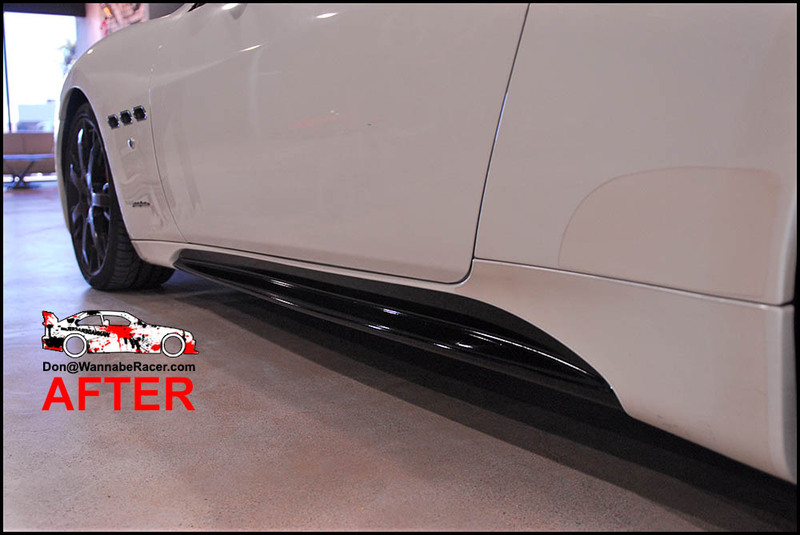 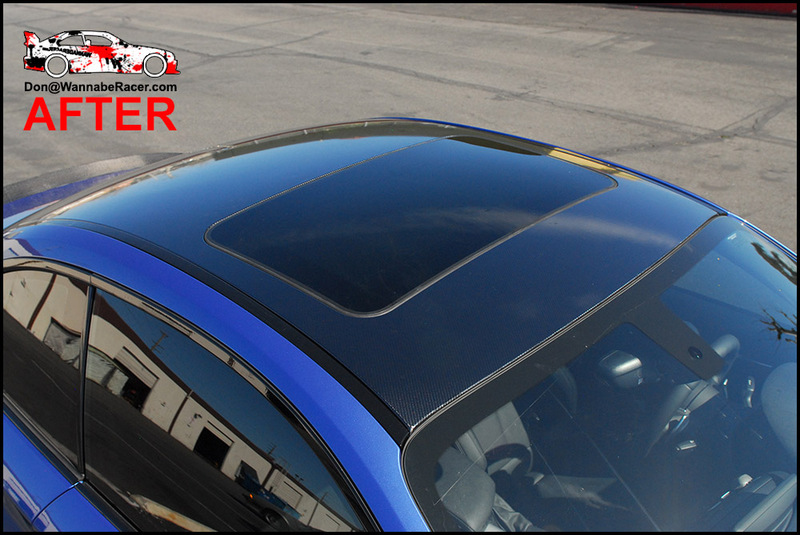 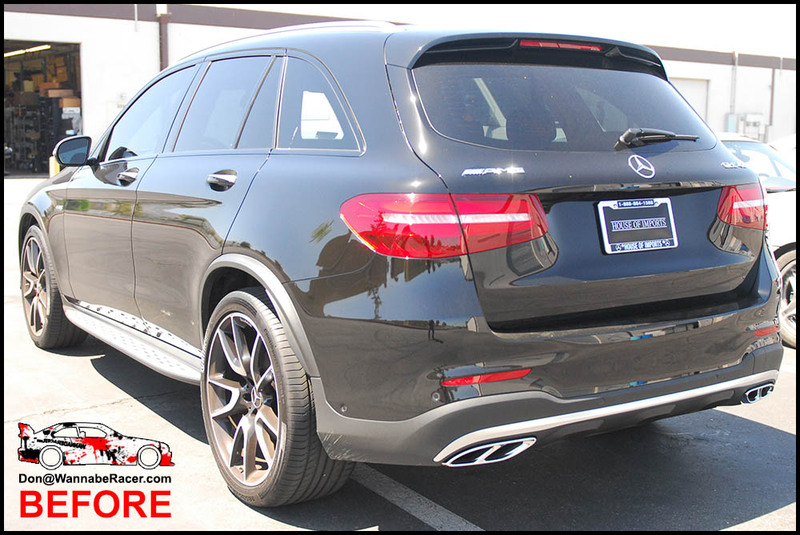 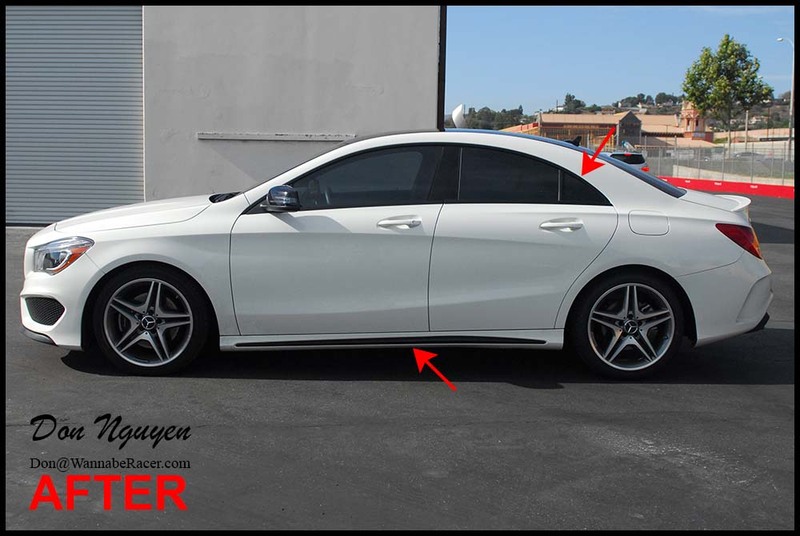 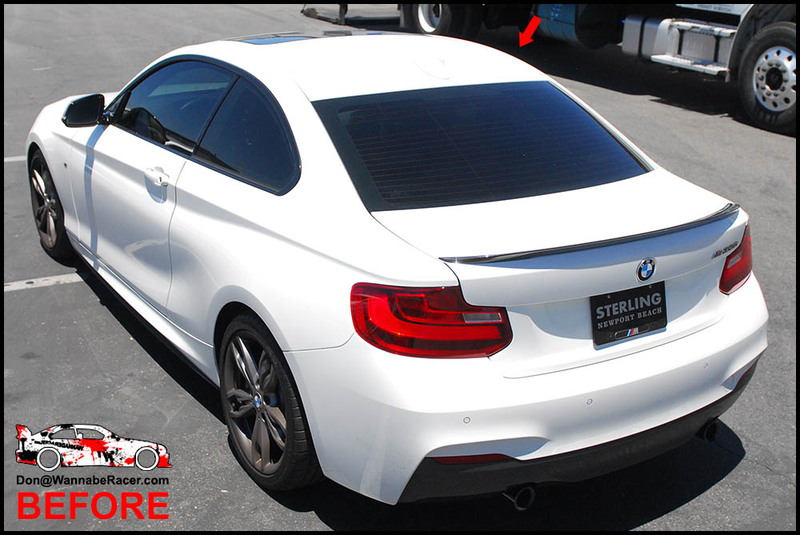 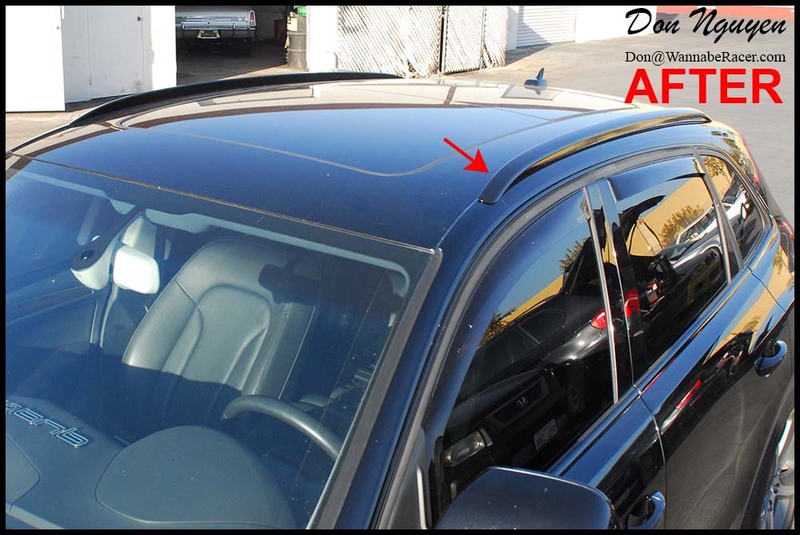 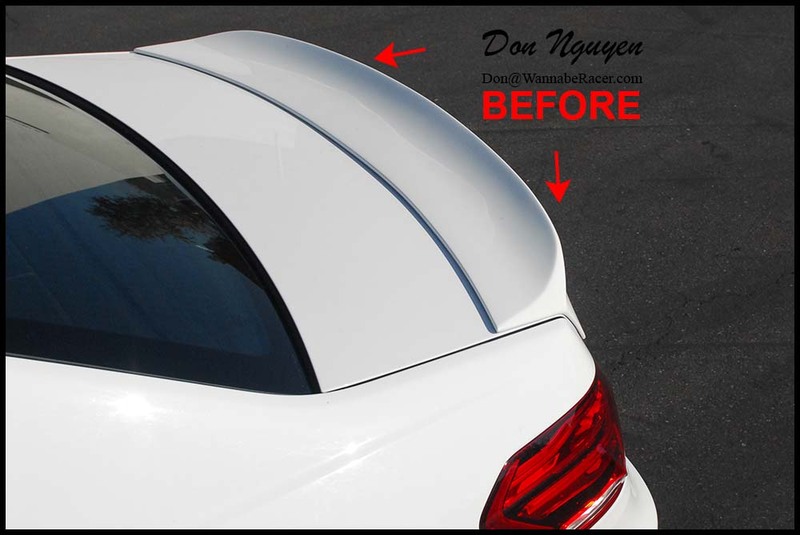 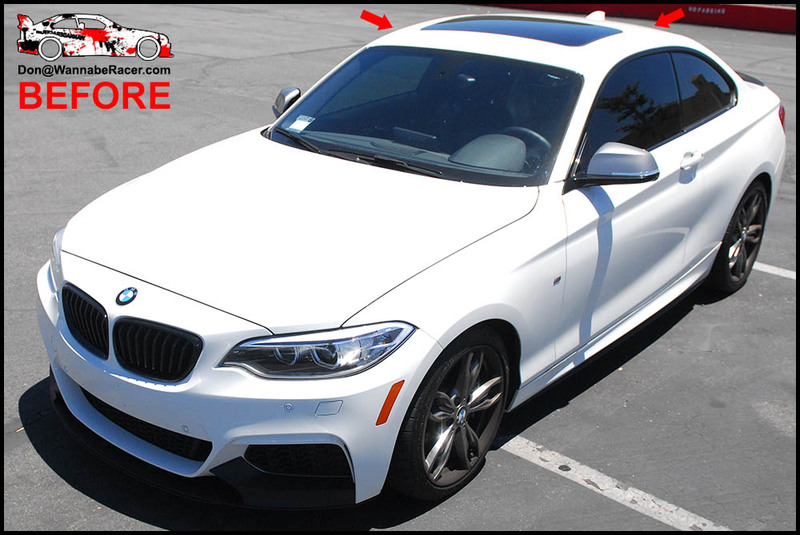 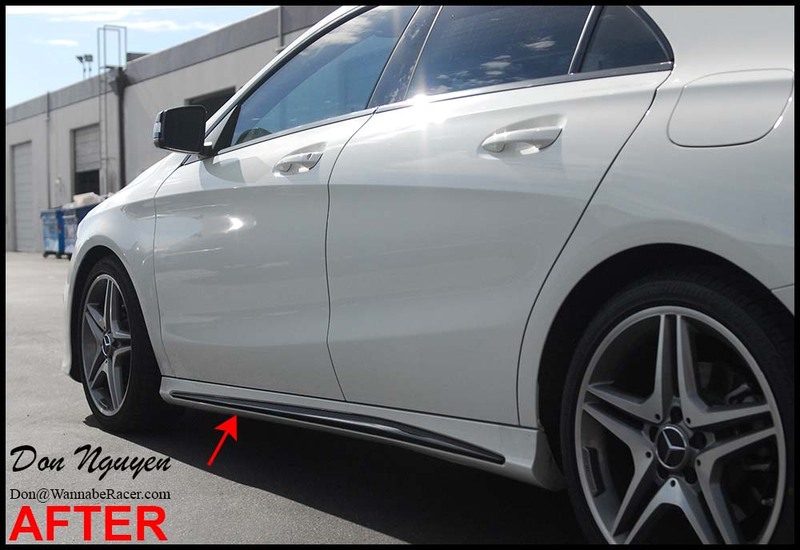 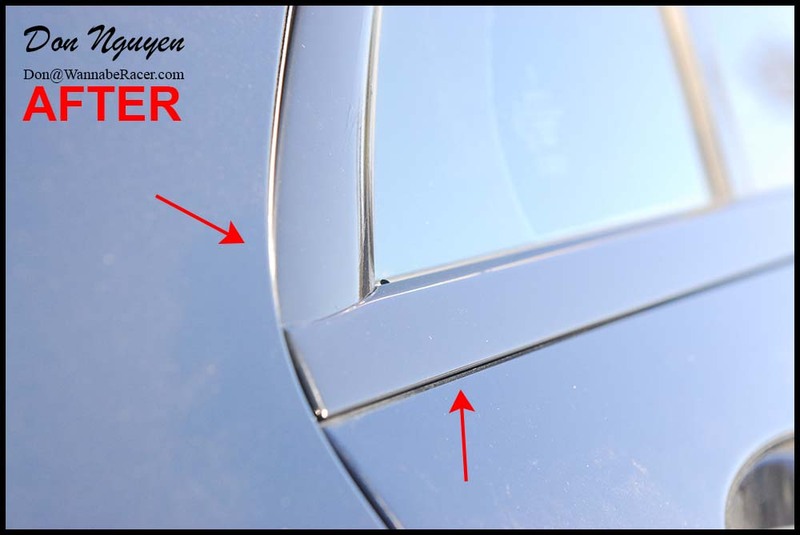 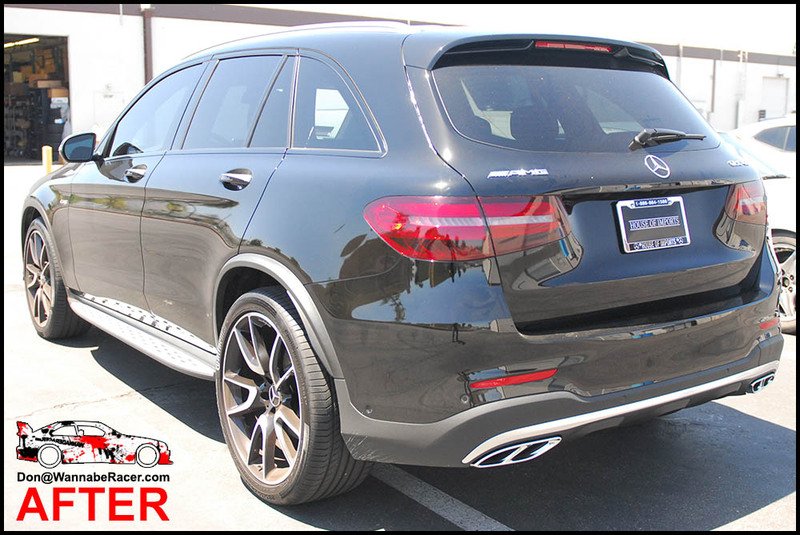 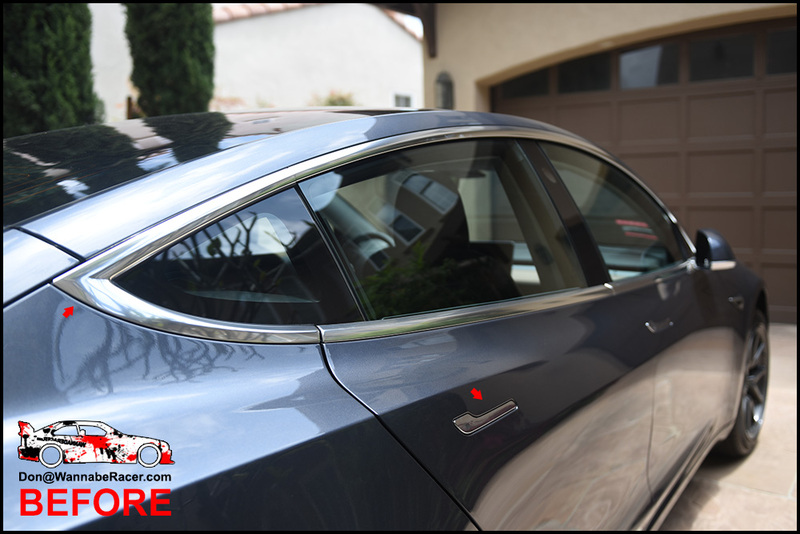 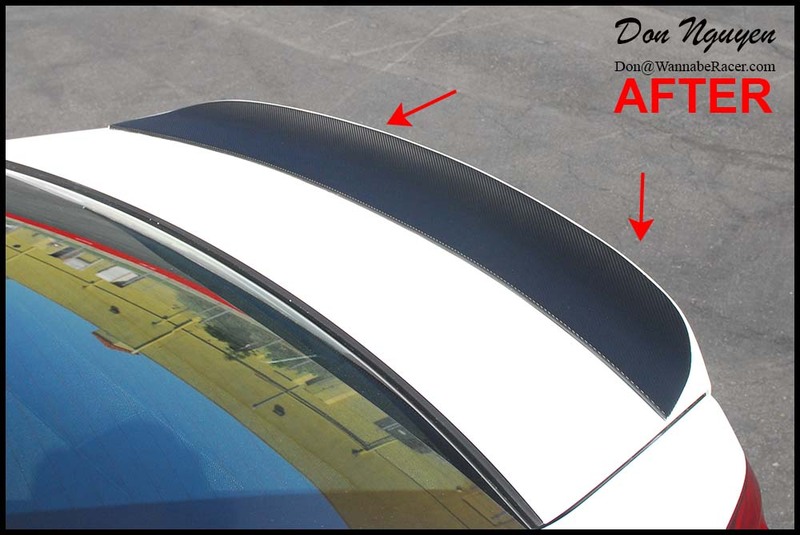 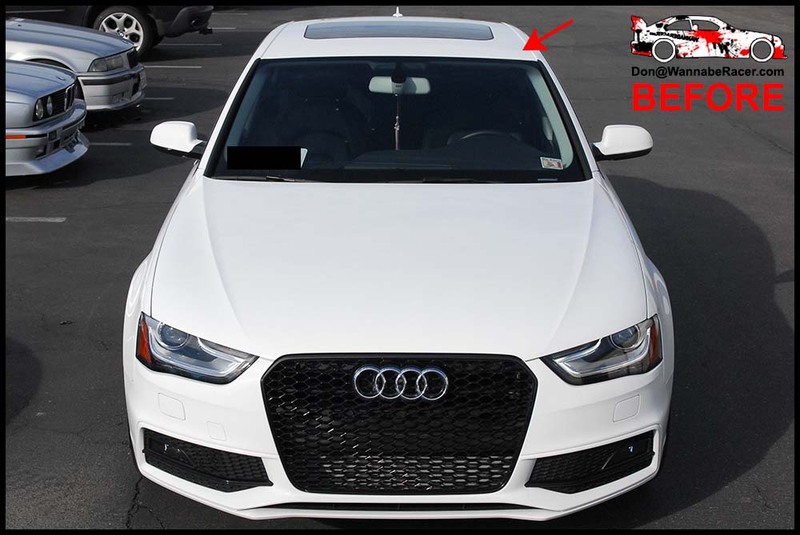 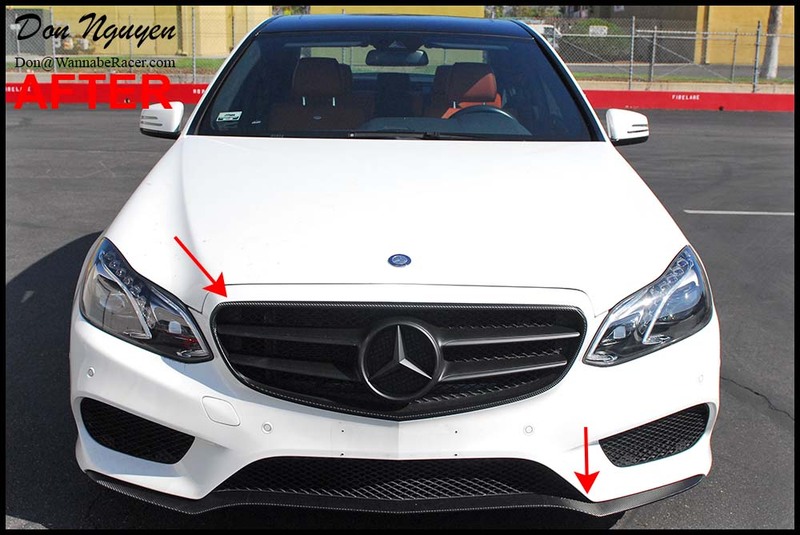 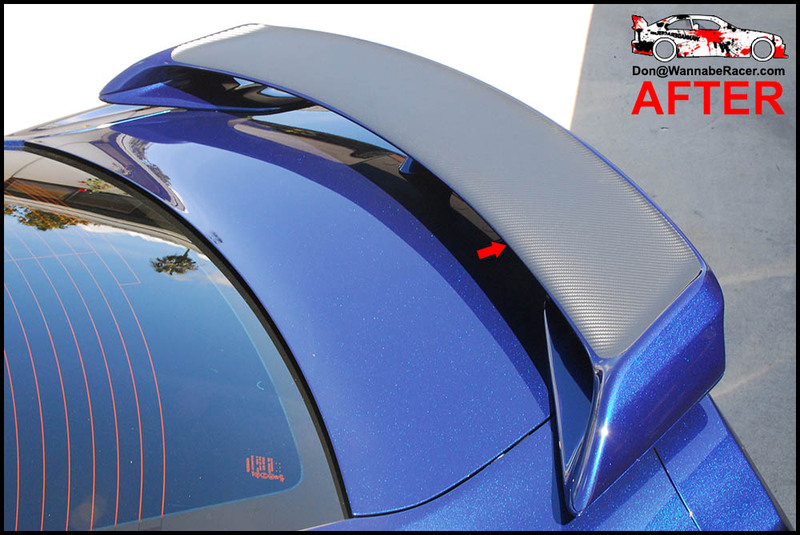 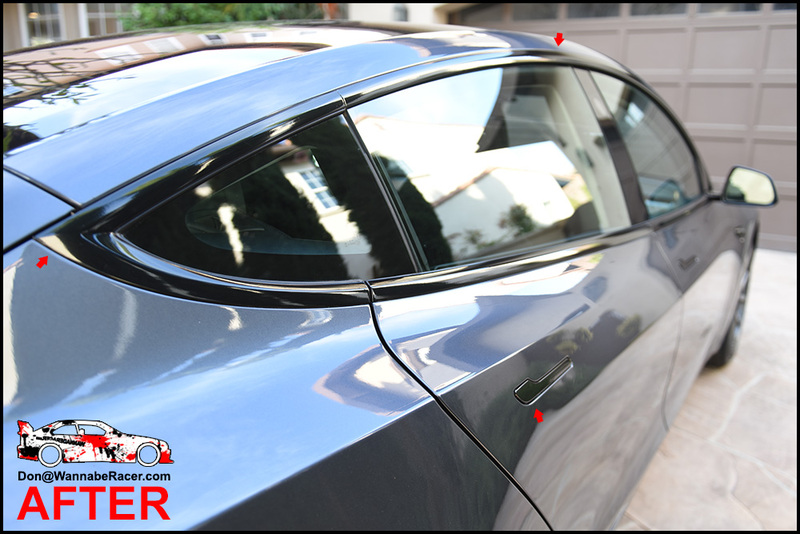 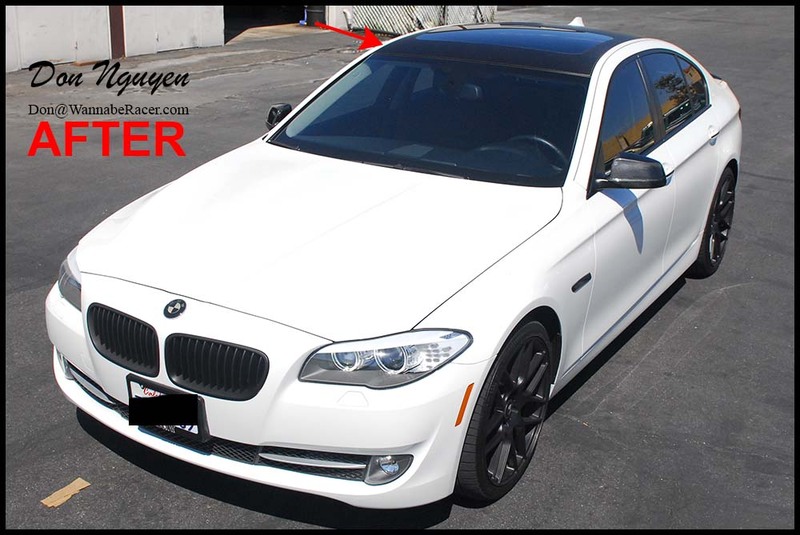 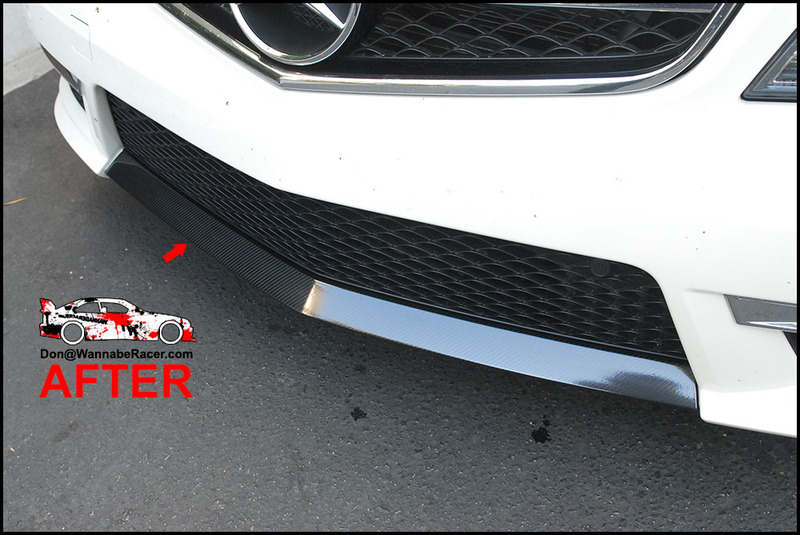 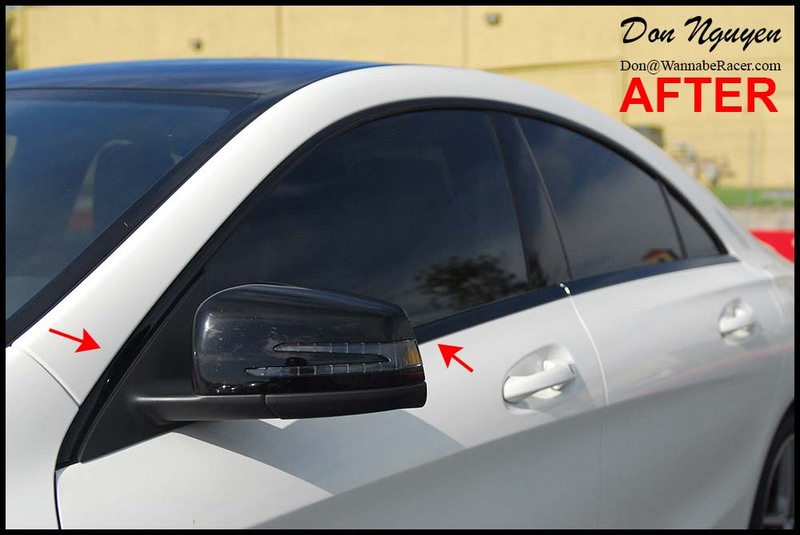 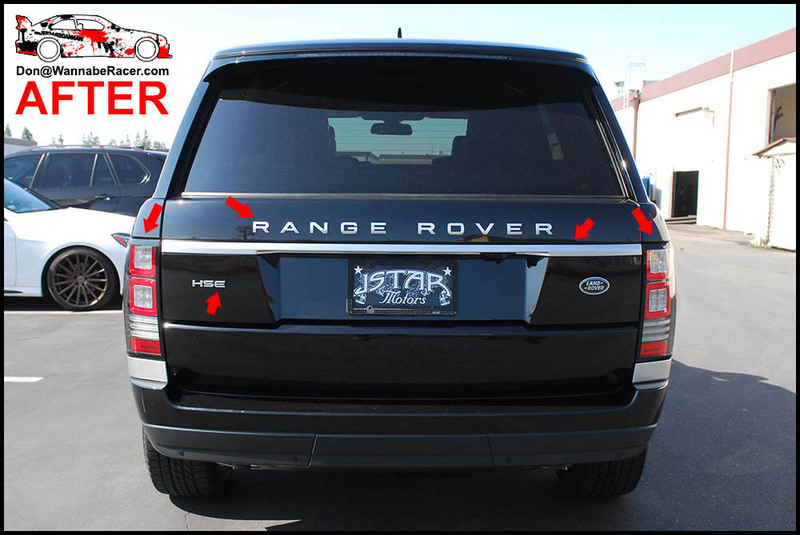 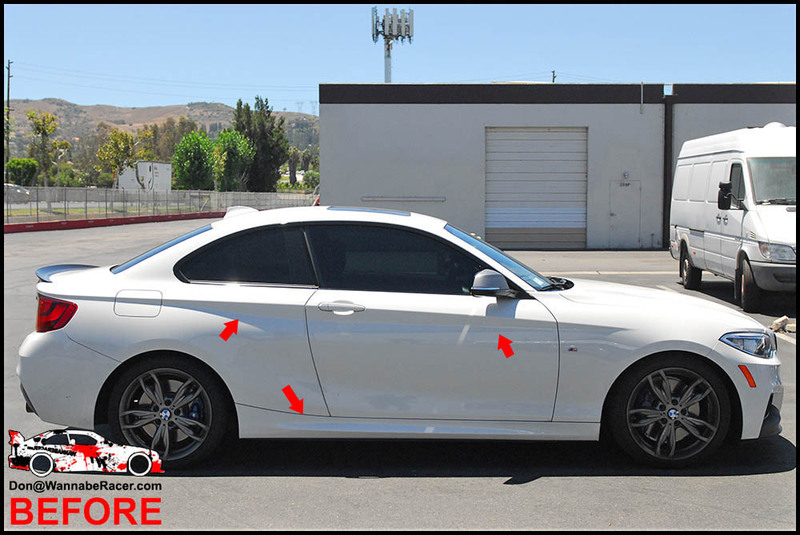 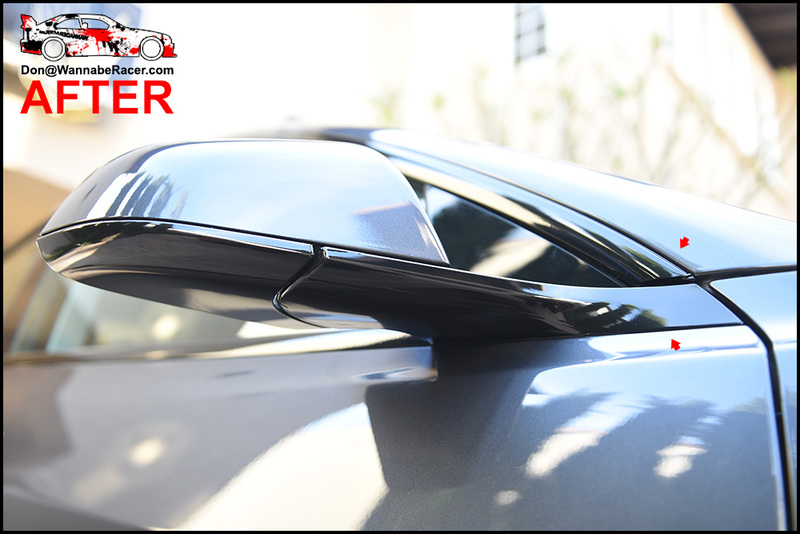 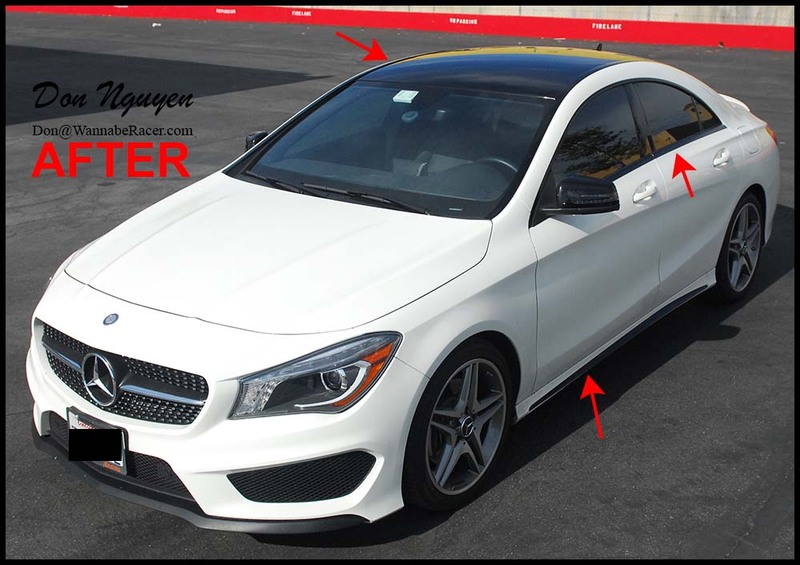 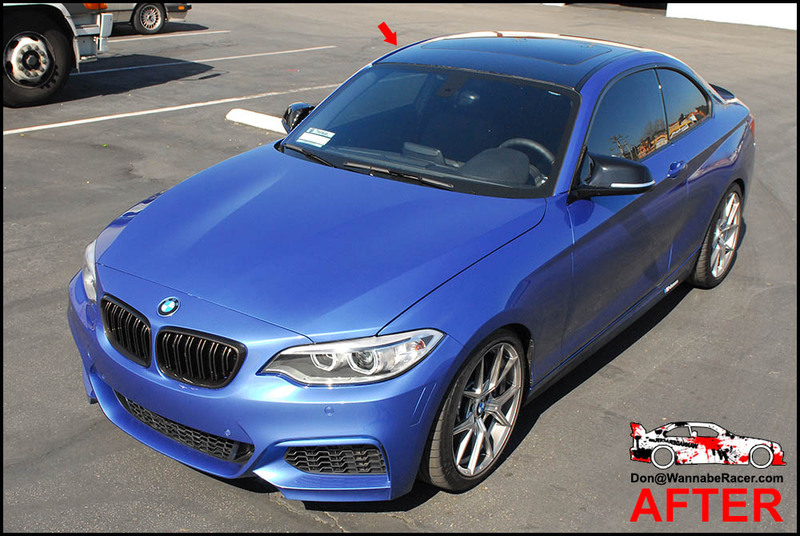 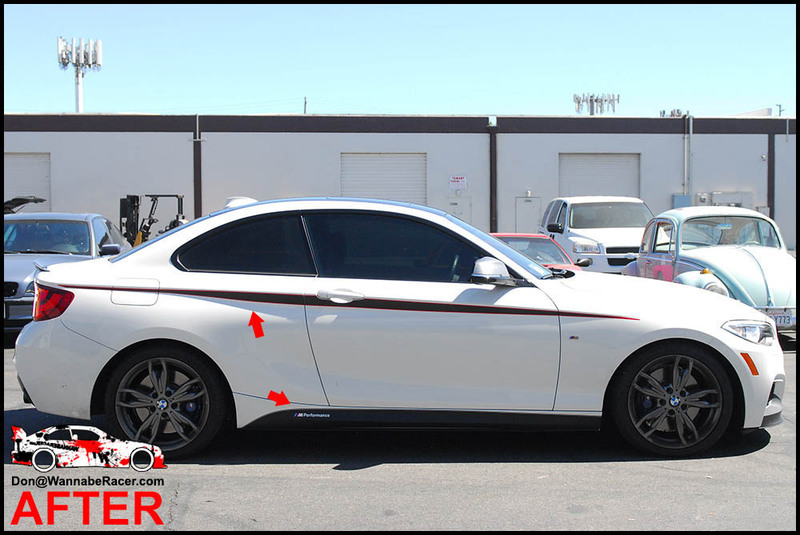 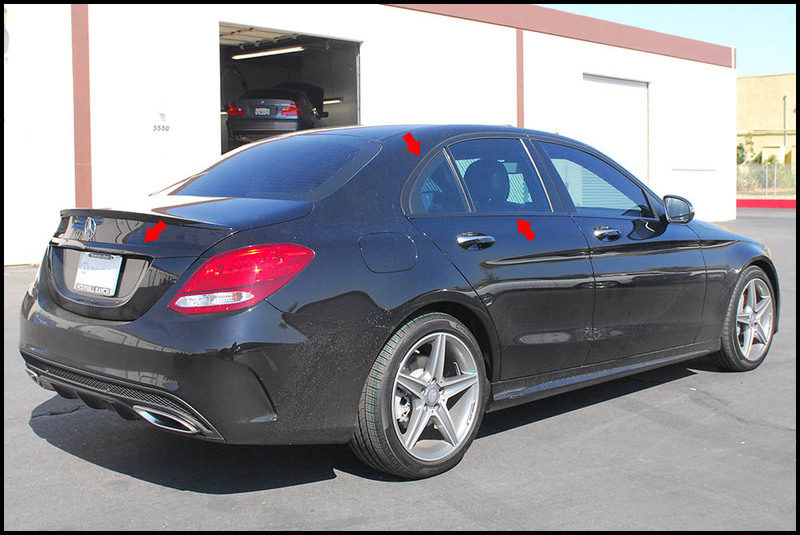 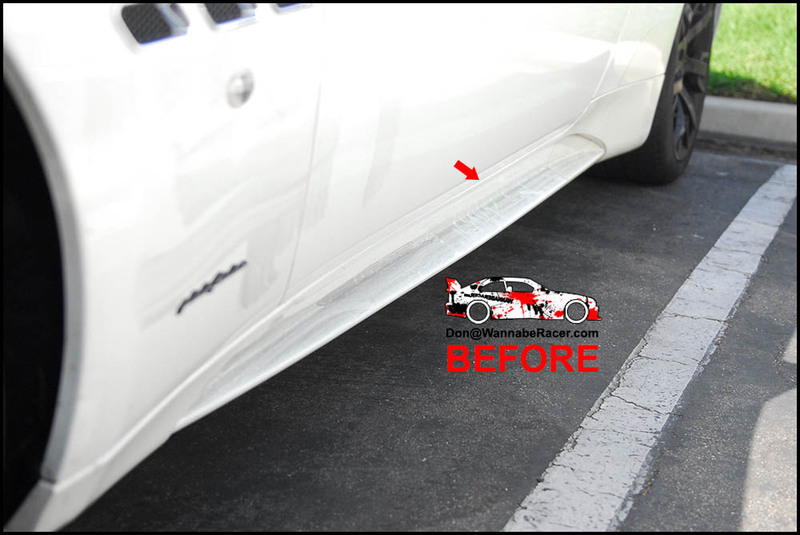 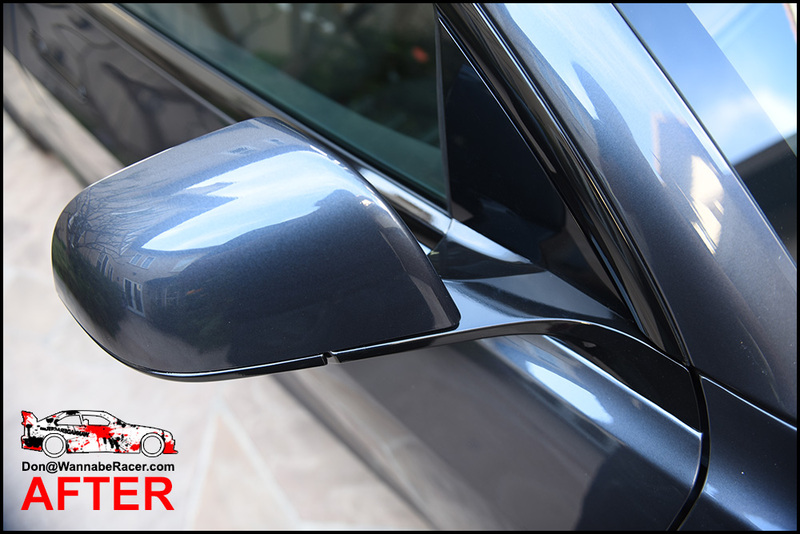 The large chrome roof rack rails that run along the length of the roof and the chrome window trim on both sides of the car make up a fairly good portion of the overall surface area on the car. 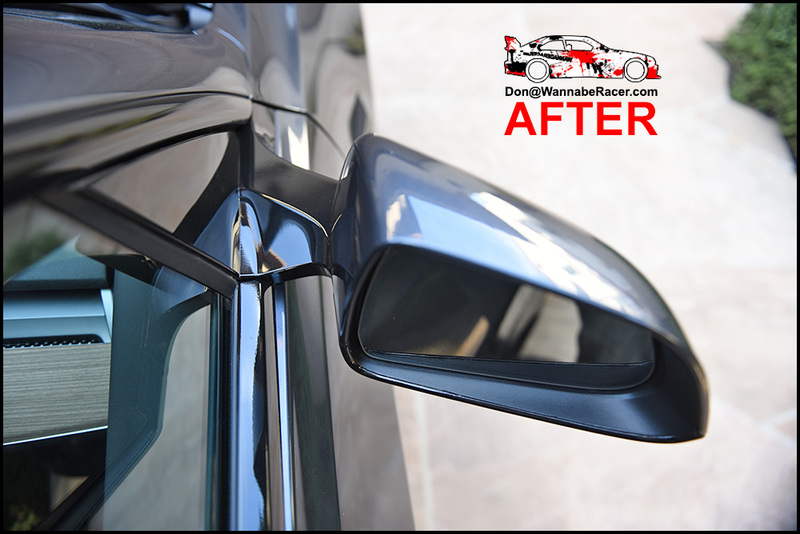 By wrapping just these chrome pieces in my gloss black vinyl material alone completely cleaned up the lines of the car, making it look more aggressive and giving it a cleaner look as well. 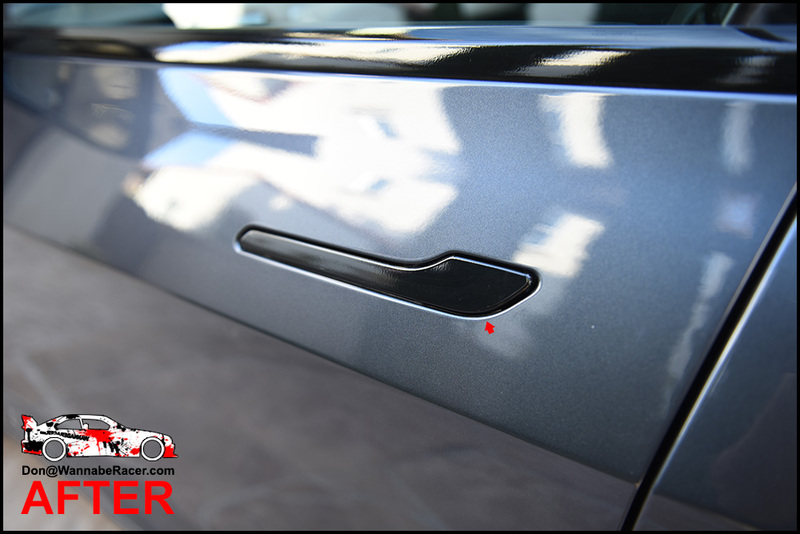 I also blacked out the chrome on the top of the door handles and rear trunk lid lower chrome bar. 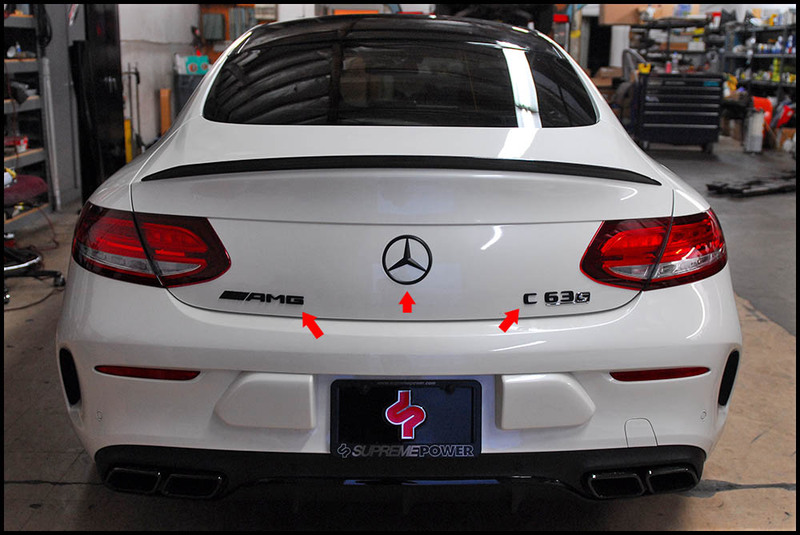 To finish things of in the rear, I lightly smoked / tinted the rear tail lights and debadged the emblems. 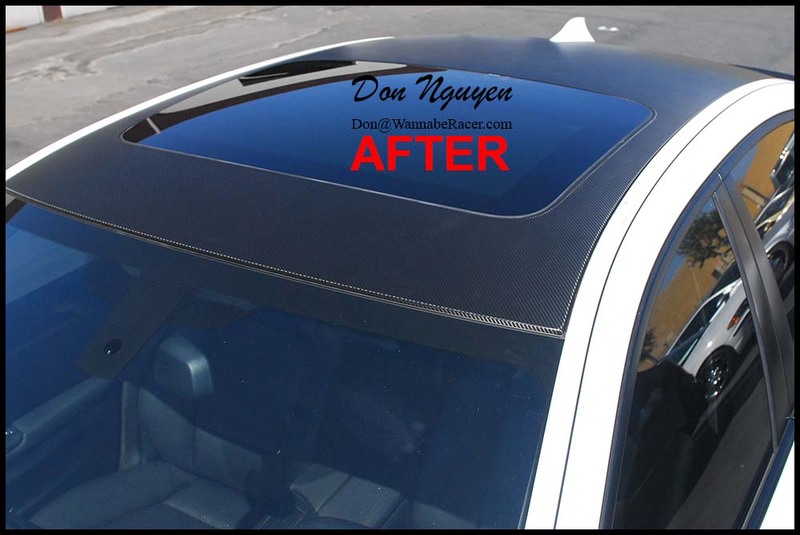 The owner of this car was in Newport Beach / Orange County and came out to me in Anaheim Hills to get the vinyl work done. 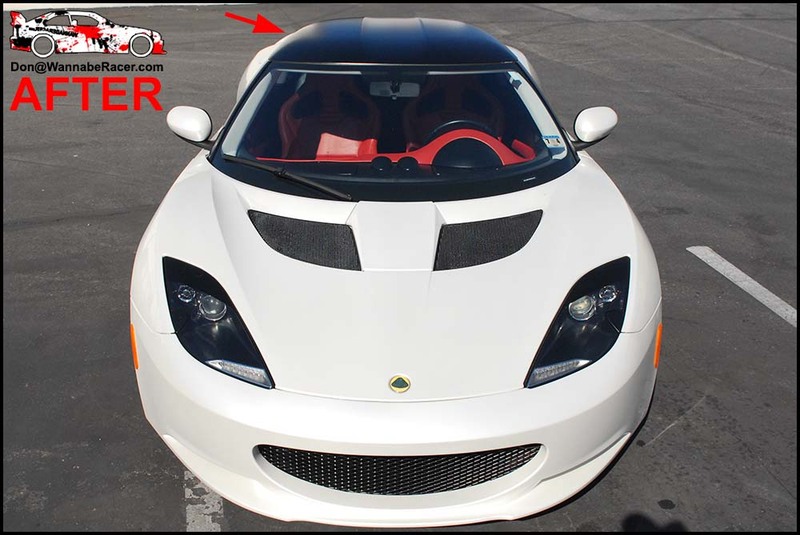 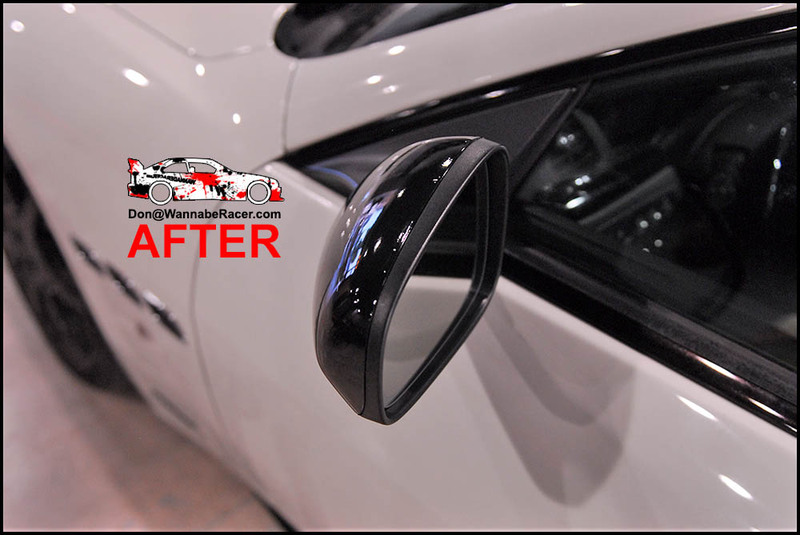 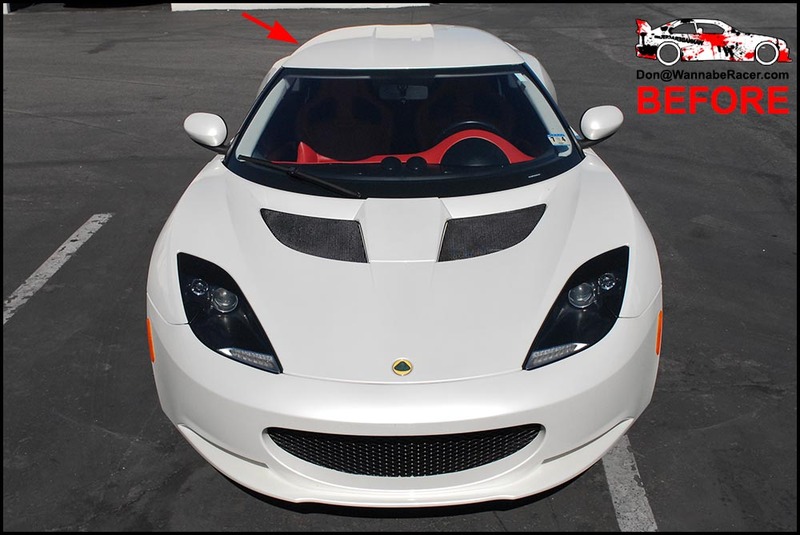 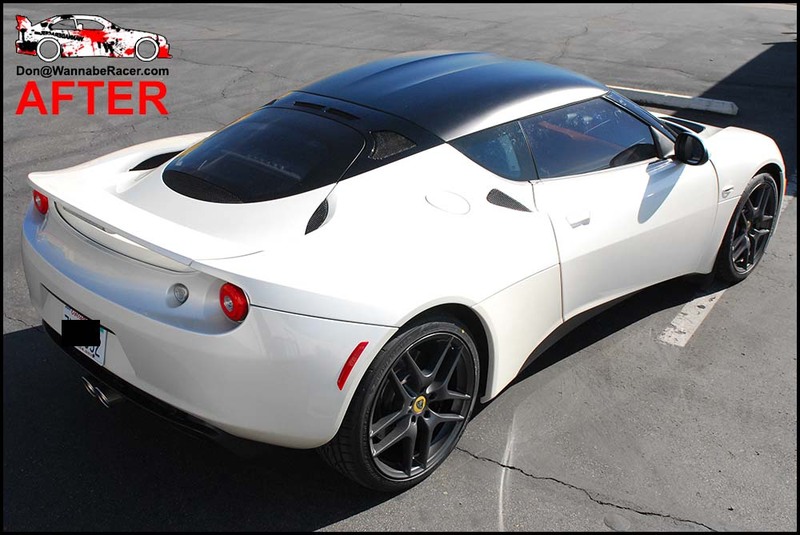 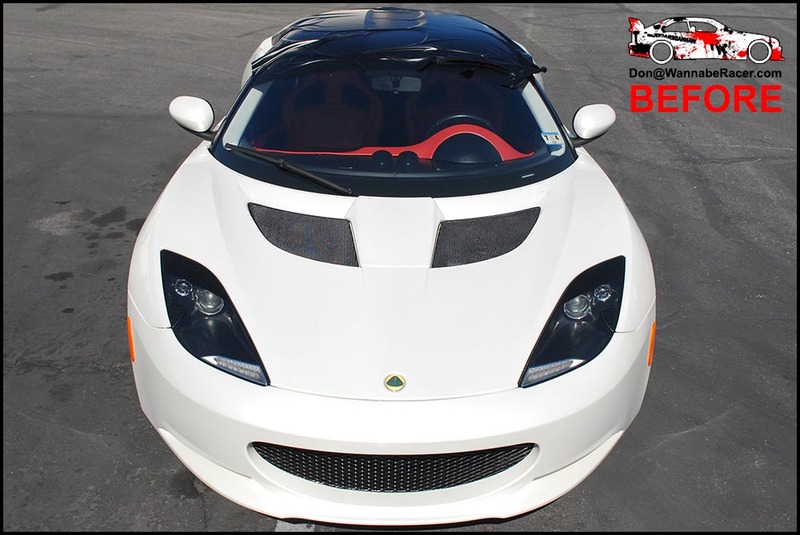 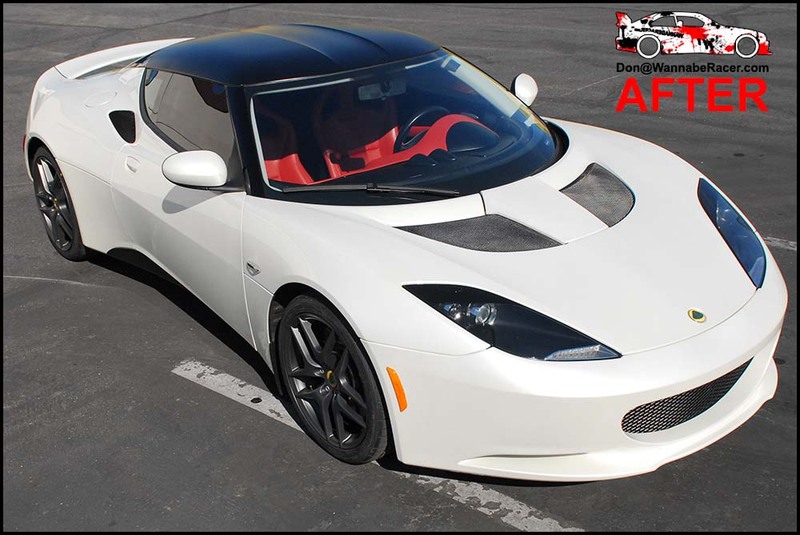 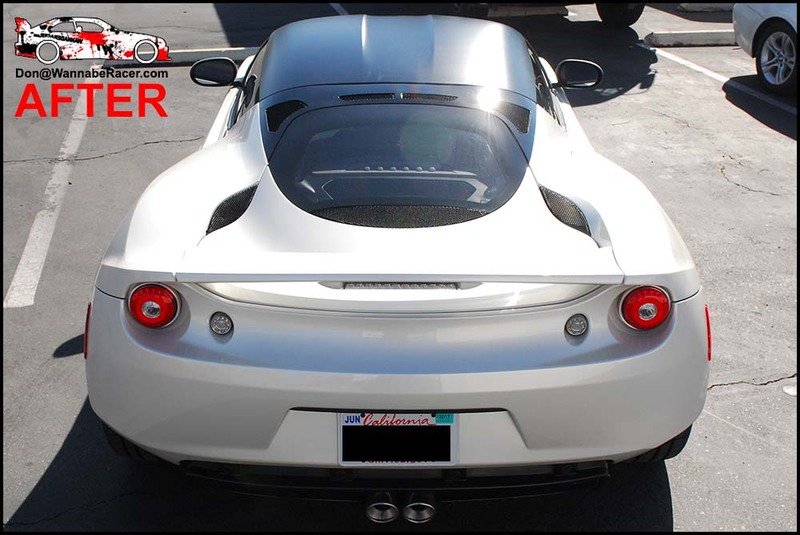 For this white Lotus Evora, the owner of the car wanted to go with my matte black vinyl wrap material on the roof of the car and also the lower side skirts/rockers of the car. 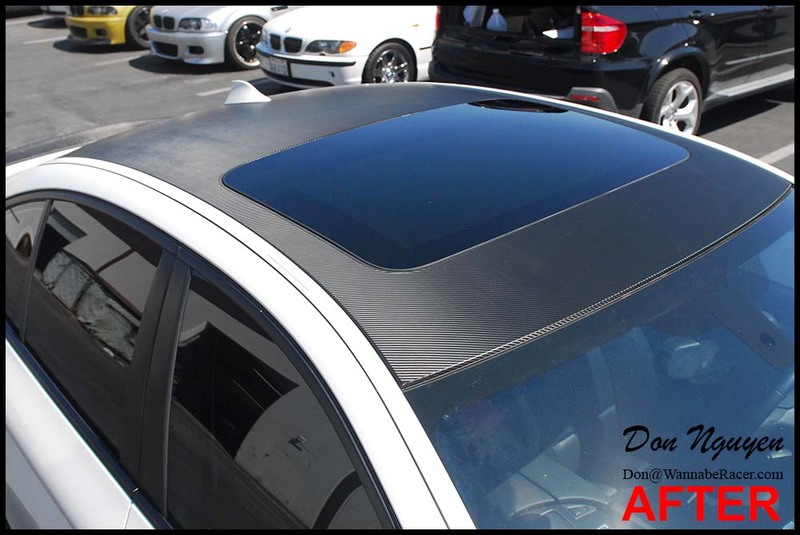 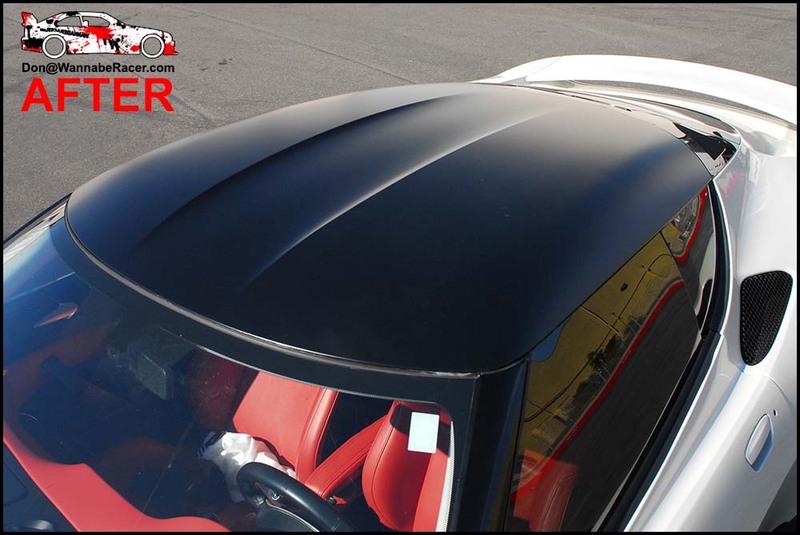 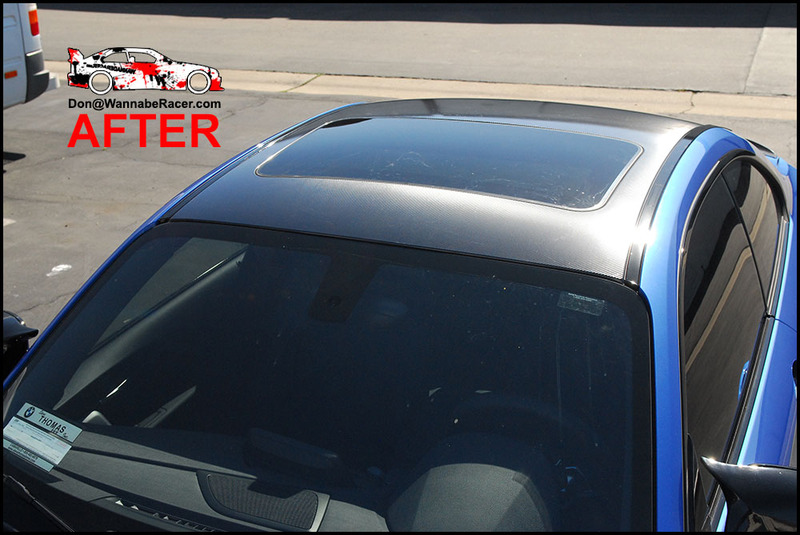 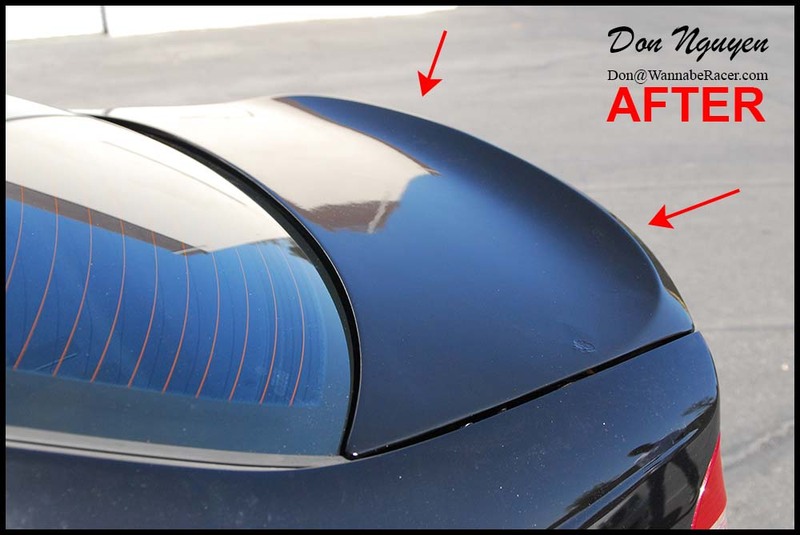 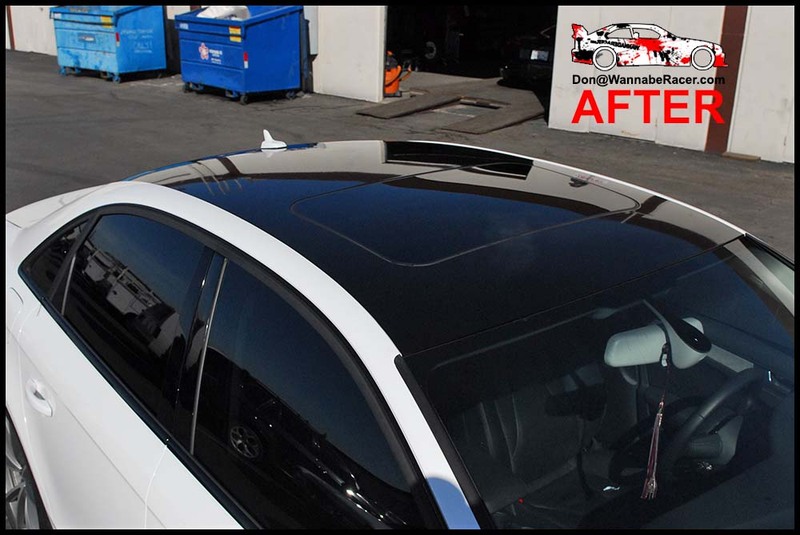 The matte black roof wrap provided a nice contrast with the rest of the car and really provided the car with some more defined lines to show off the shape of the car. 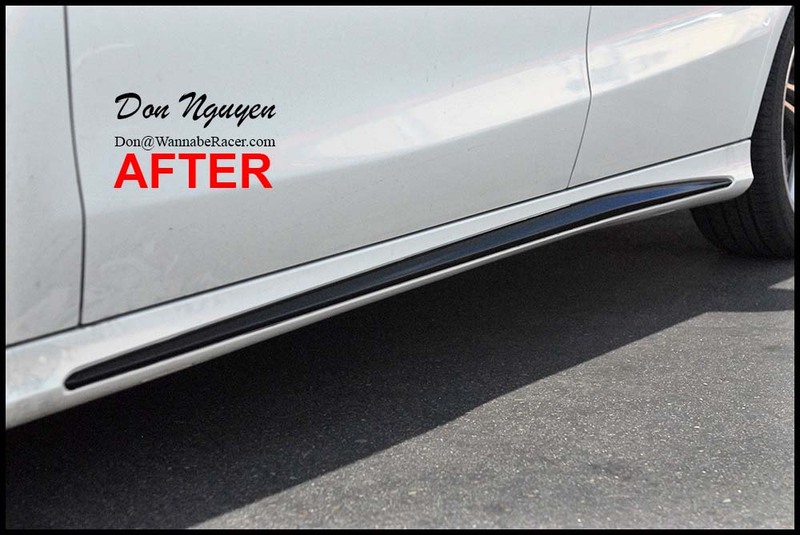 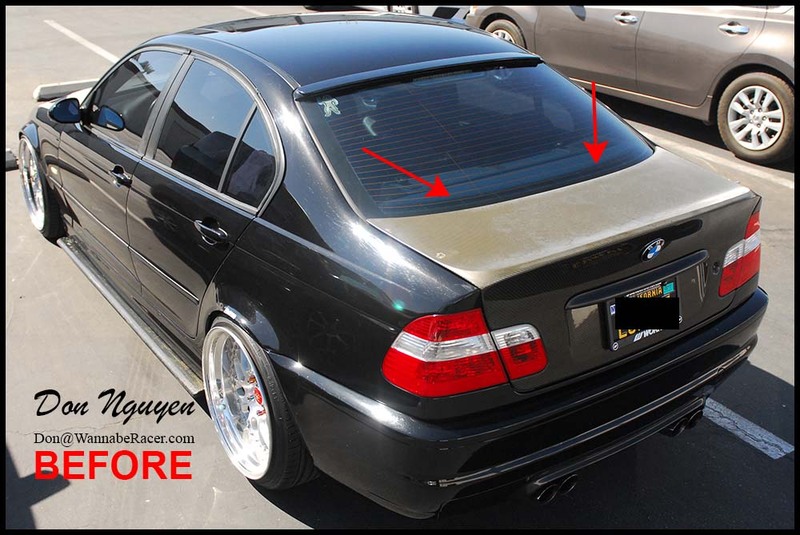 The owner of this car came out to me in Anaheim Hills / Orange County from Walnut to get the vinyl work done on his car. 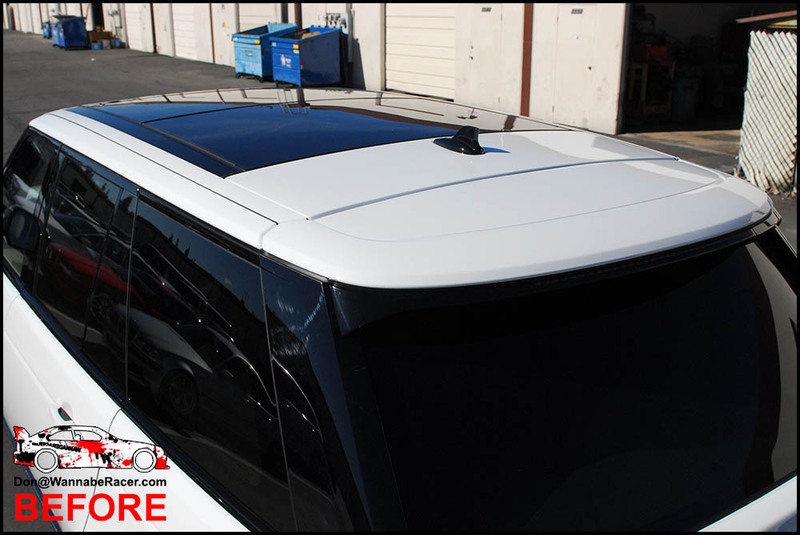 Lately I have gotten some more SUVs in to get vinyl work done. 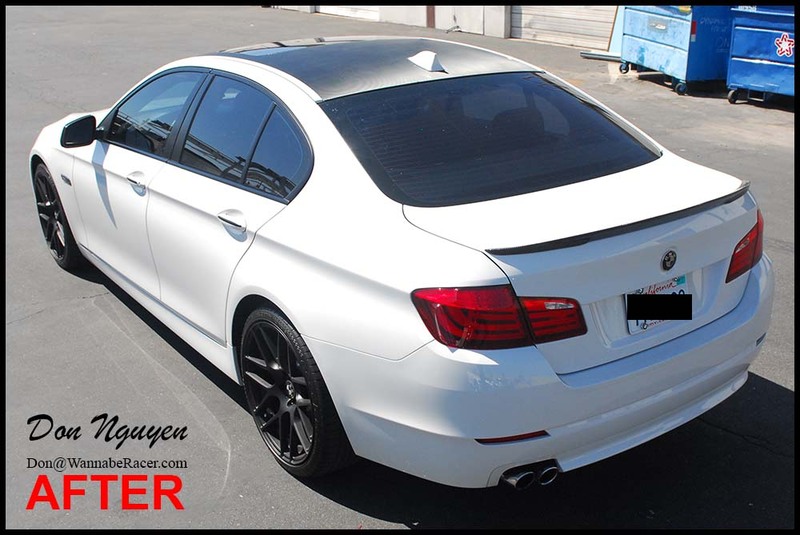 Probably a progression of those who modified their coupes/sedans before, but now had to get a bigger family car haha. 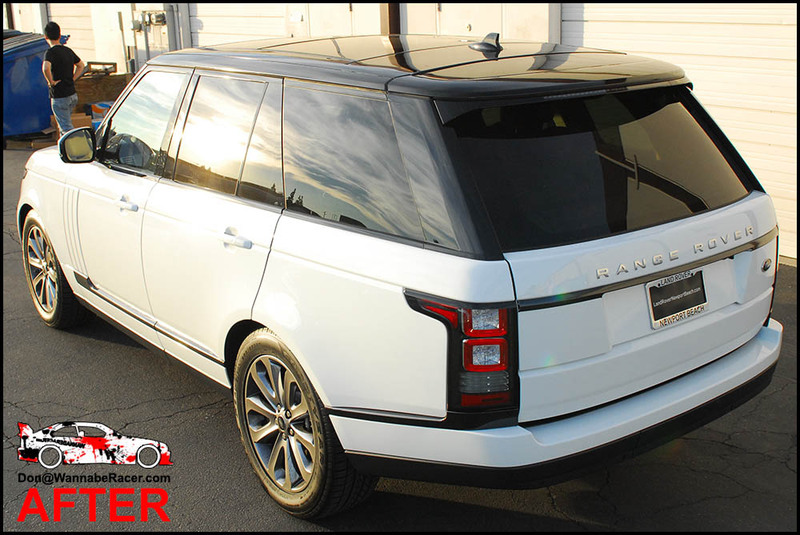 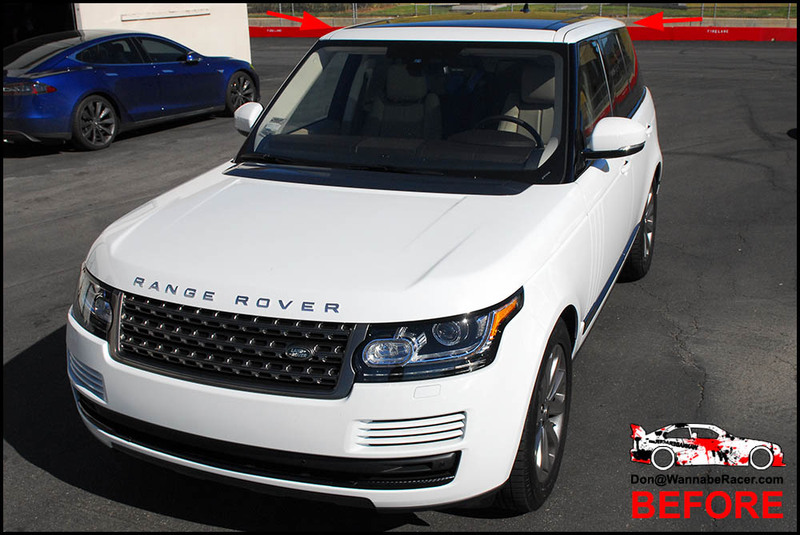 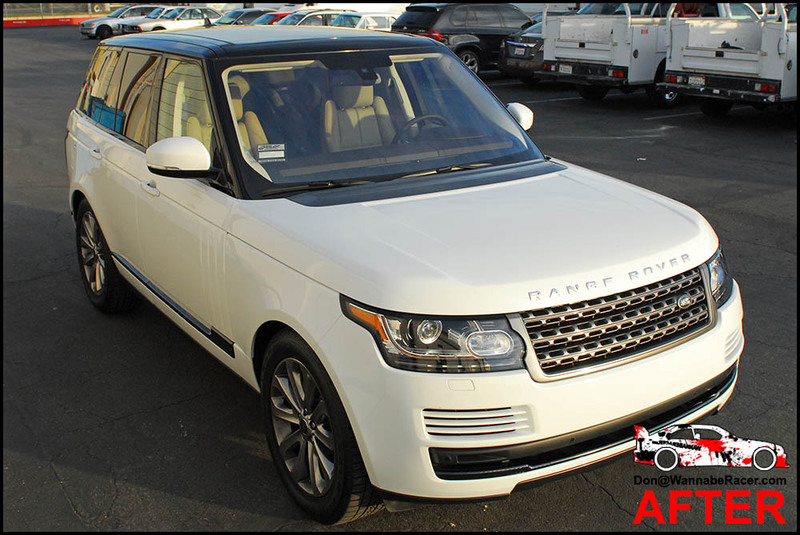 The owner of this white Land Rover Range Rover had me wrap the entire roof his car in gloss black. 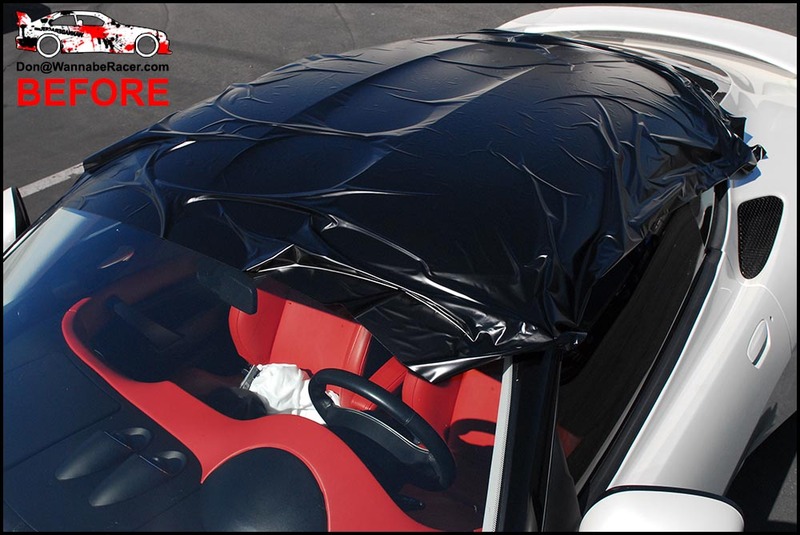 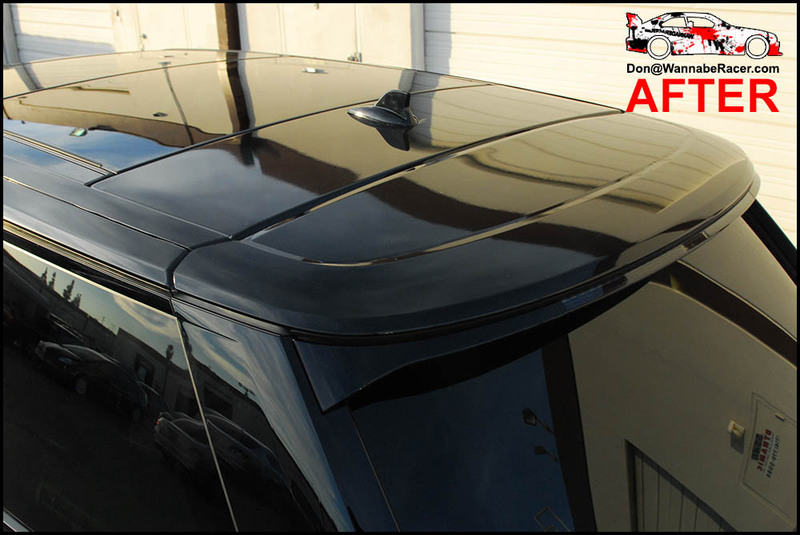 Unlike most roofs, the roof on this Range Rover was made up of many separate sections, which made it quite a bit of work to wrap, but the end results looked good. 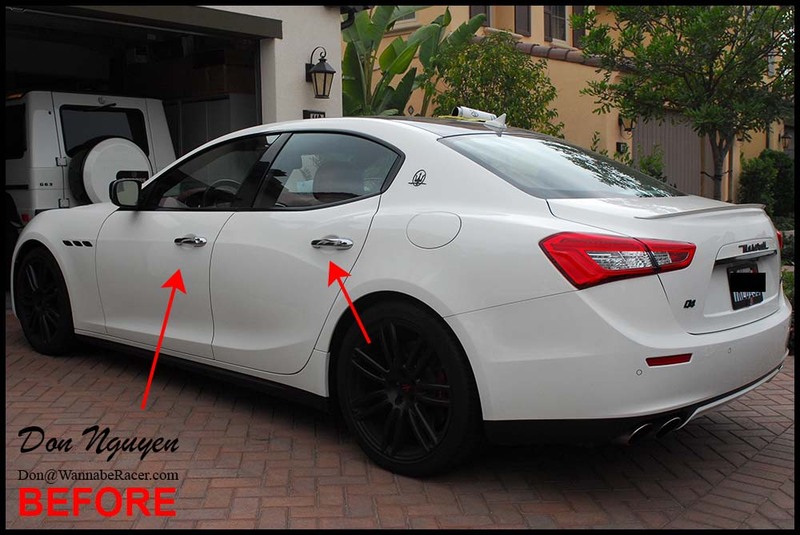 The owner of this car was from Beverley Hills Los Angeles and came out to me in Anaheim Hills Orange County to get the vinyl work done. 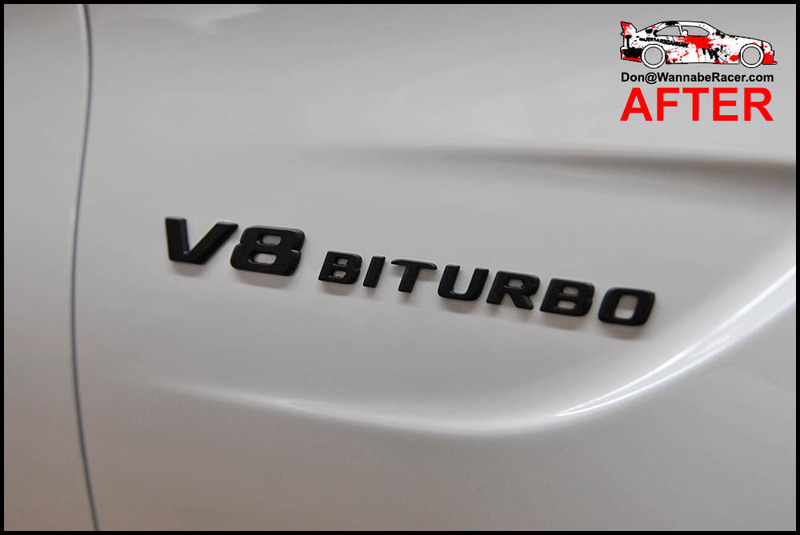 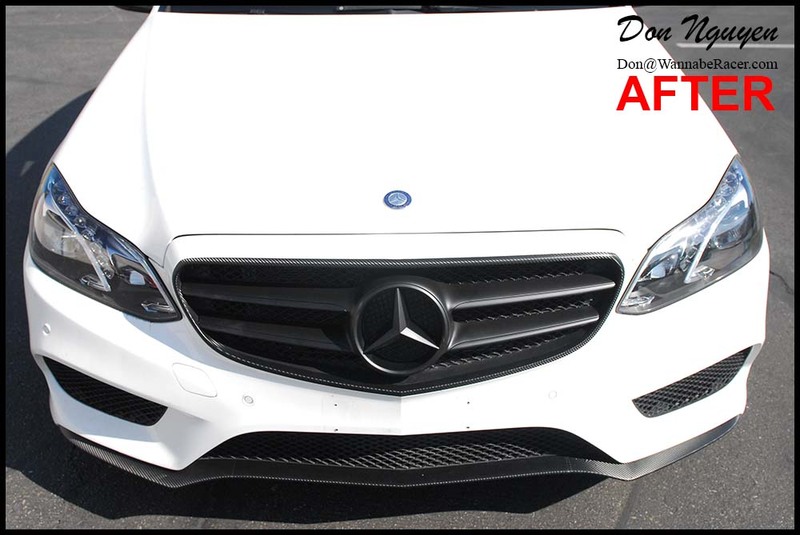 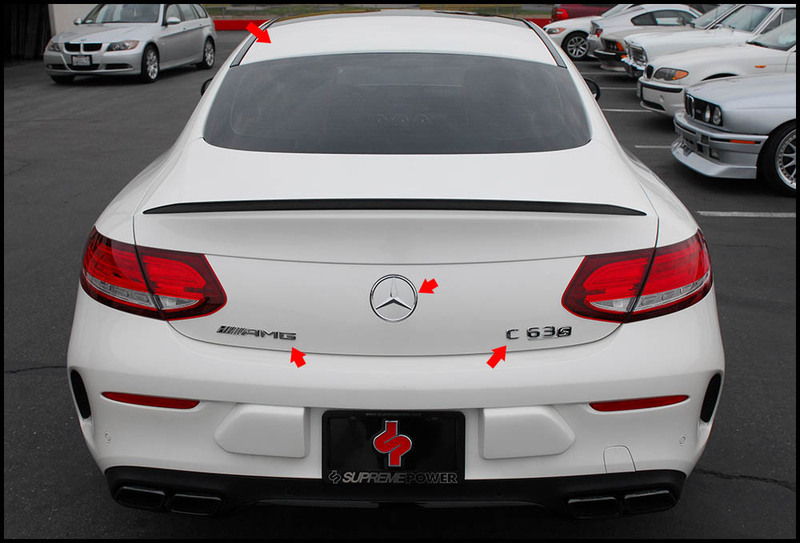 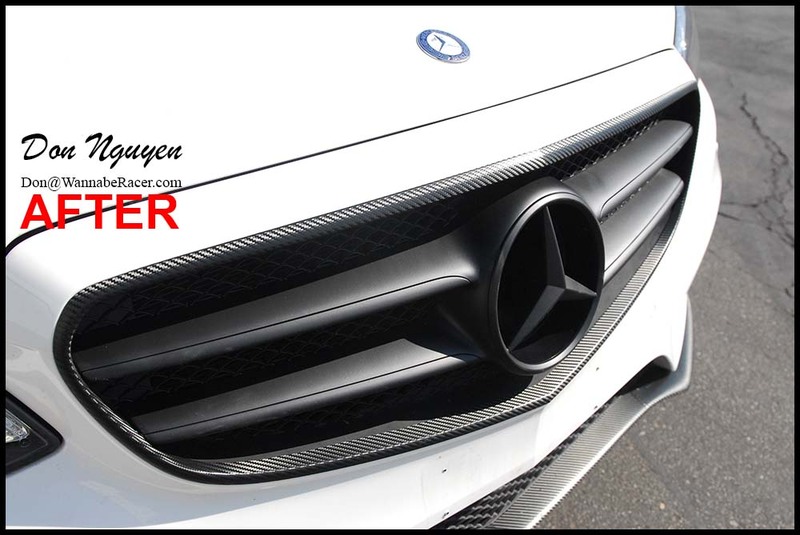 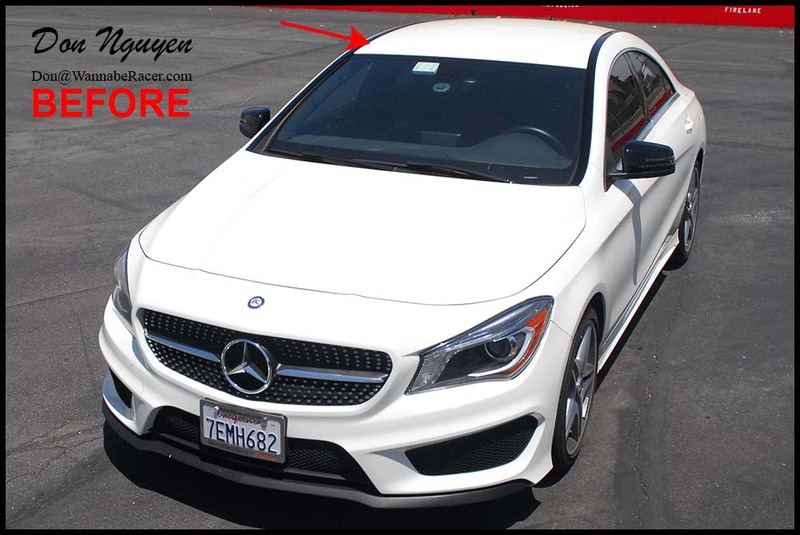 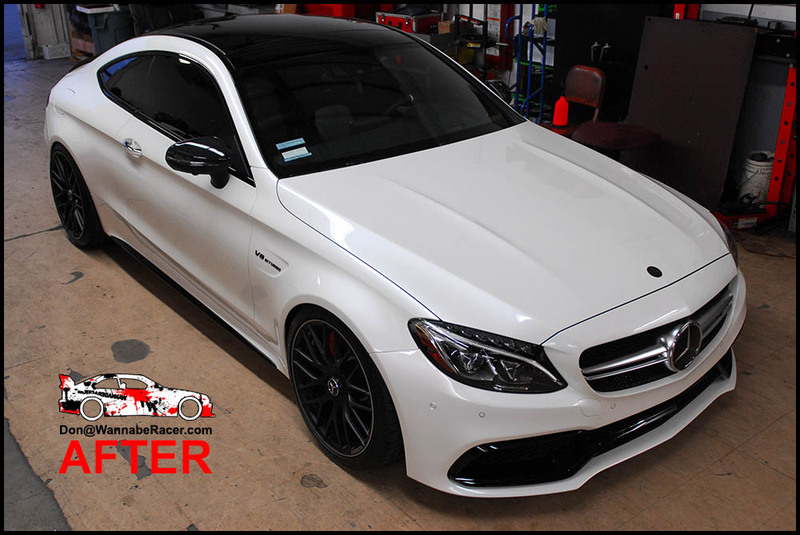 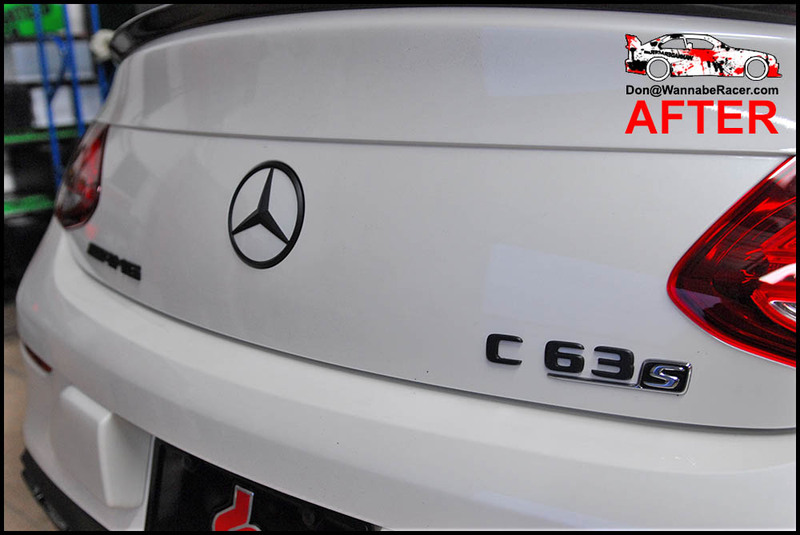 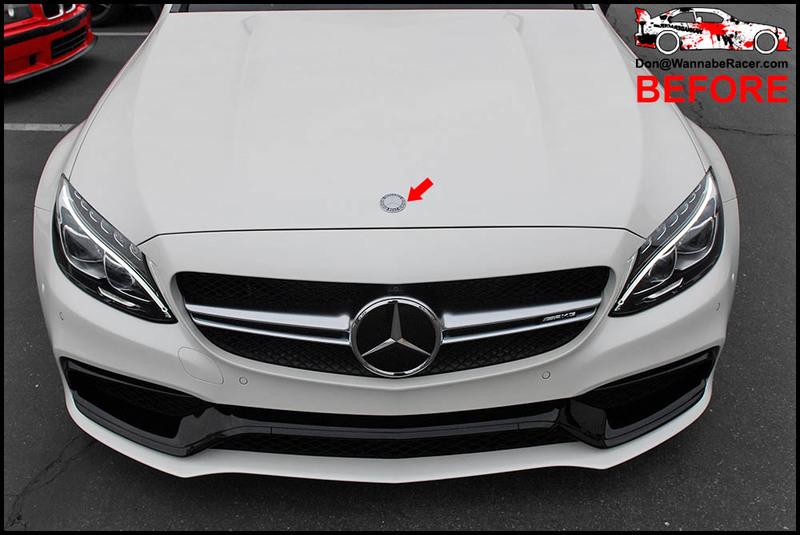 For this white Mercedes C63S coupe I plasti dipped the rear/side/front badges to black them out. 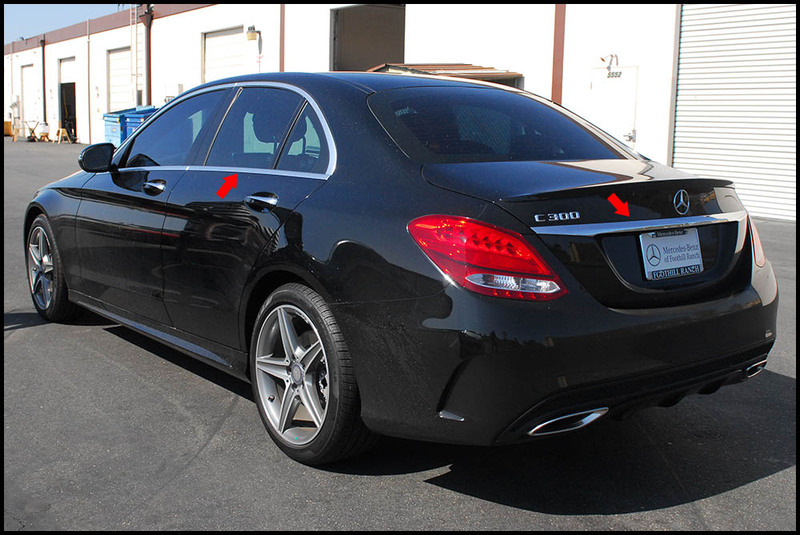 However, for the rear S on the C63S portion, I left it chrome to give it some contrast still. 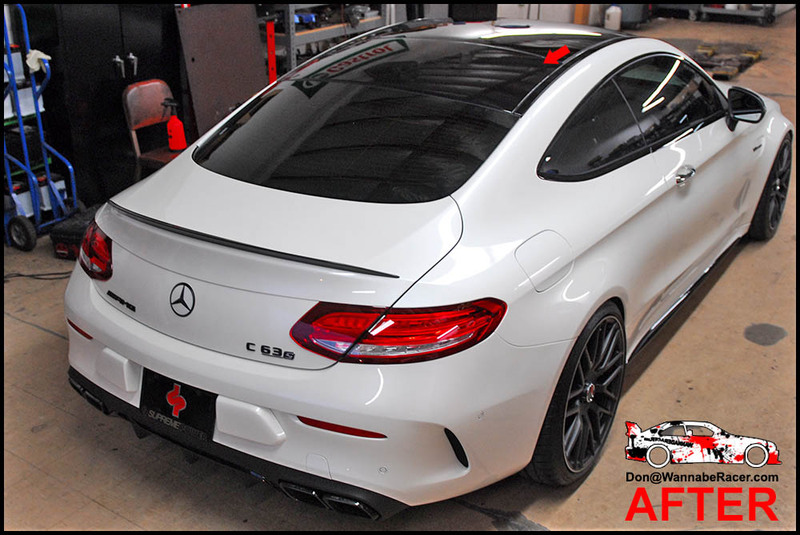 I also blacked out the rear half of the roof to finish off the black roof look, filling in that large white area that Mercedes leaves body colored. 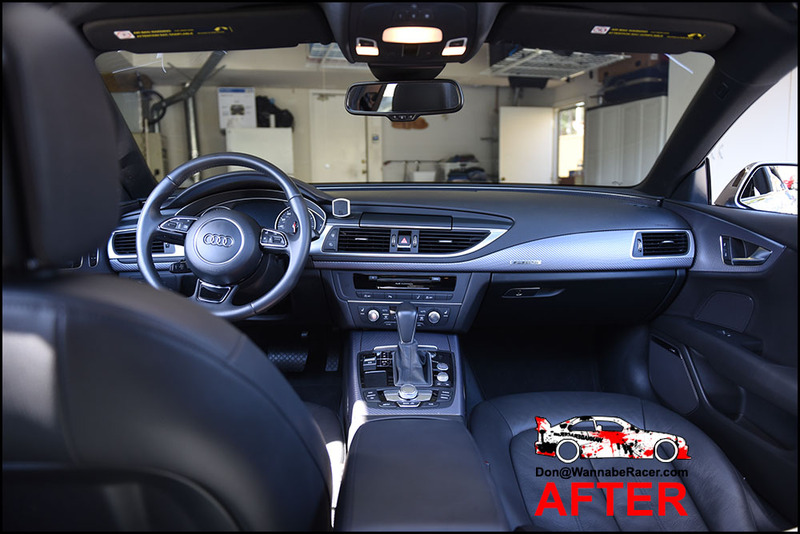 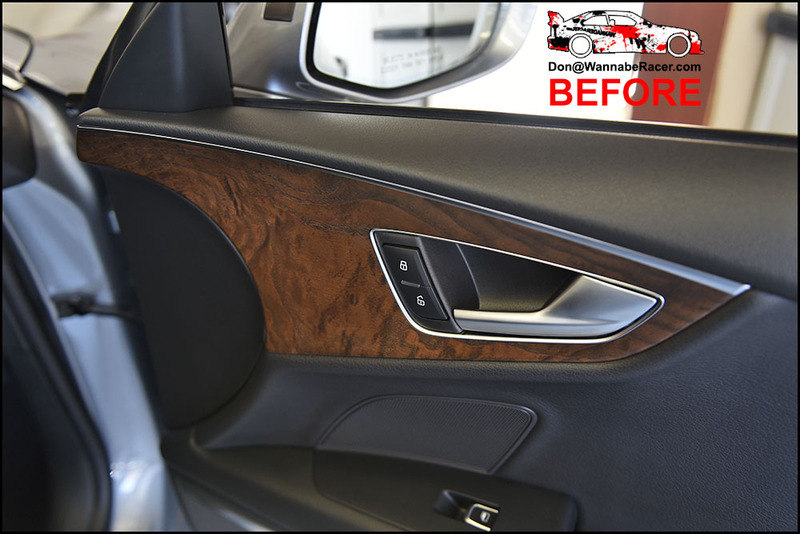 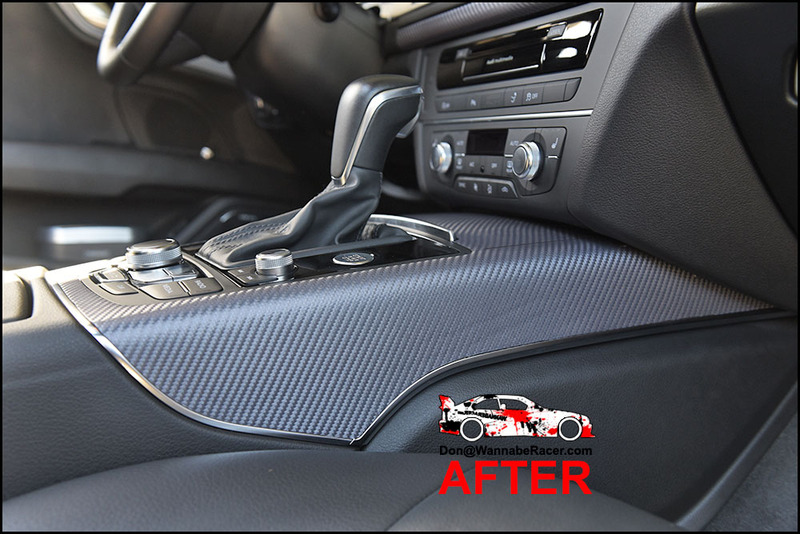 Overall, fairly minor changes to the car, but sometimes you only need a few minor things done to really tie in and finish up the look of the car. 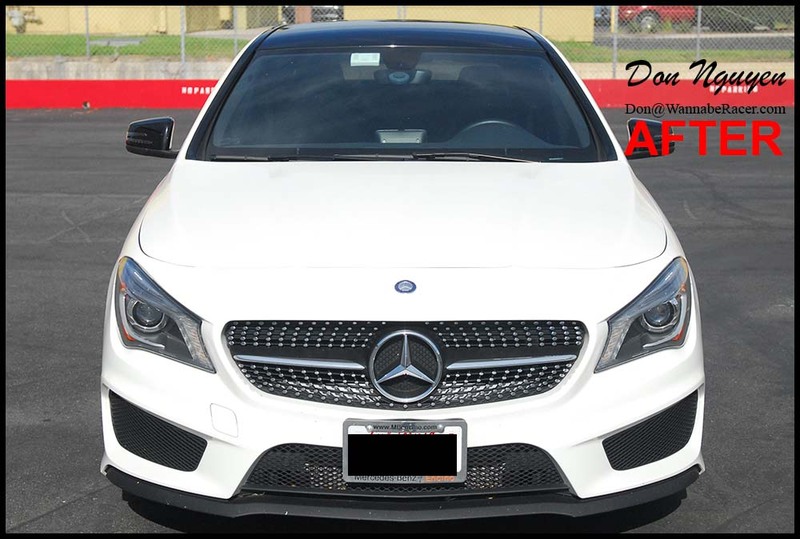 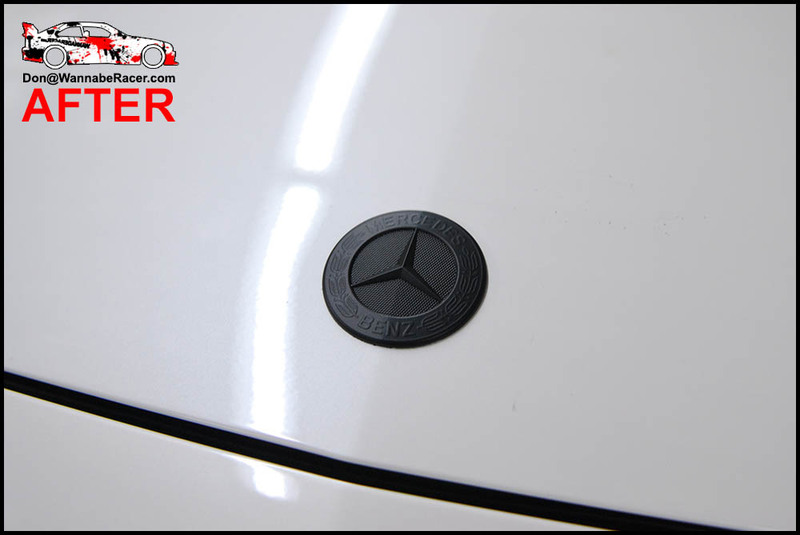 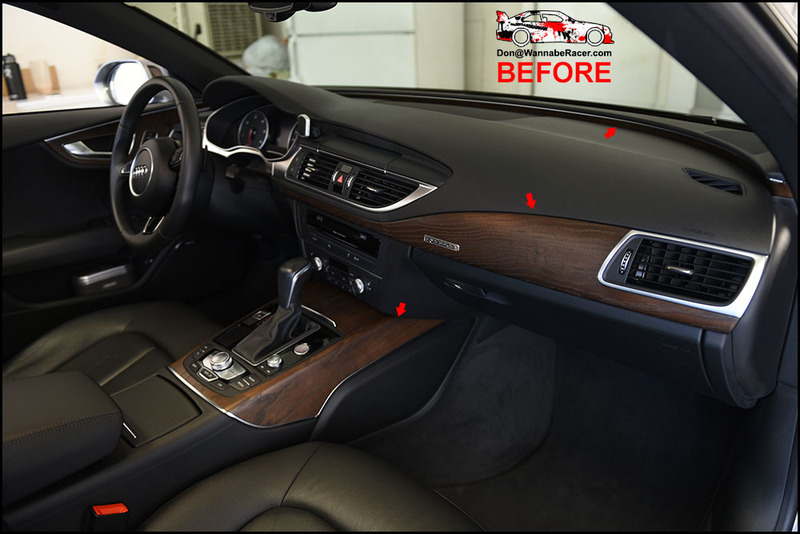 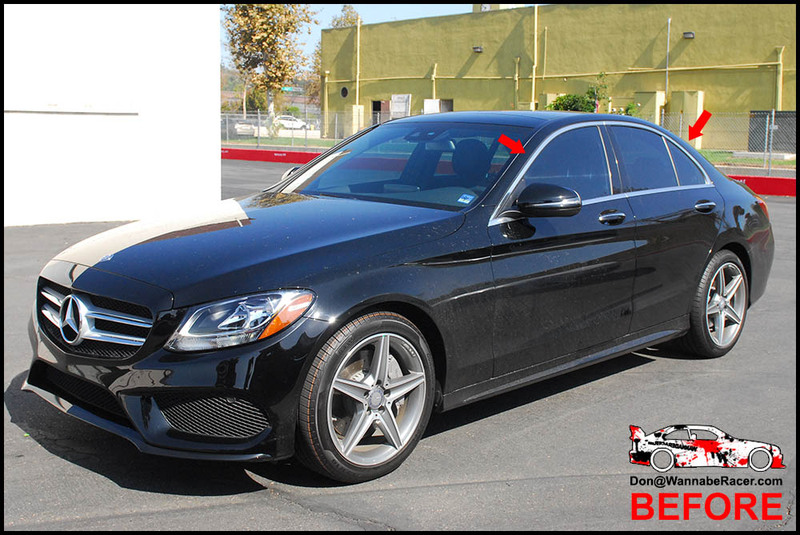 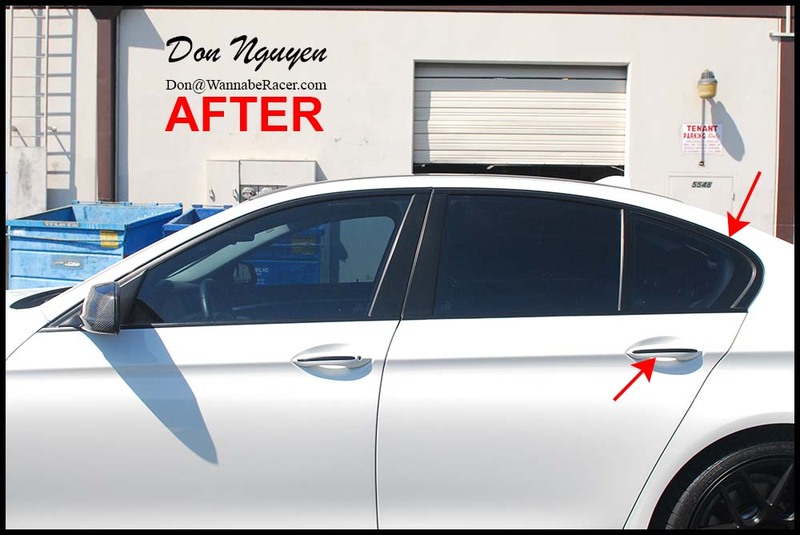 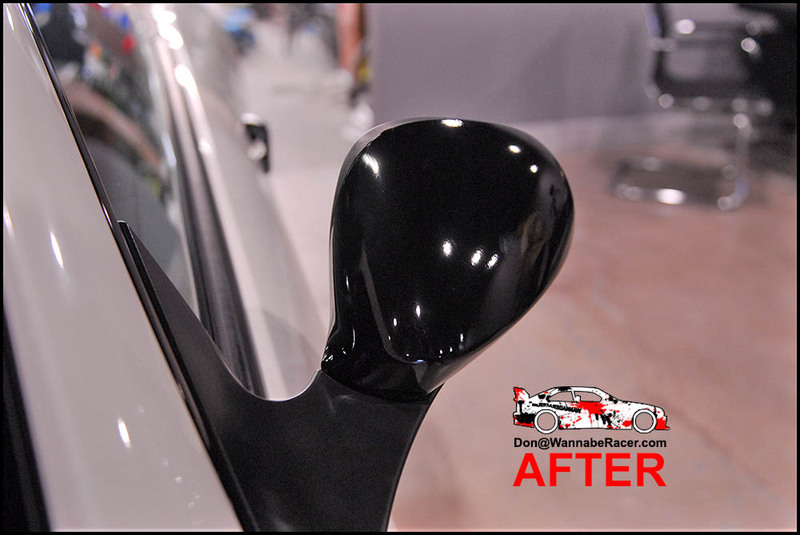 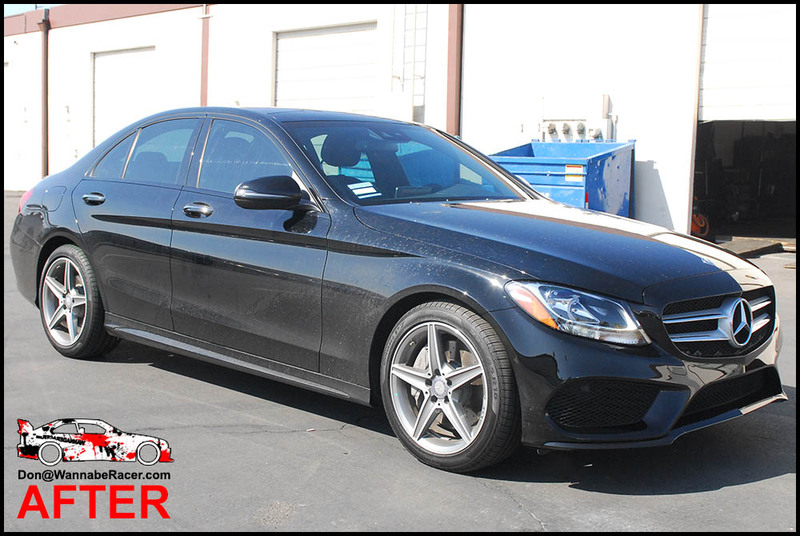 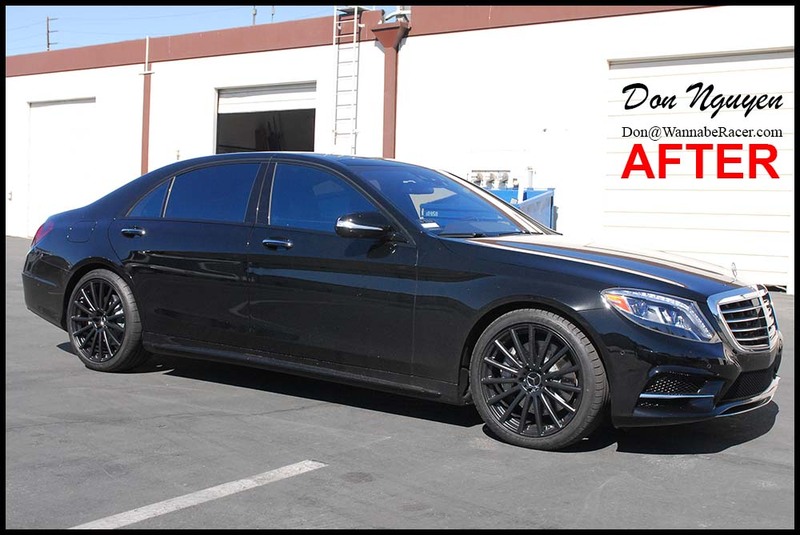 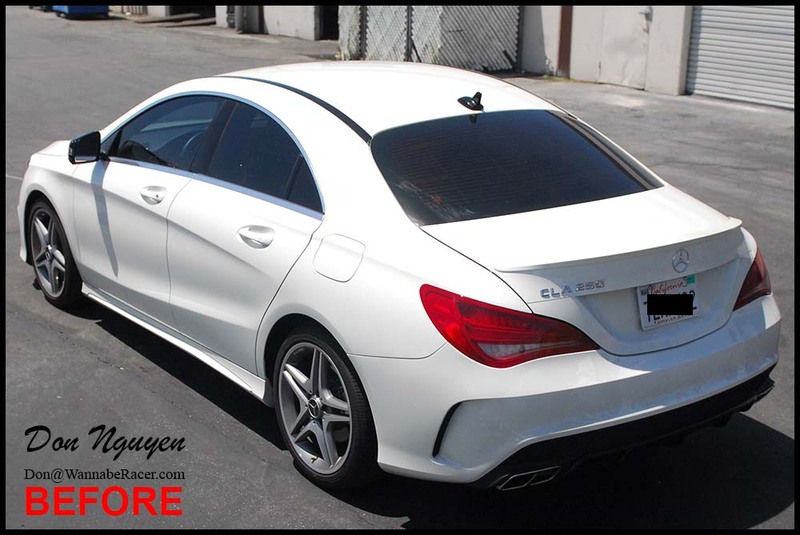 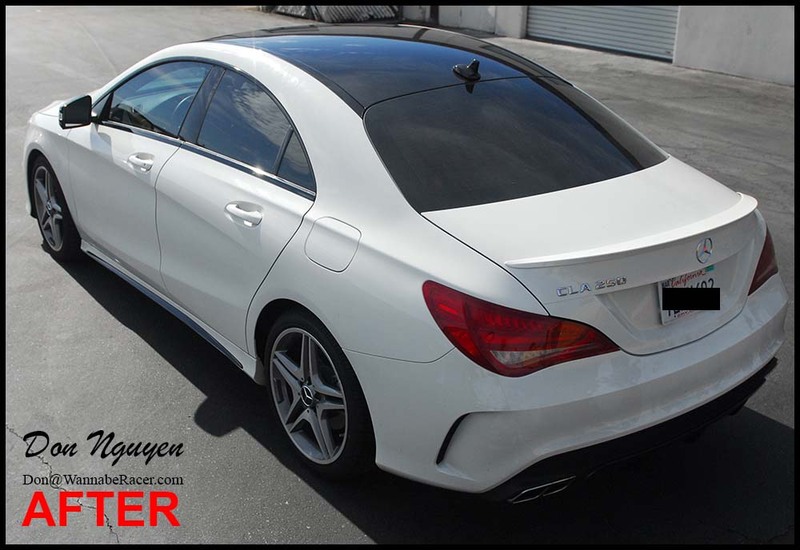 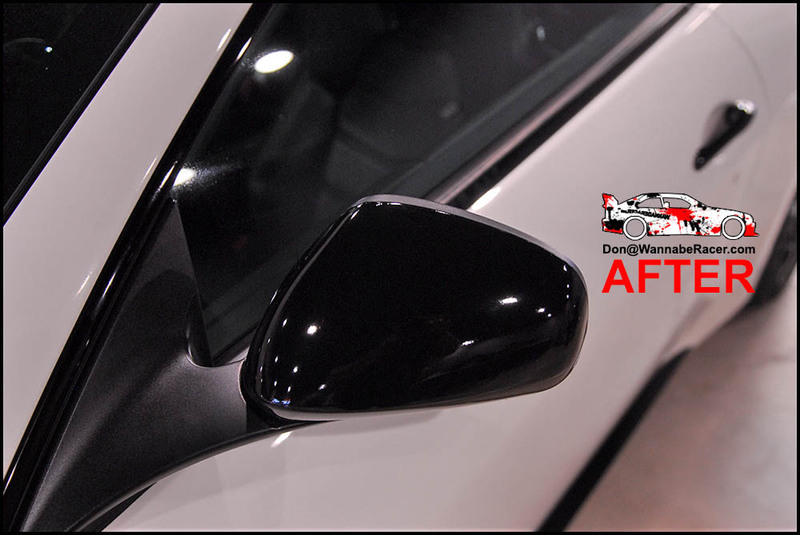 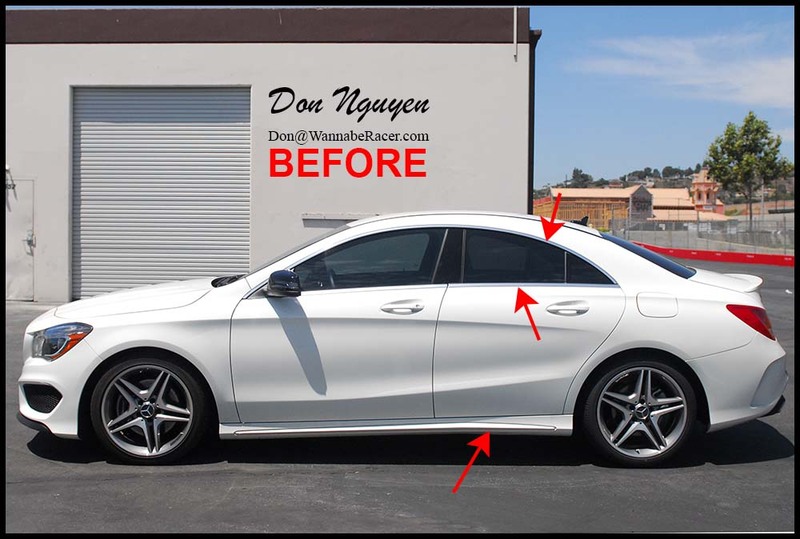 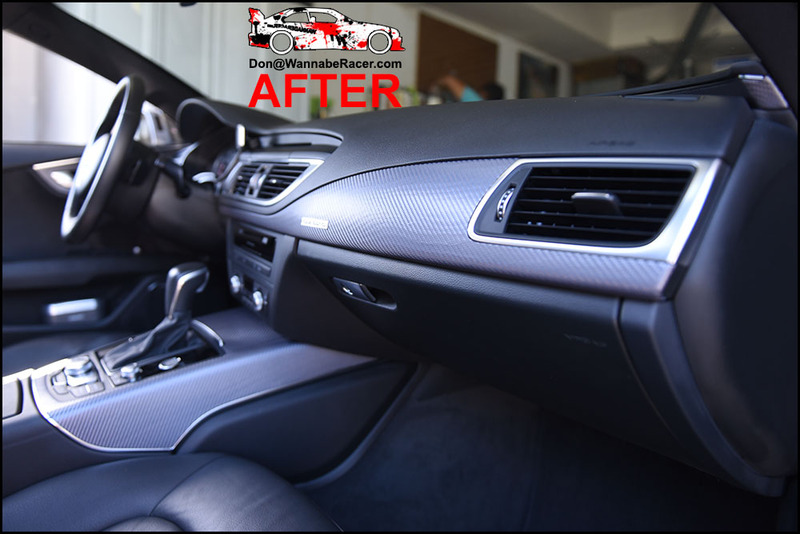 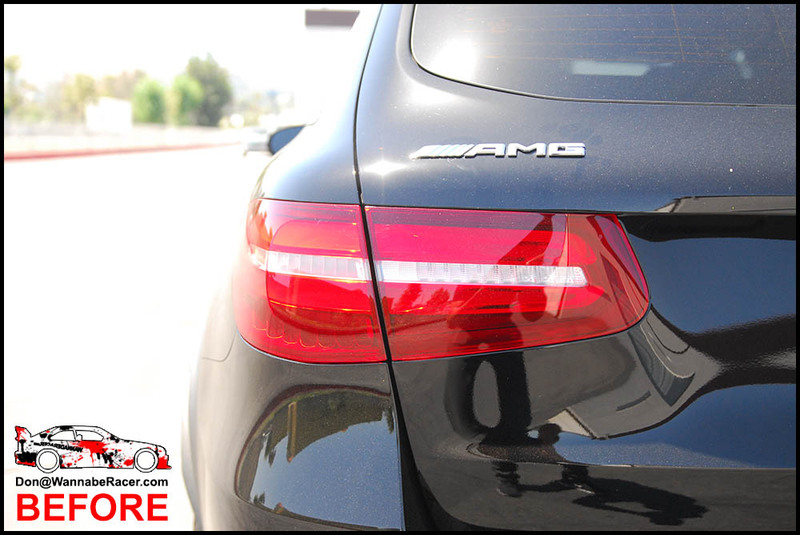 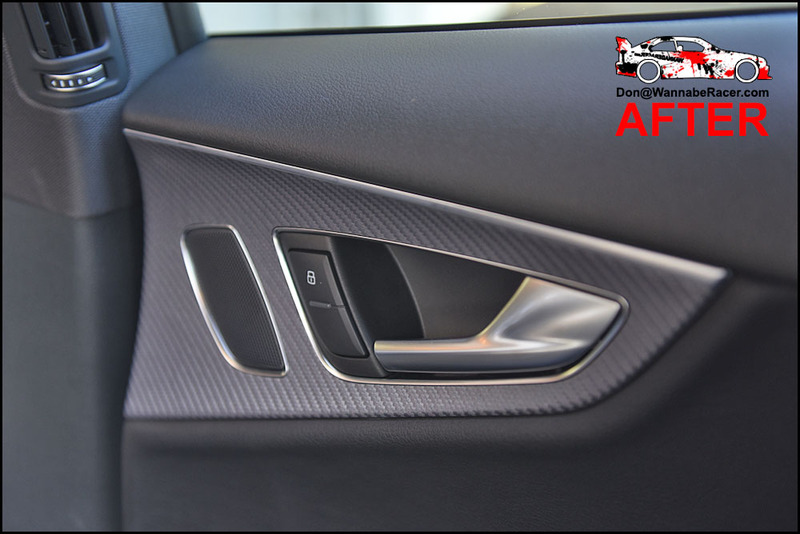 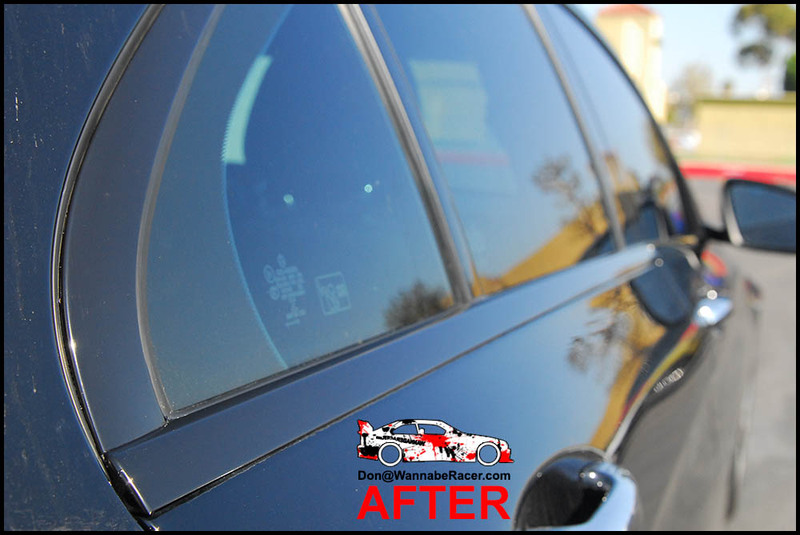 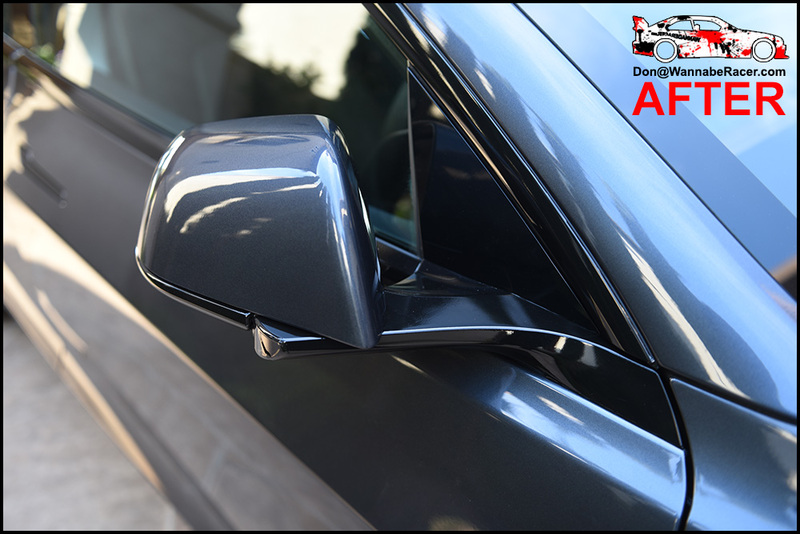 Simple things such as wrapping the chrome window trim on this Mercedes Benz C300 in gloss black vinyl can completely change the look of the car. 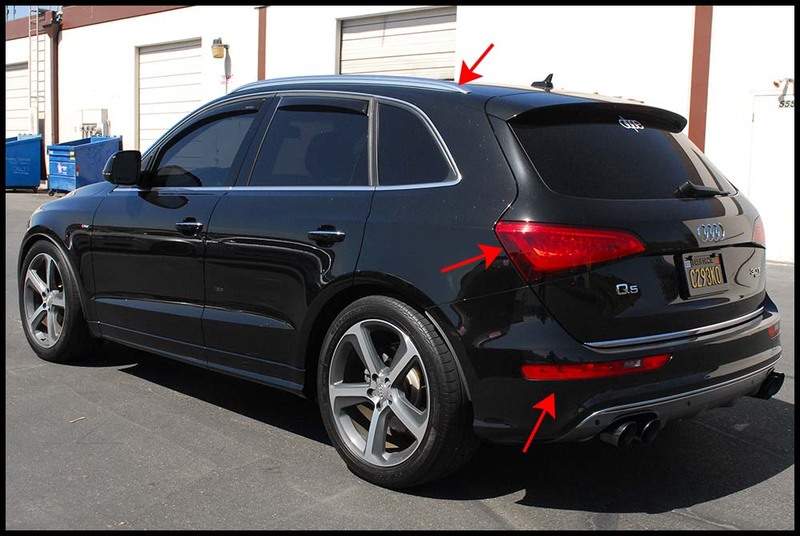 I know vinyl wrapping isn't for everybody, especially with all of the different finishes/colors out there these days, but I am sure the majority of people can agree that black trim over chrome on most cars really cleans up the lines of the car. 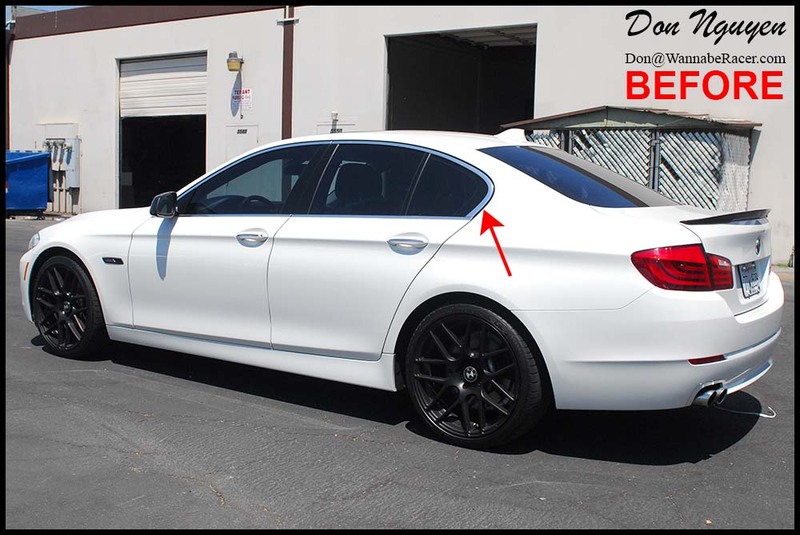 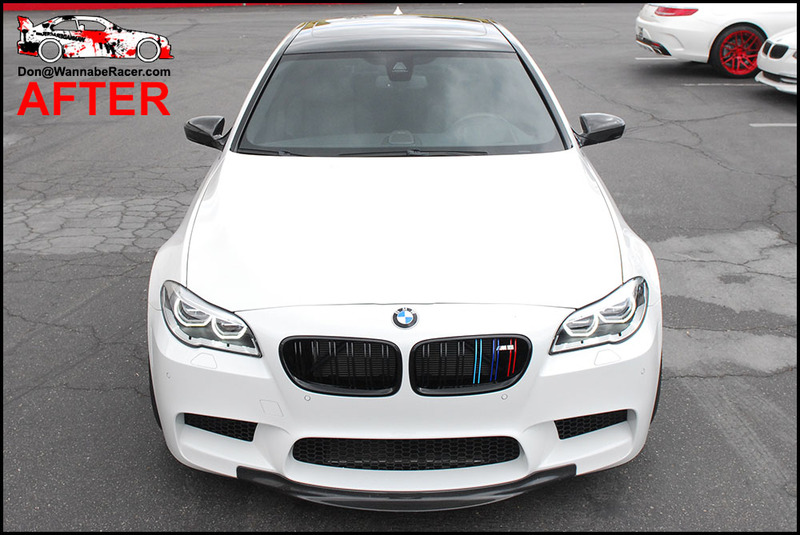 There may be a few who still favor chrome, but there's a reason why black trim comes as standard on most top level/tier cars from BMW, Mercedes, Audi, etc. 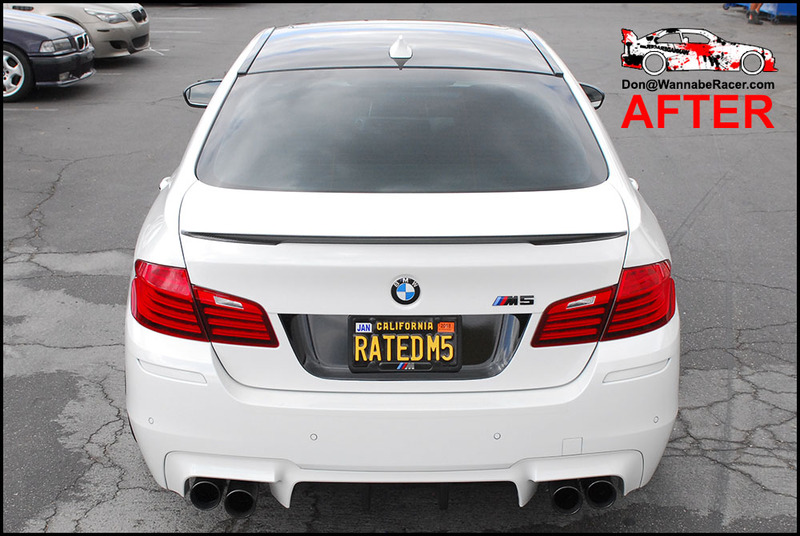 The owner of this car was from Newport Beach and came out to me in Anaheim Hills / Orange County to have the vinyl wrap done on their car. 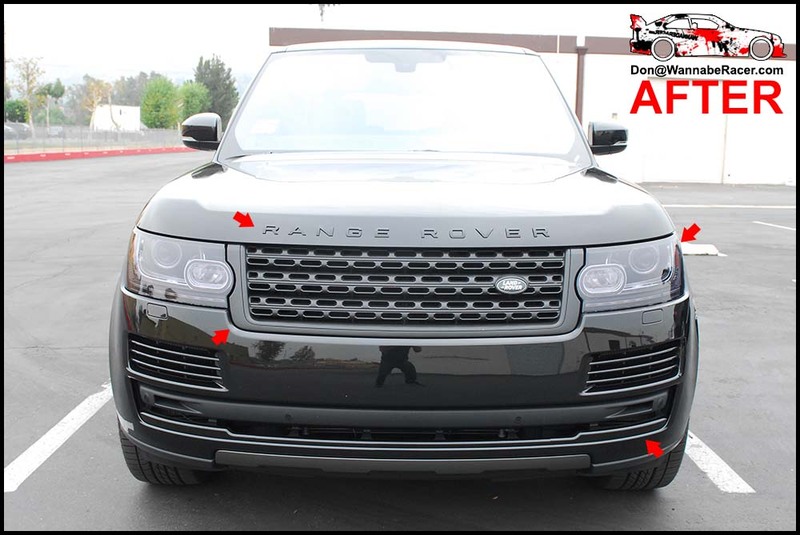 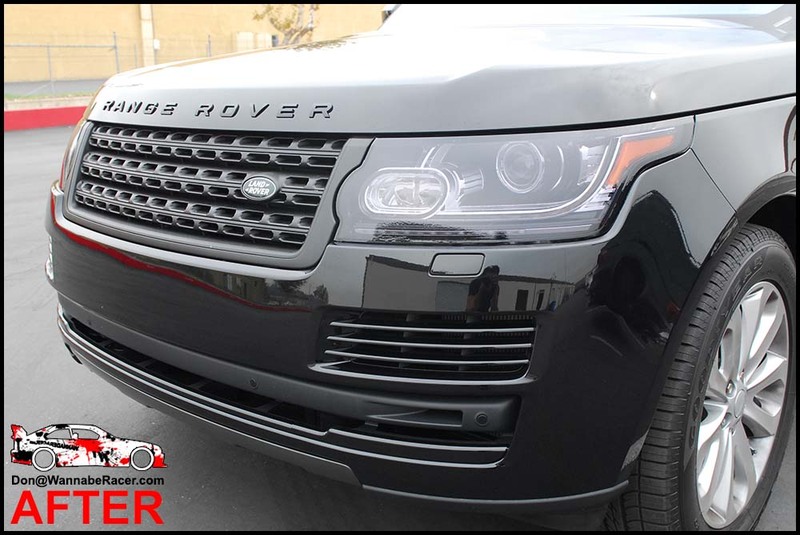 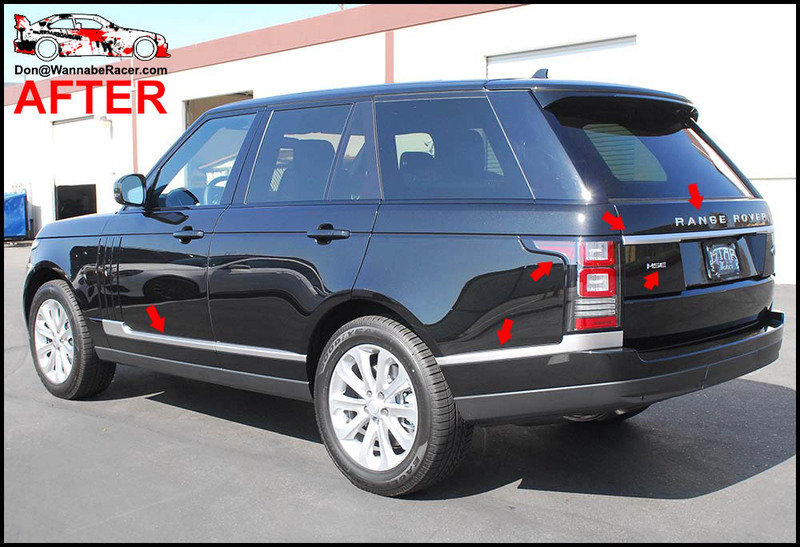 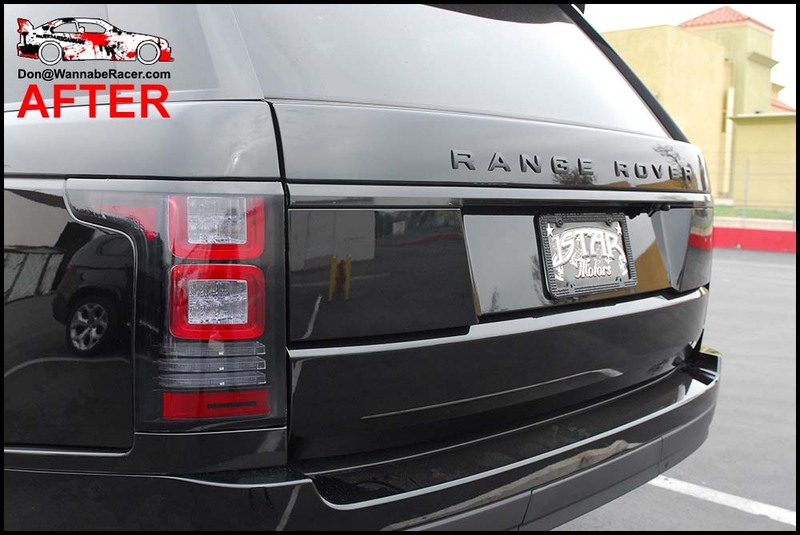 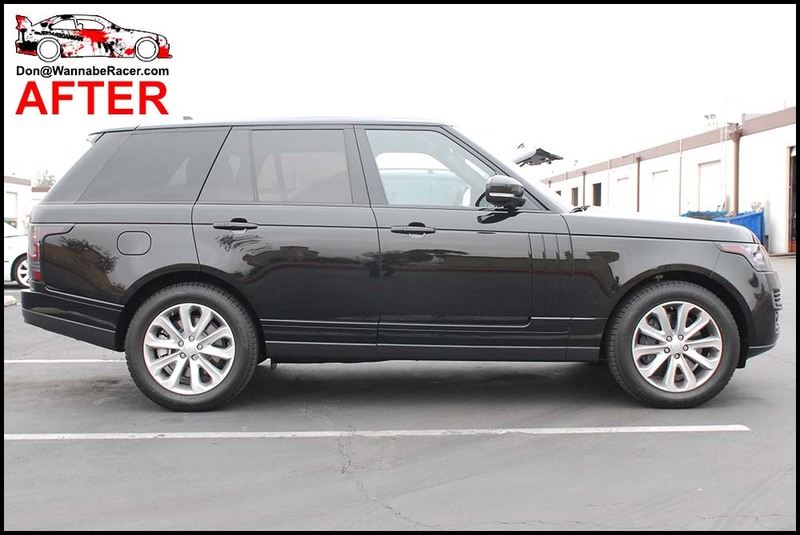 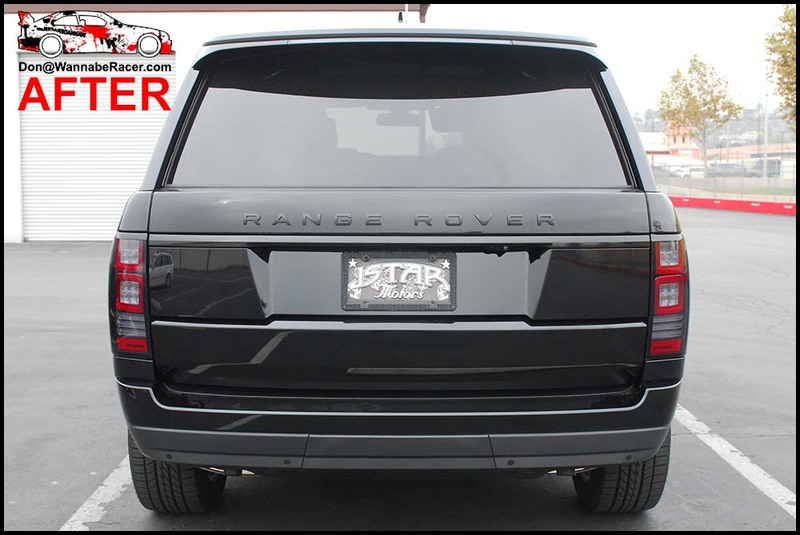 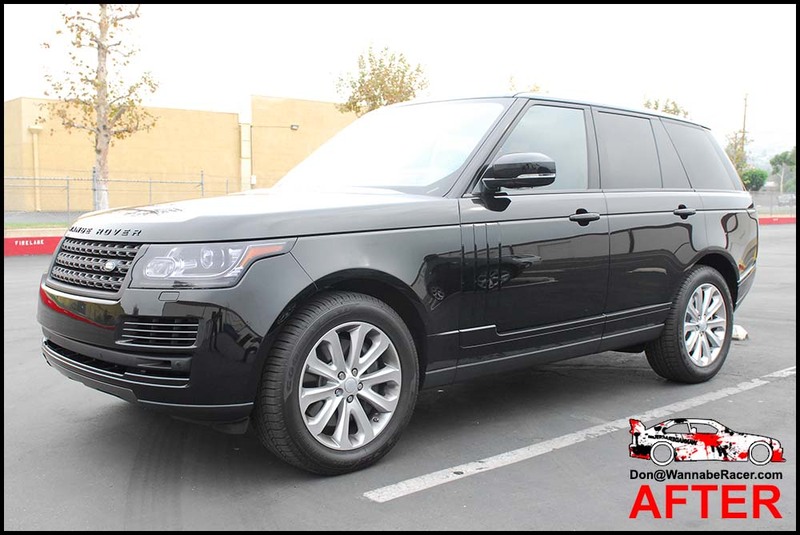 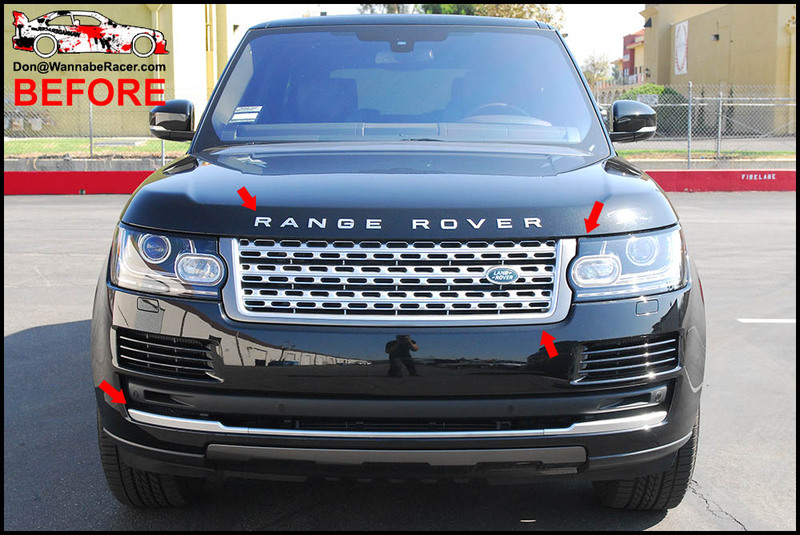 For this black Land Rover Range Rover HSE, I think if most people saw only how the car looked like after I did all of the vinyl wrap and plasti dip work, most would probably have thought that the car came that way from the factory. 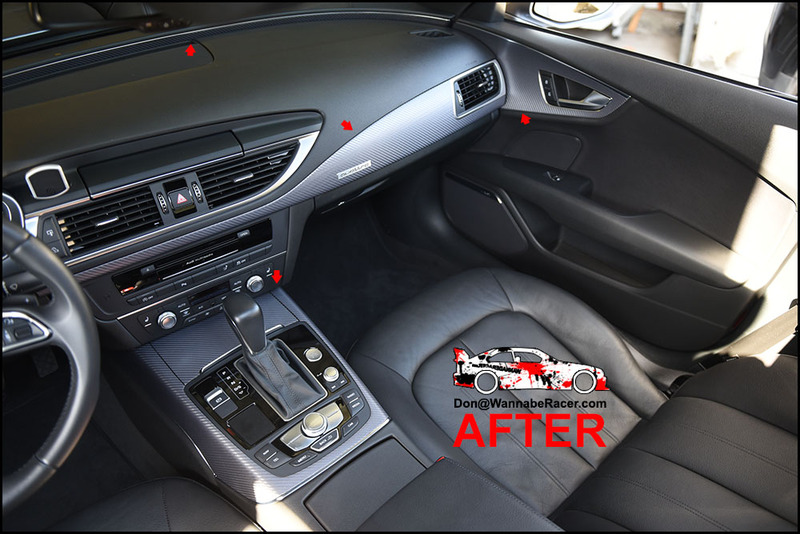 However, the before/after pictures show everything. 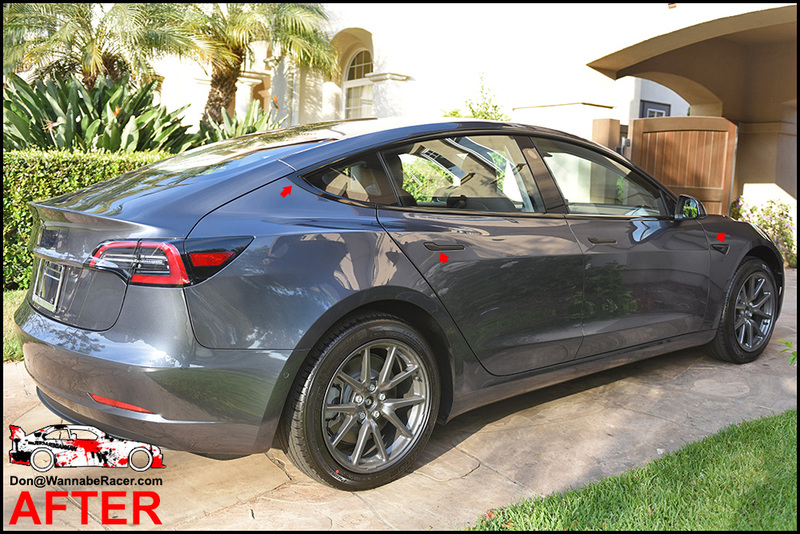 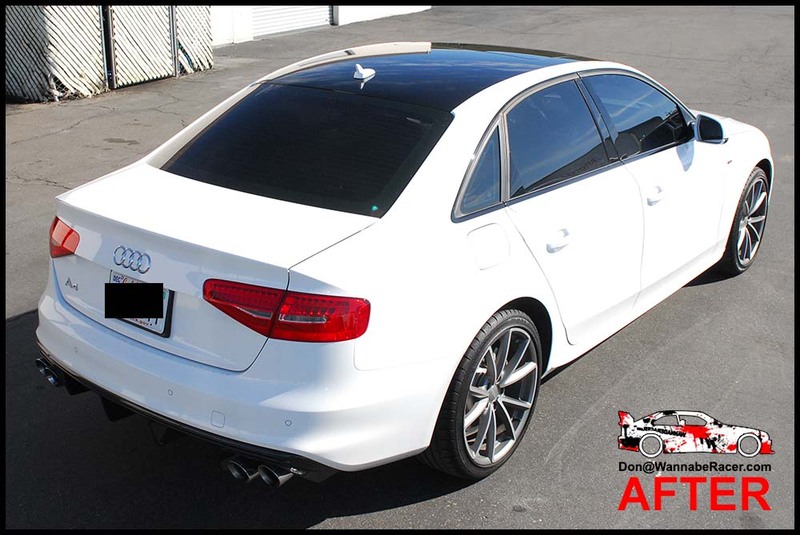 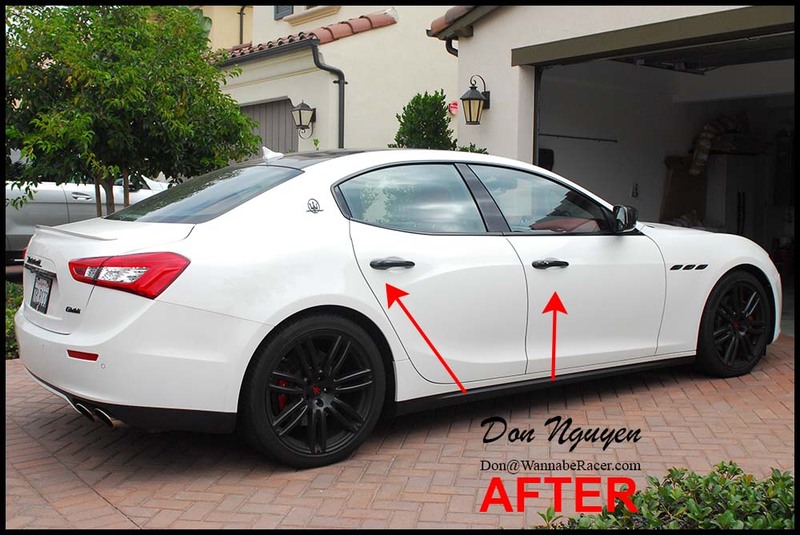 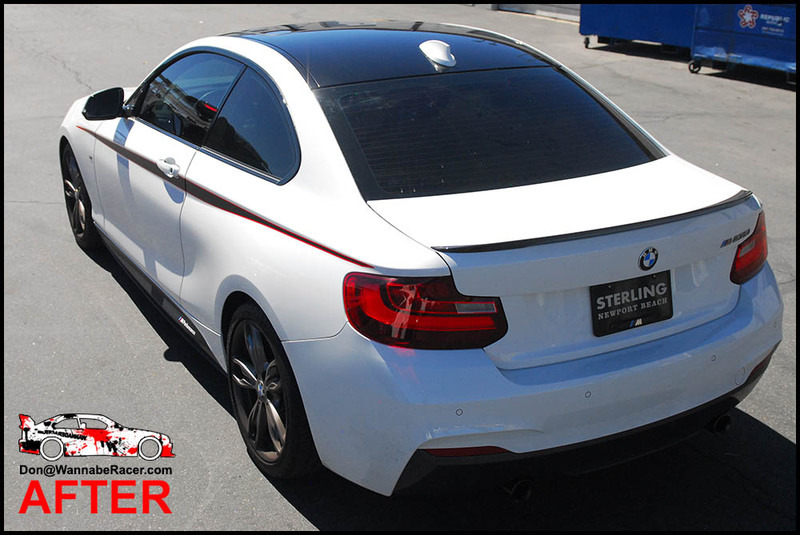 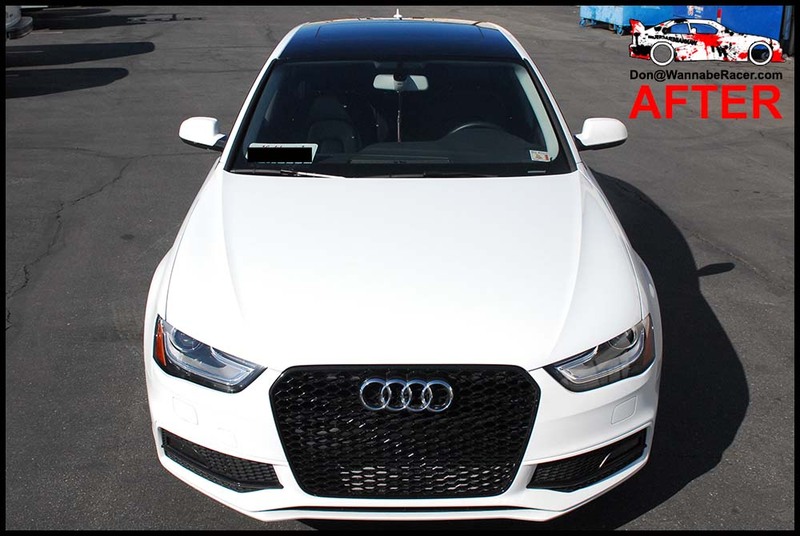 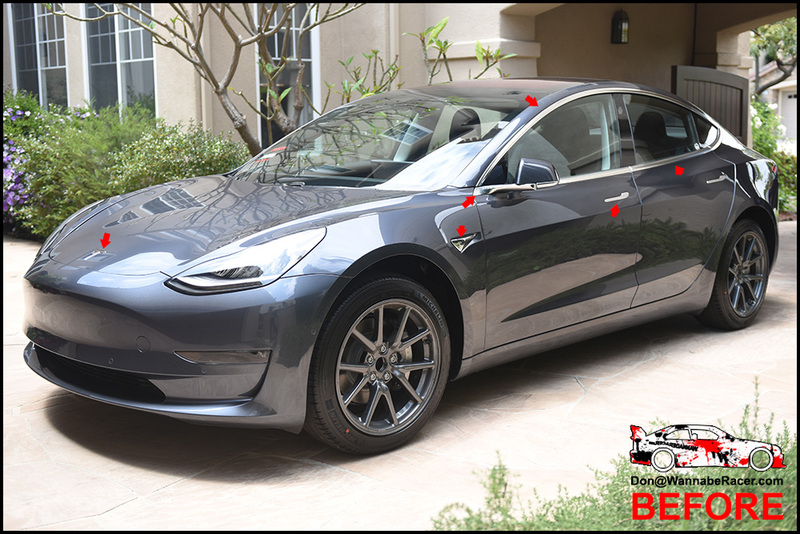 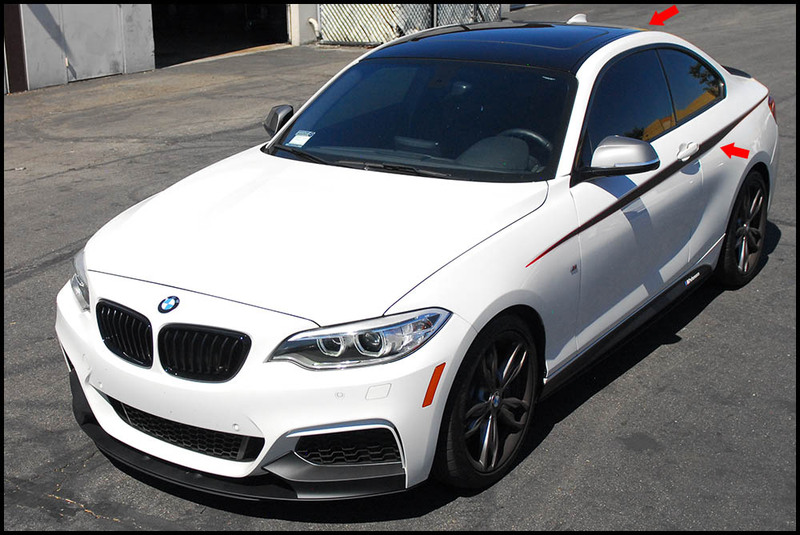 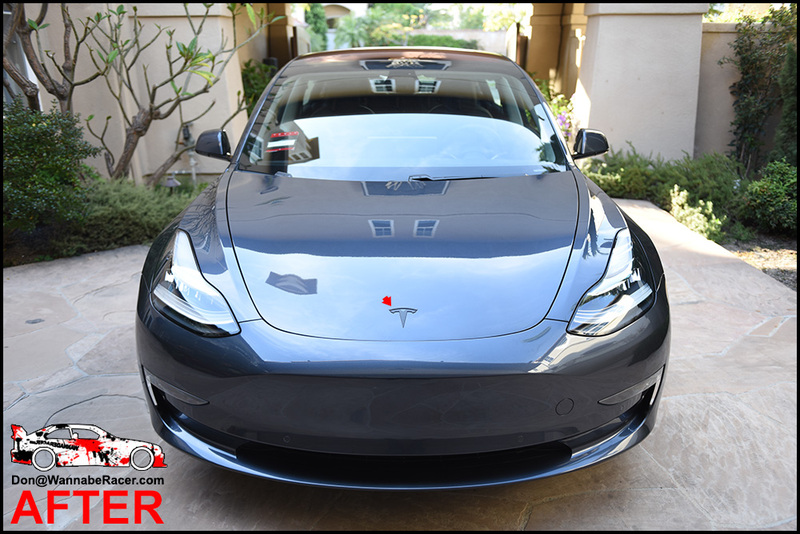 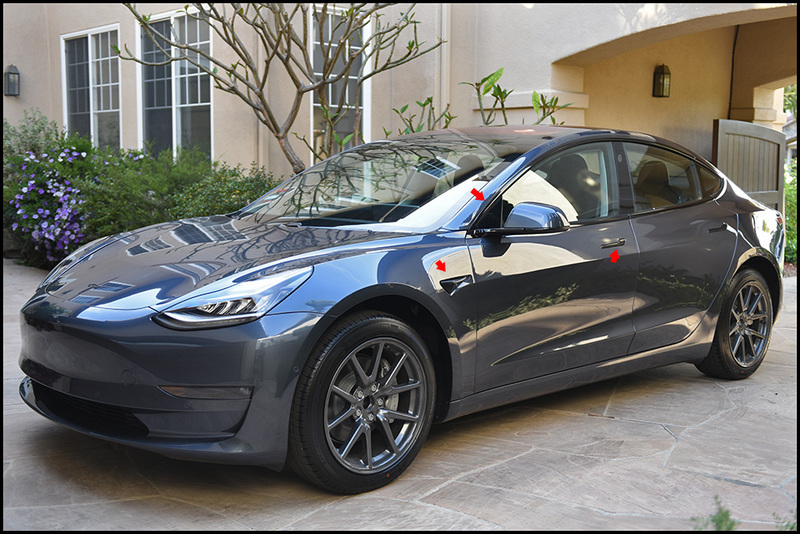 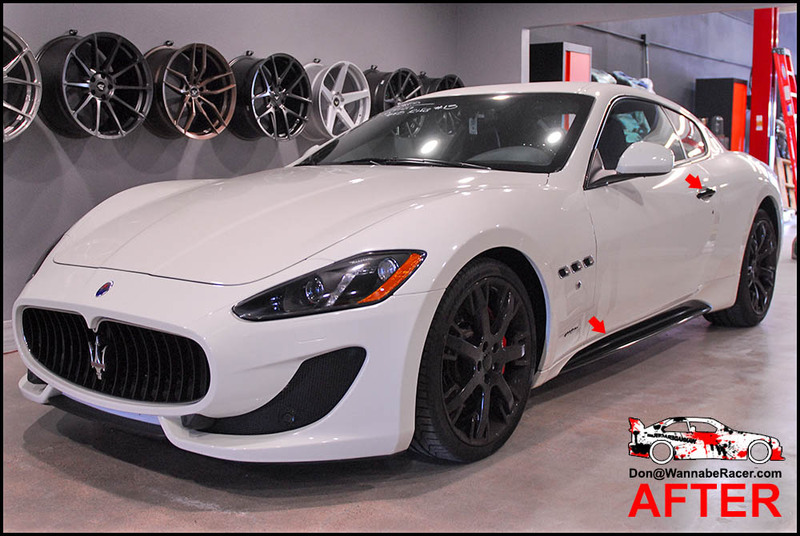 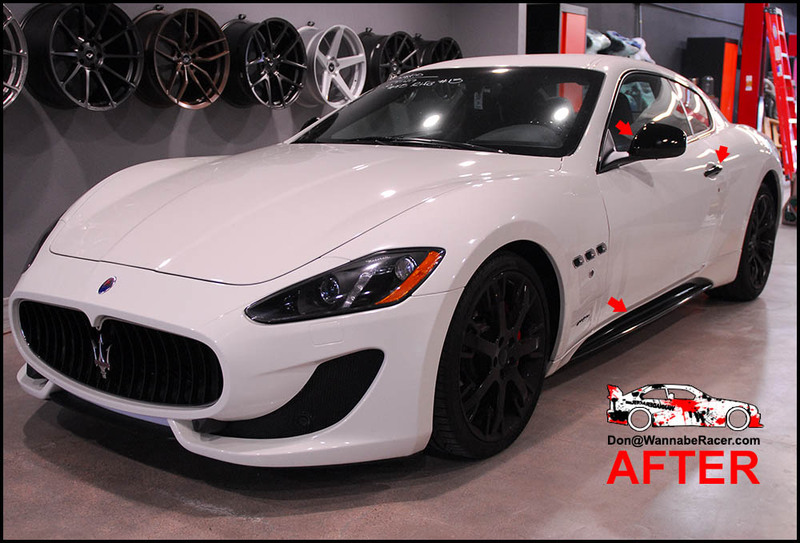 The black wrap, plasti dip, and light tinting done completely changed the look of the car to give it a sporty look and feel, while maintaining a very factory look. 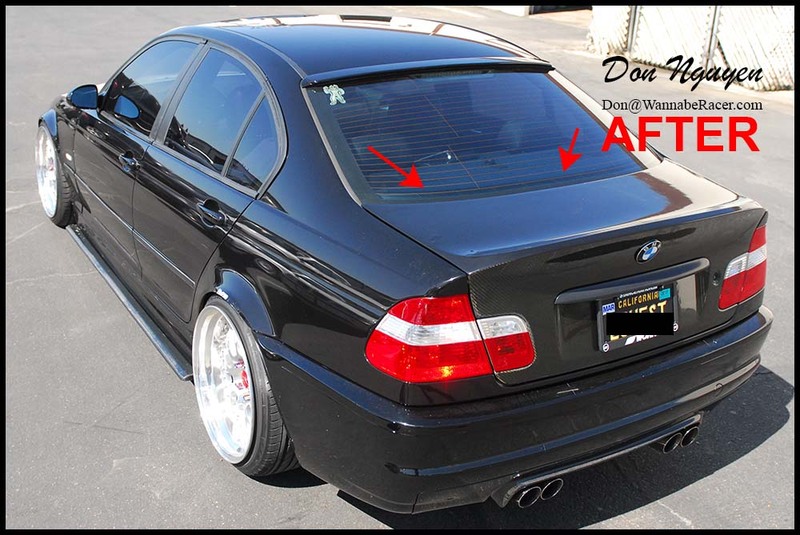 Some people describe this as an OEM+ type of look. 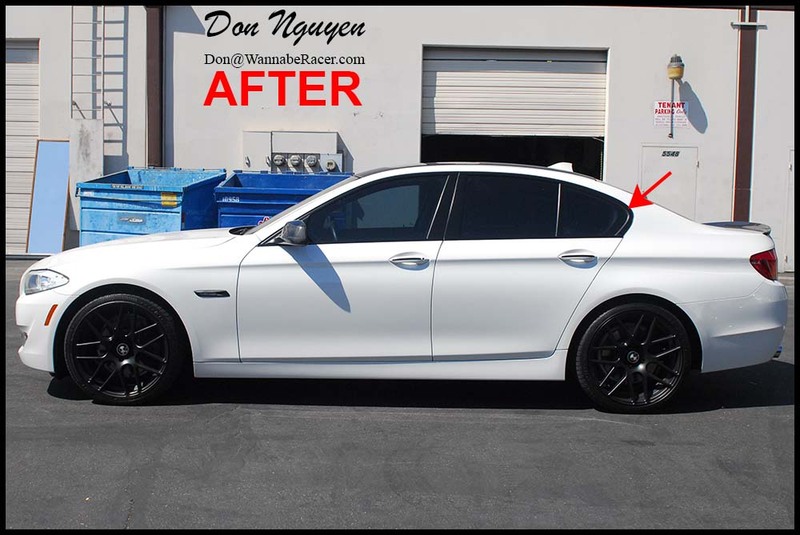 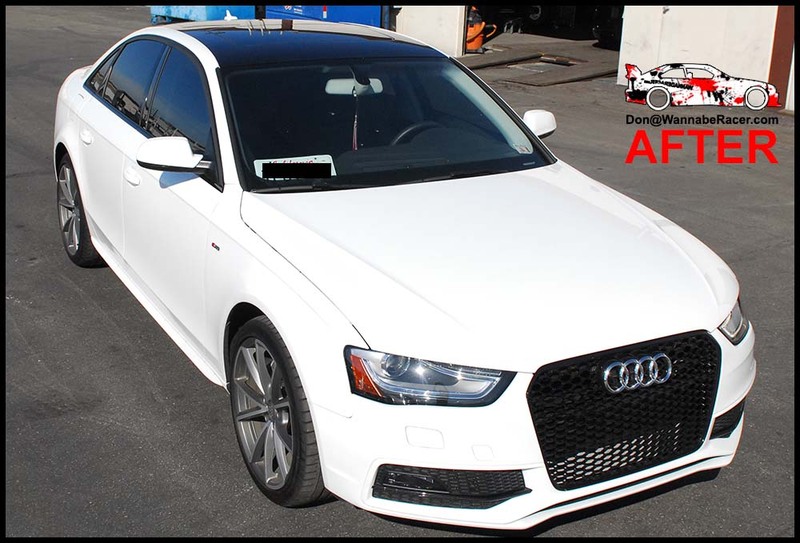 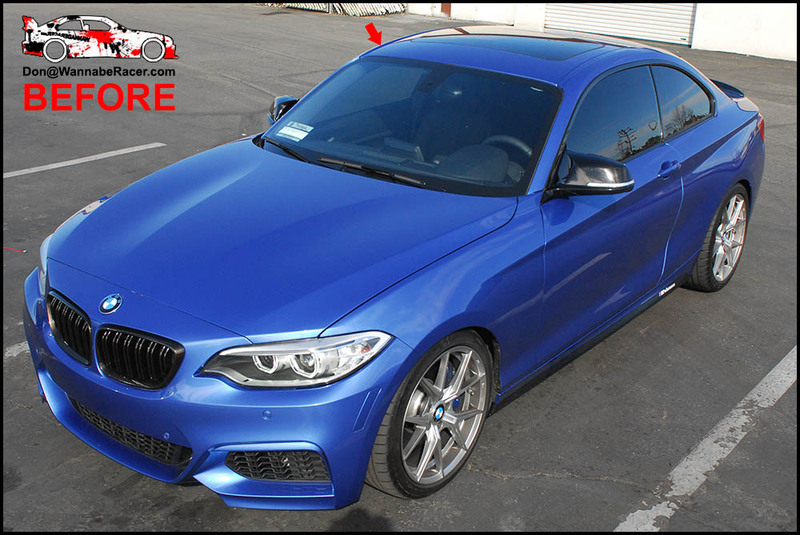 The owner of the car was located in Beverly Hills Los Angeles and brought the car out to me in Anaheim Hills Orange County to have the vinyl wrap and plasti dip work done.